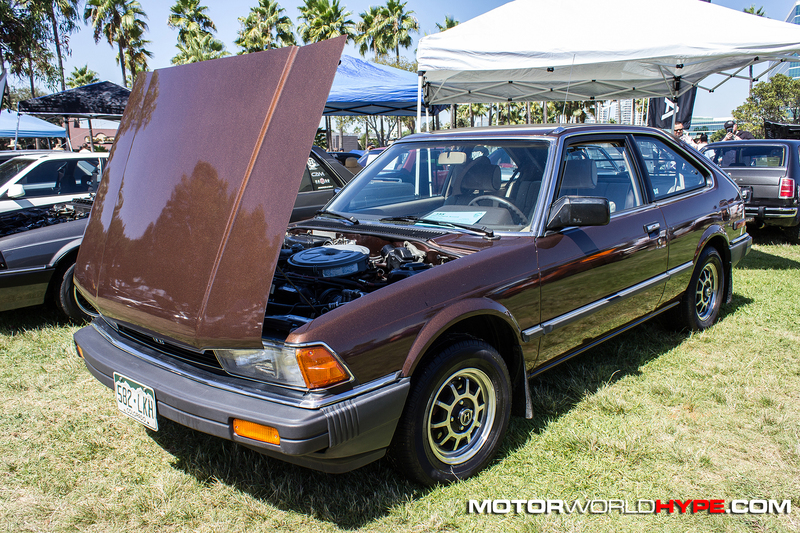 I have a confession to make: lately I’ve been getting slightly burned out on car shows. 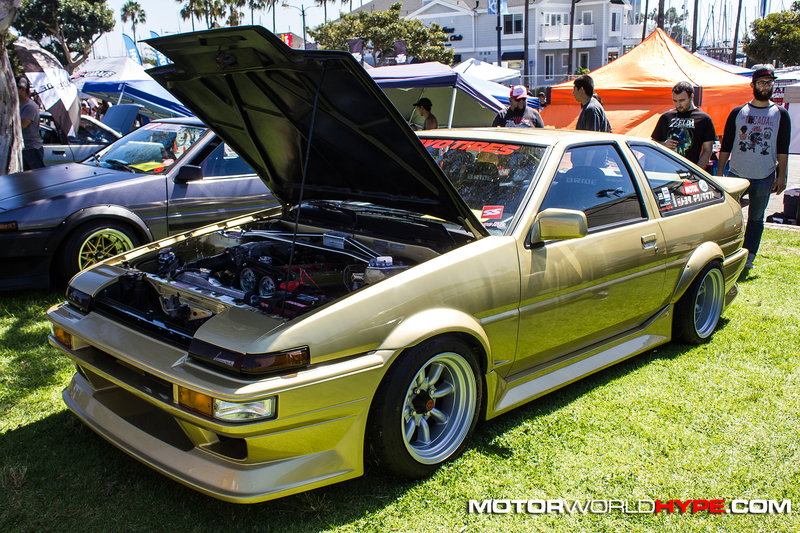 I’m not sure what it was to be honest. 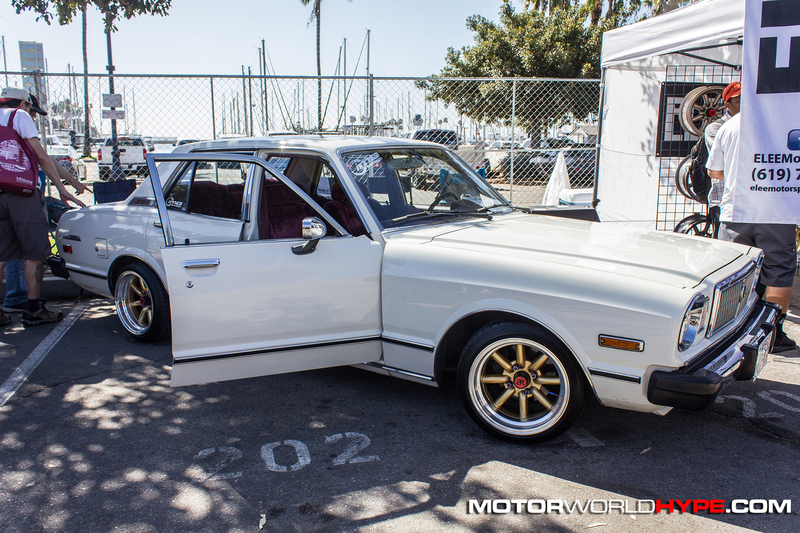 It wasn’t like I didn’t see great cars at the last few shows I went to but there was something slightly monotonous about it. 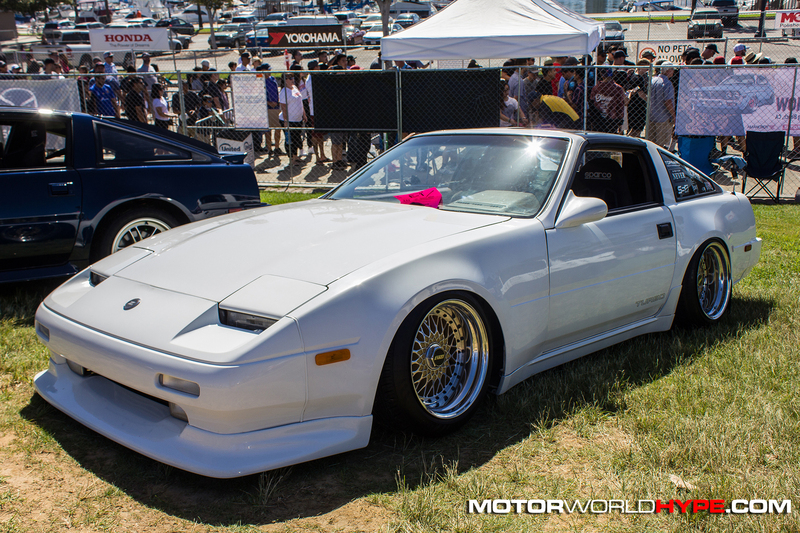 Maybe it was because I am not seeing a lot of progression when it comes to styling trends, or maybe its just a sign of me getting older. 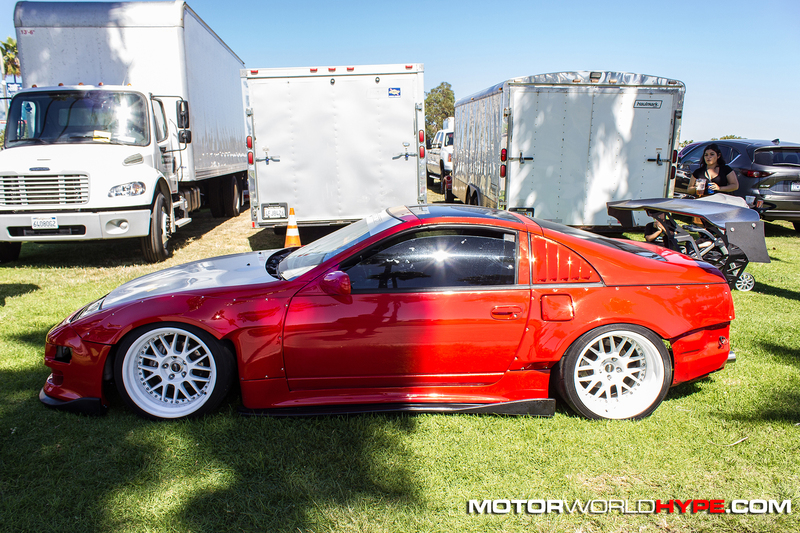 Who the heck knows? 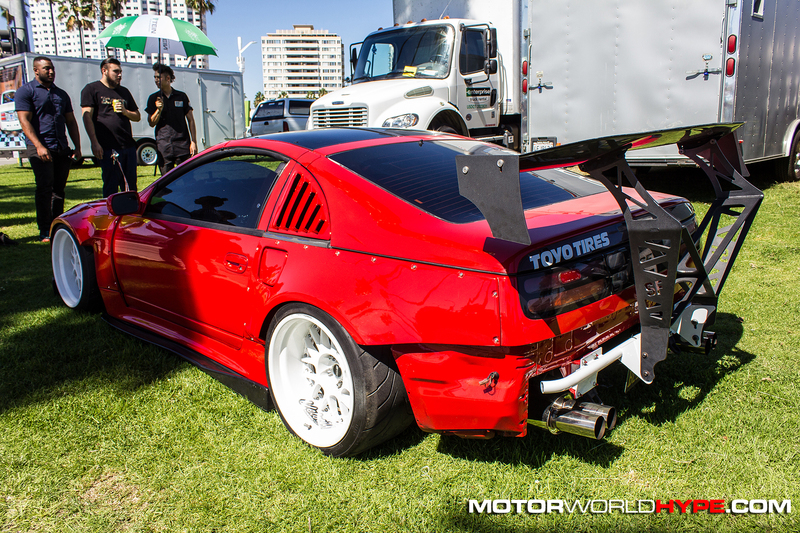 The point is I was in a bit of a slump. 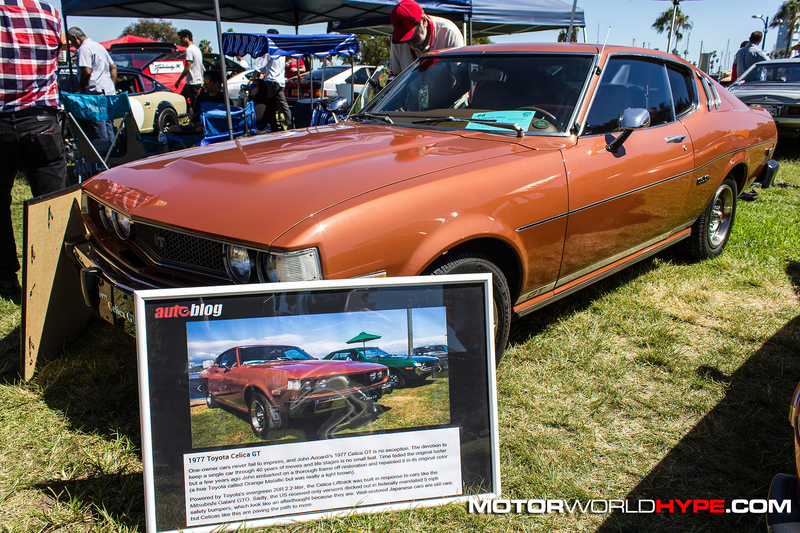 It turns out, all I needed to snap out of the funk I was in, was a history lesson. 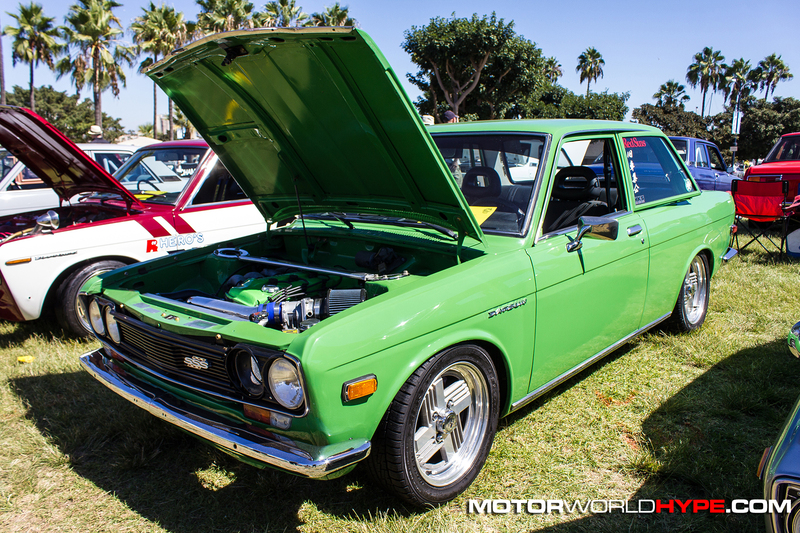 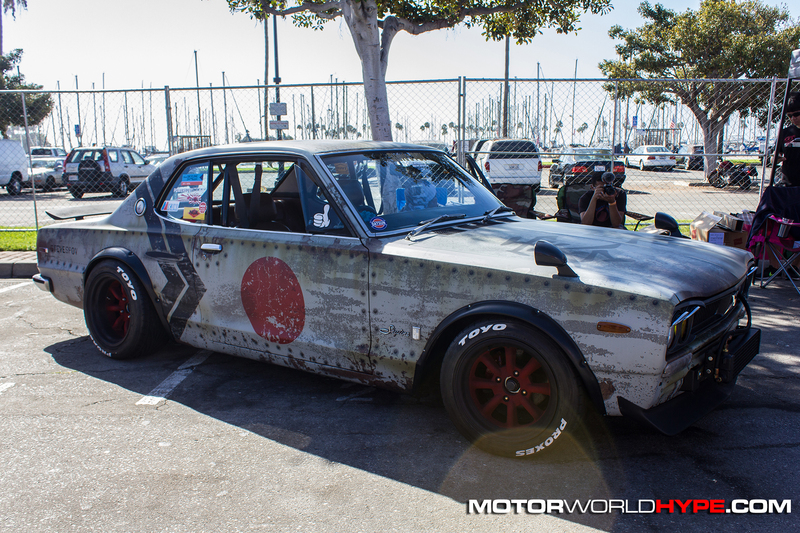 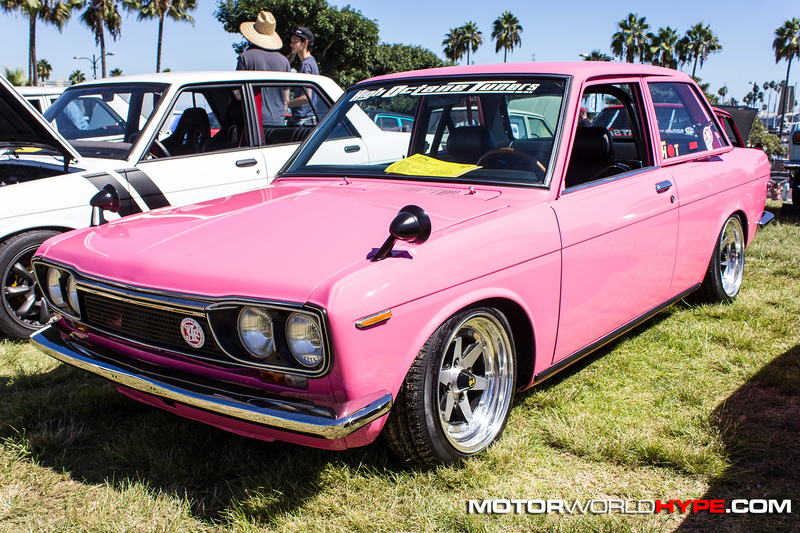 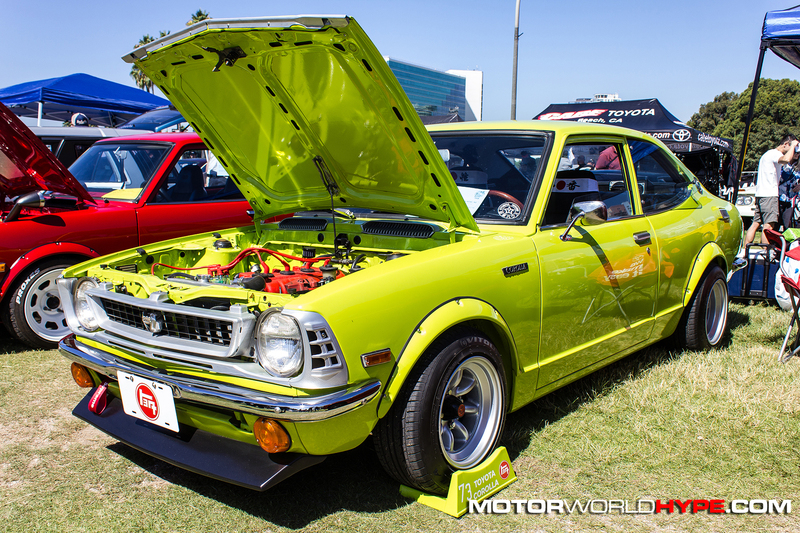 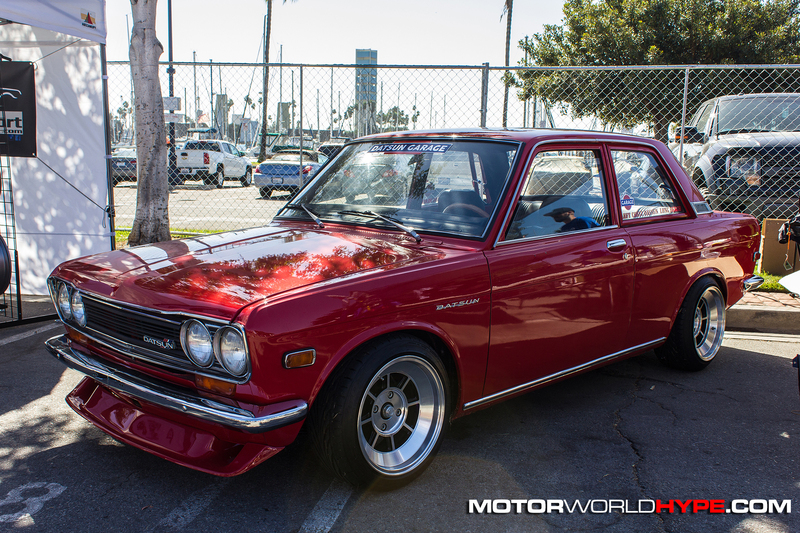 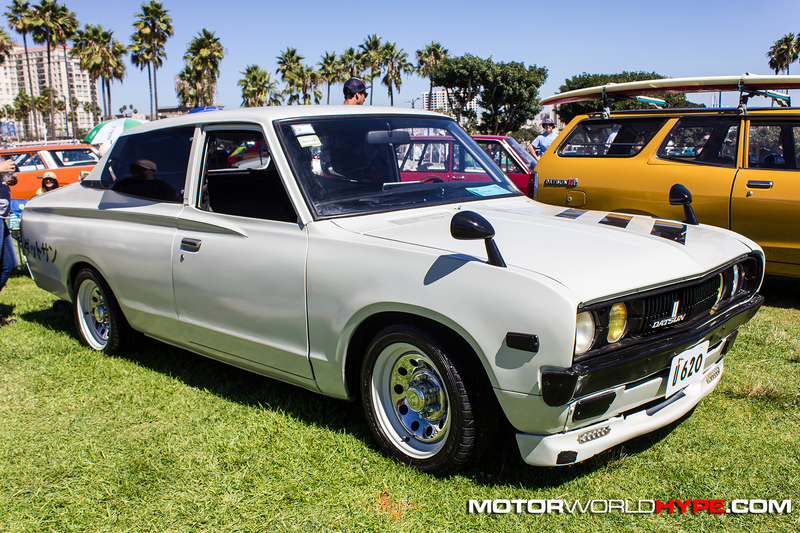 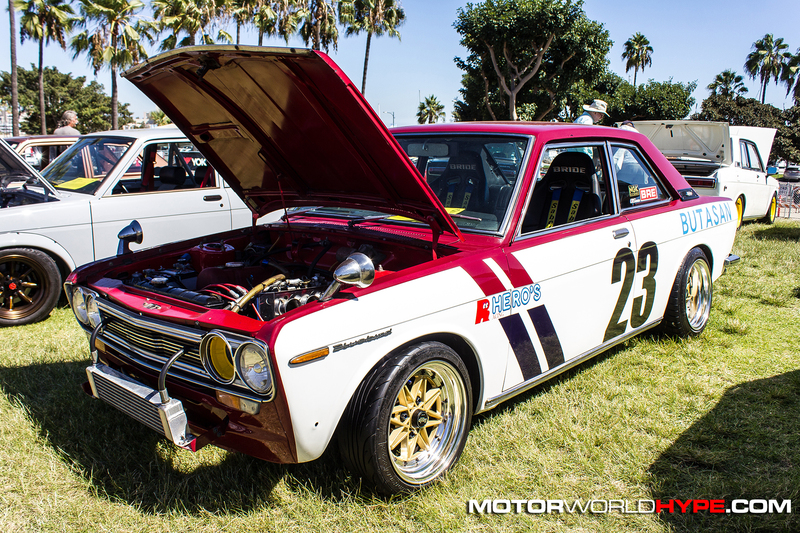 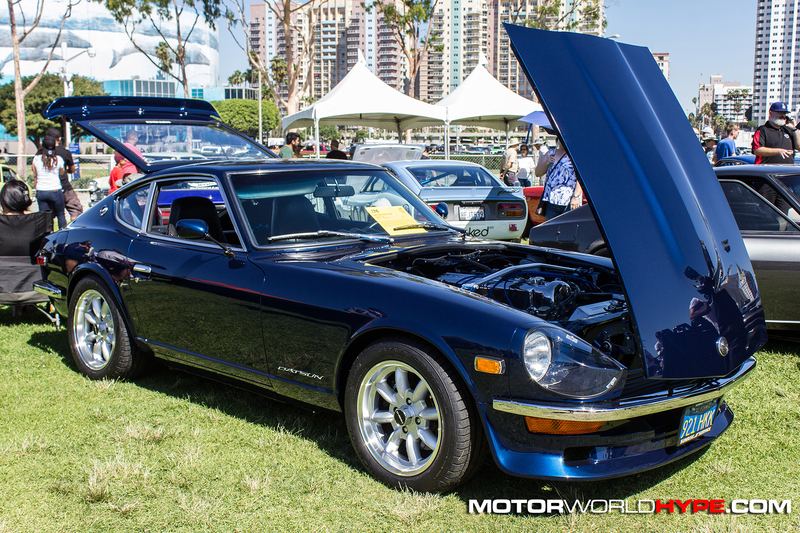 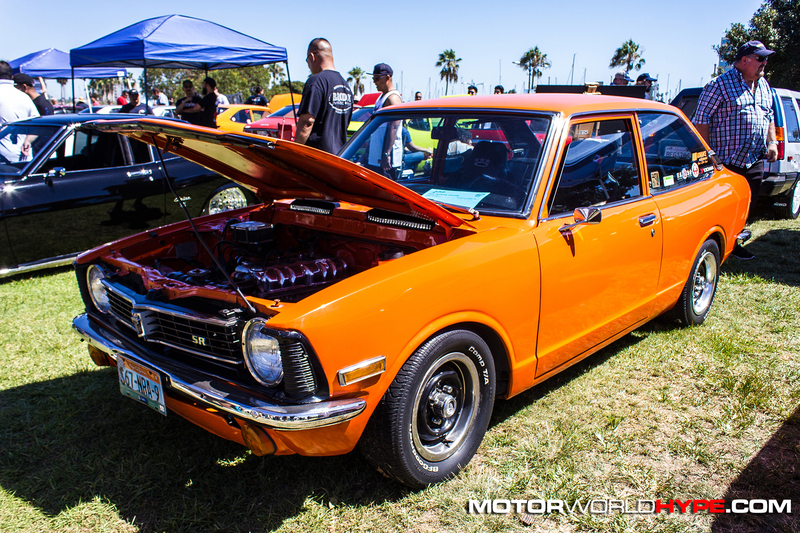 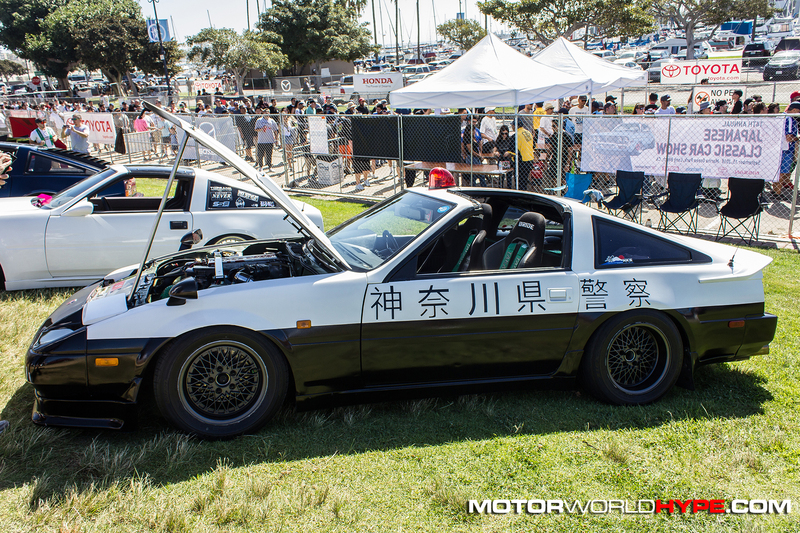 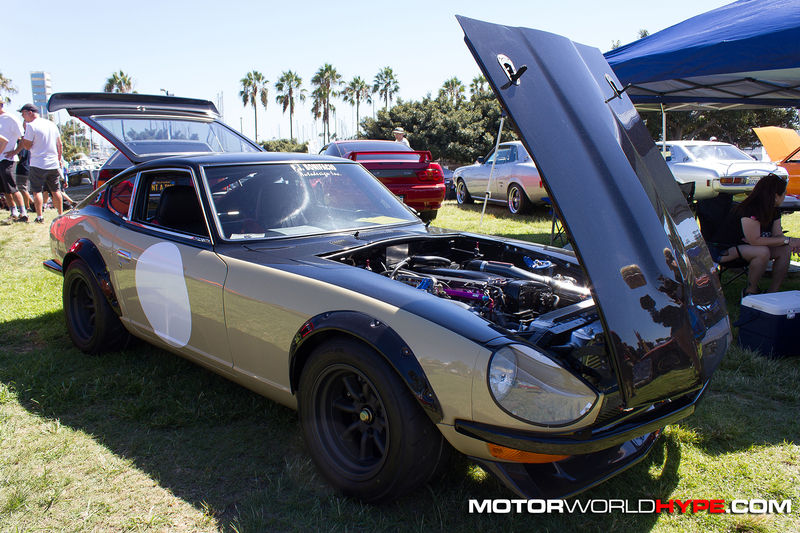 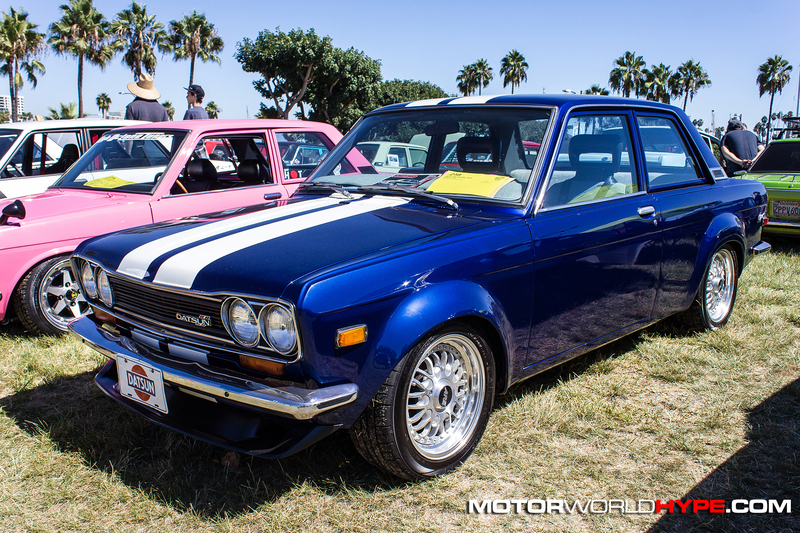 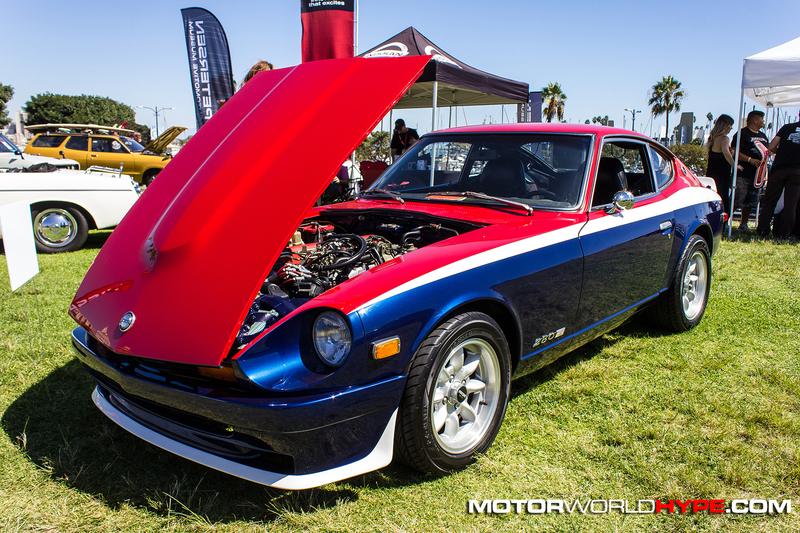 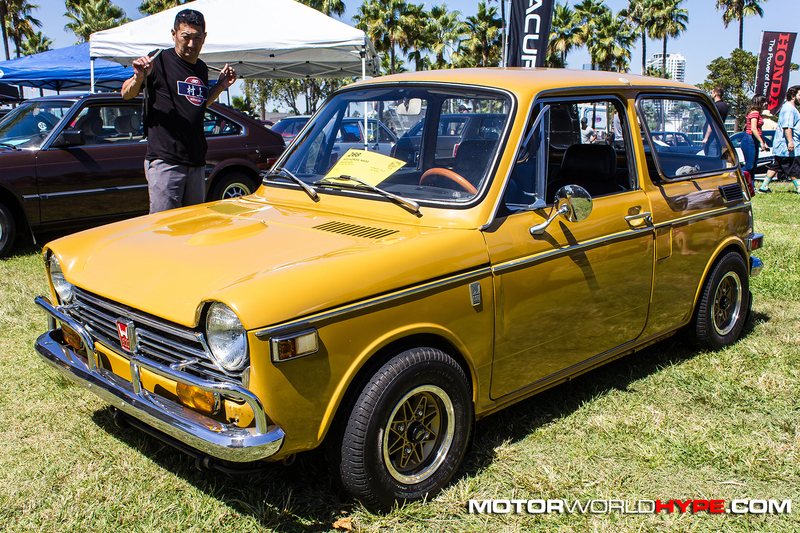 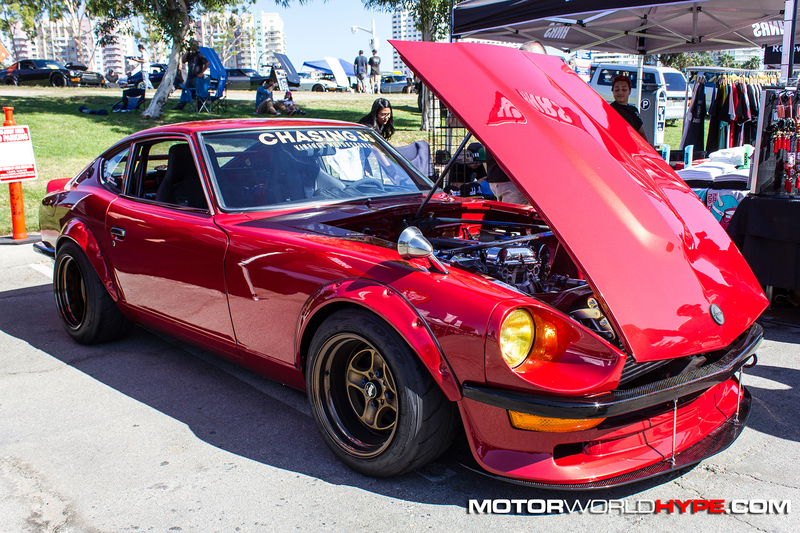 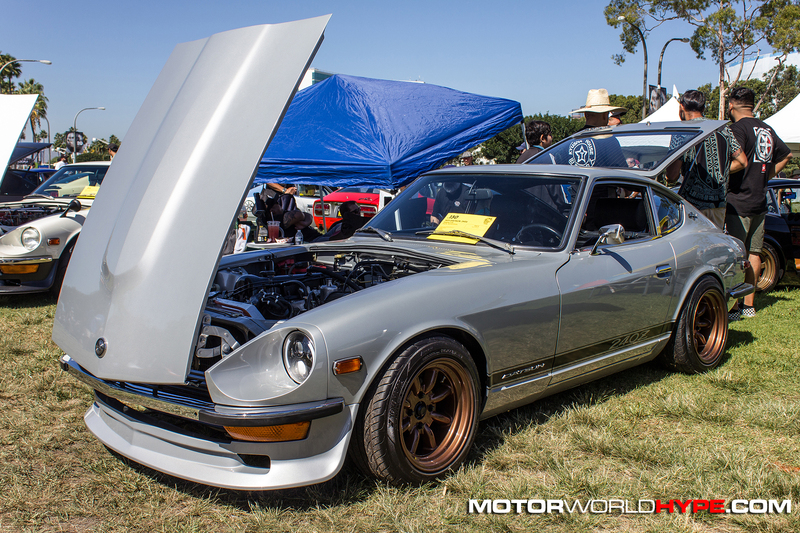 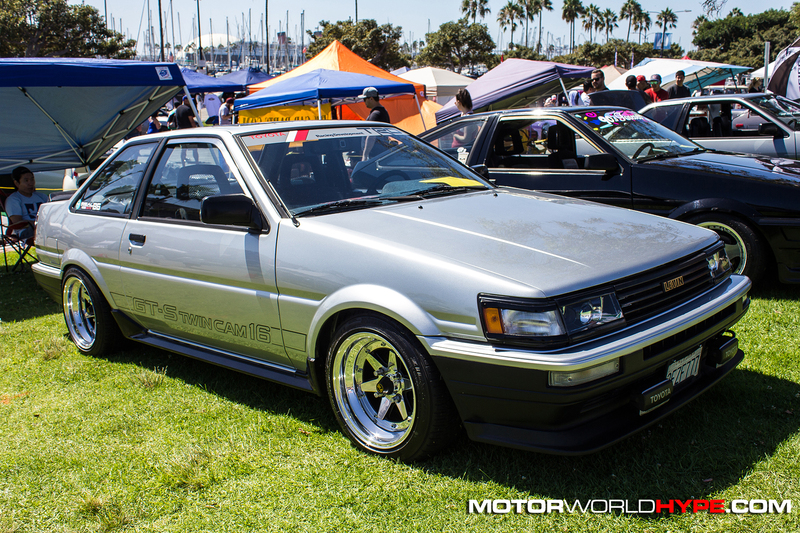 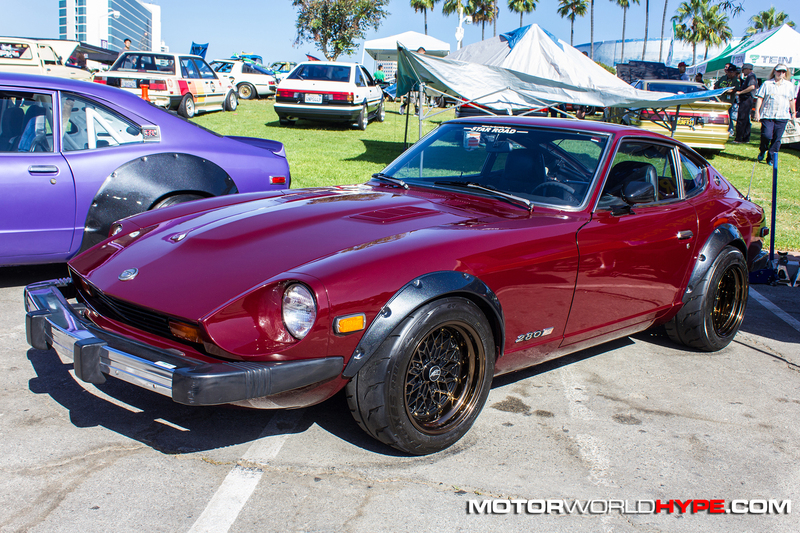 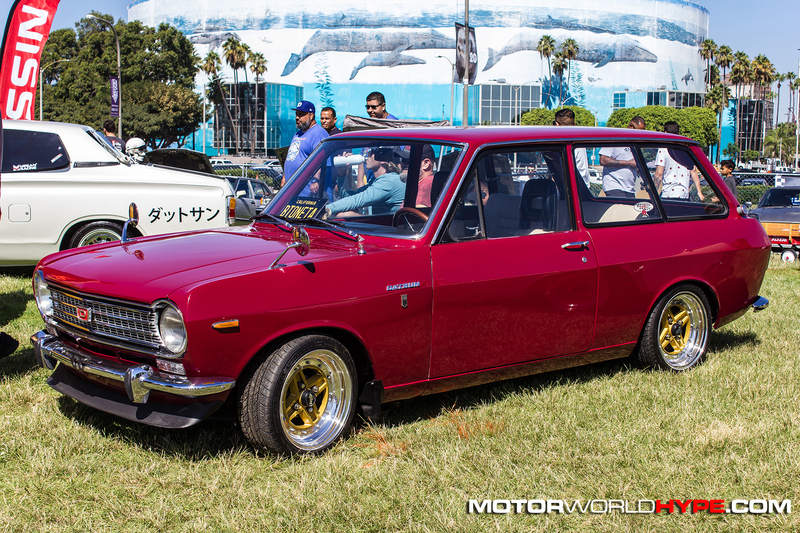 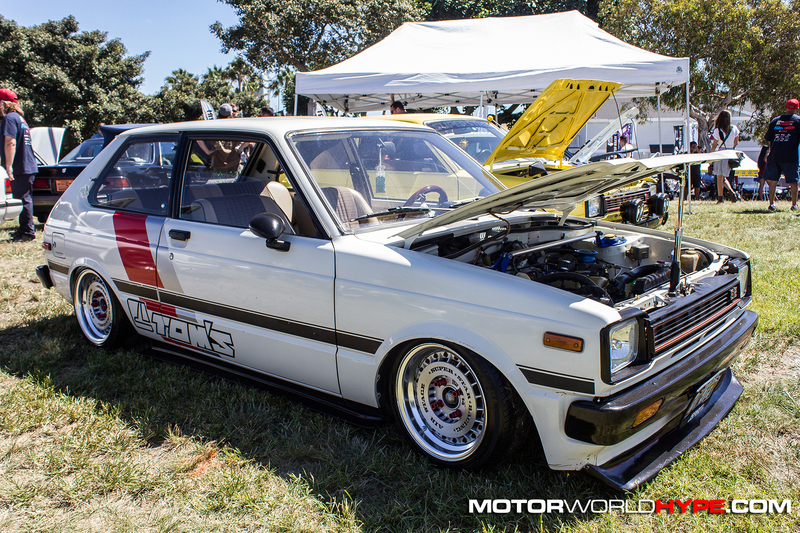 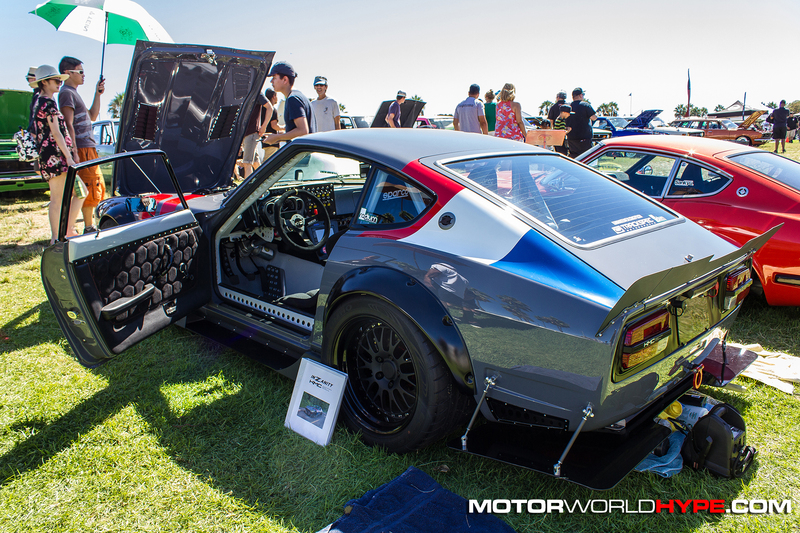 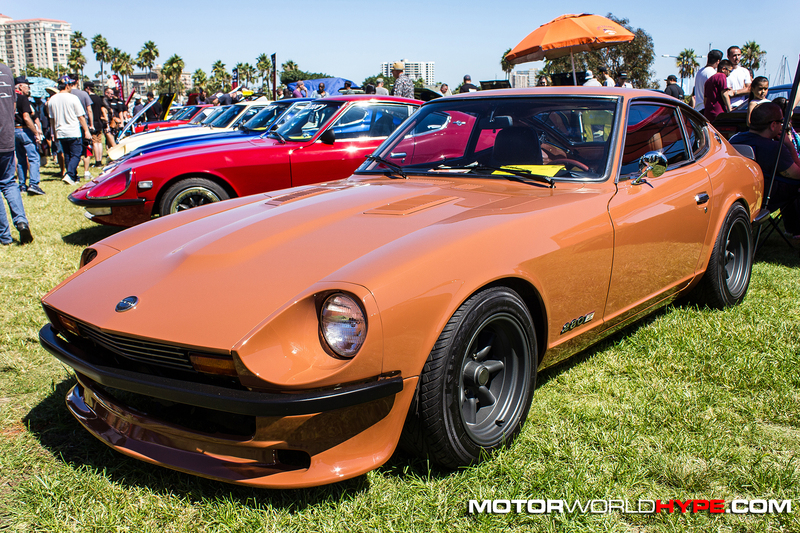 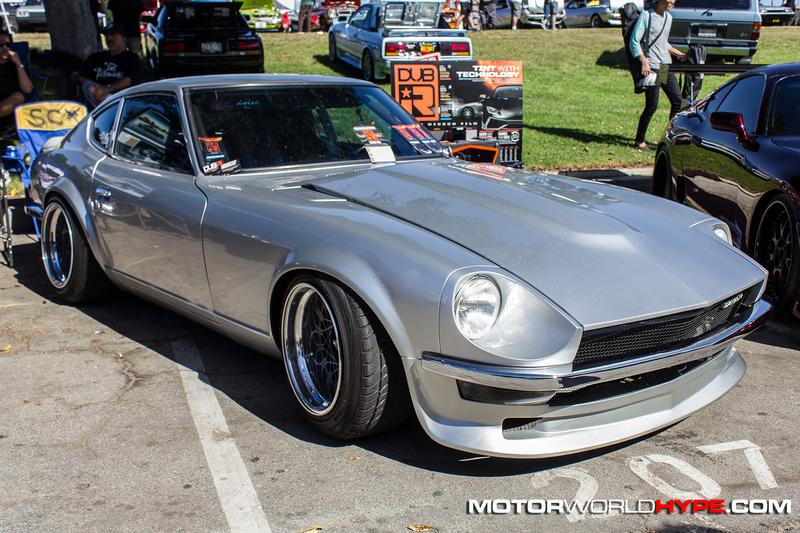 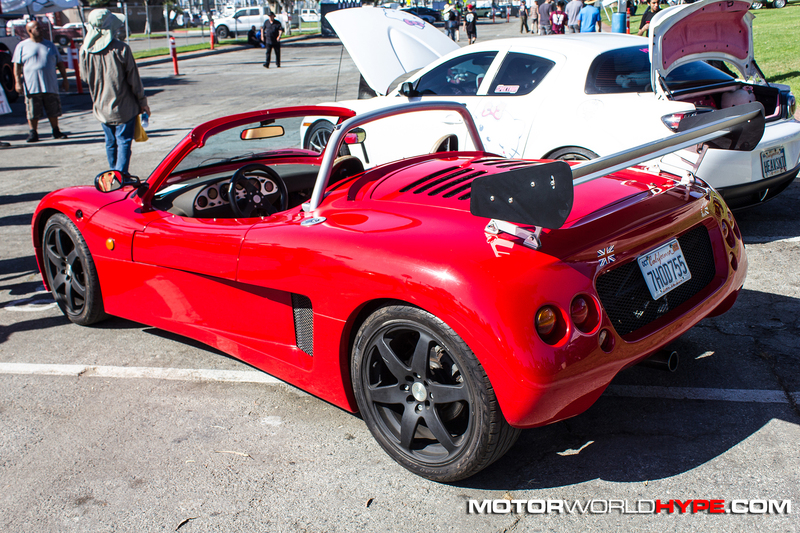 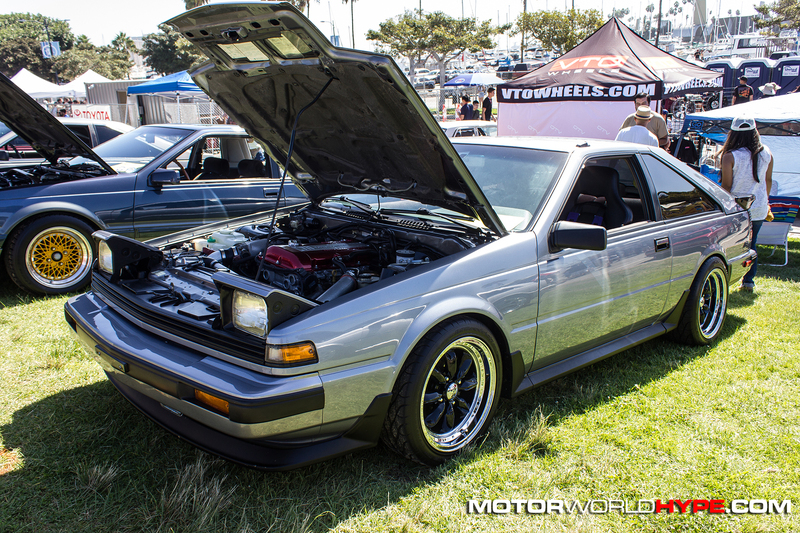 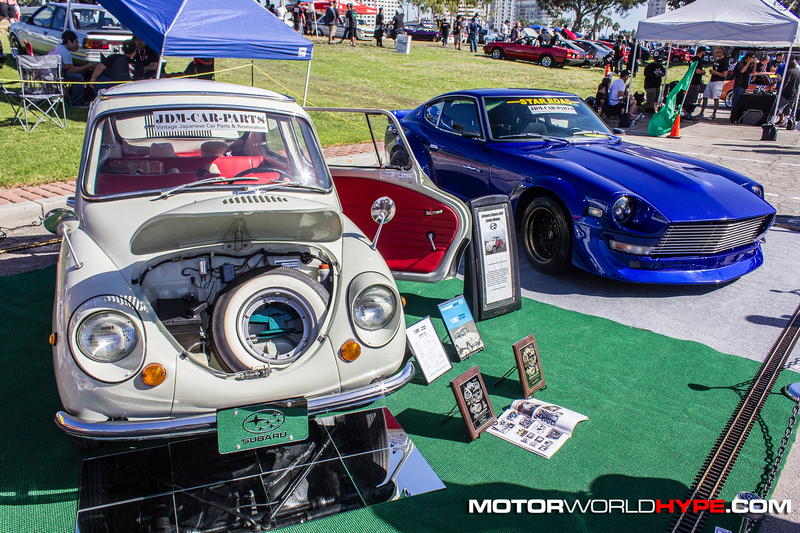 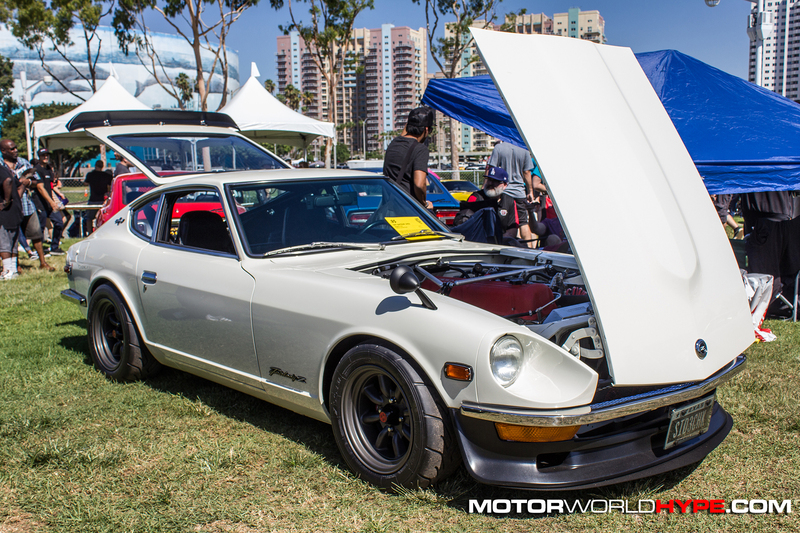 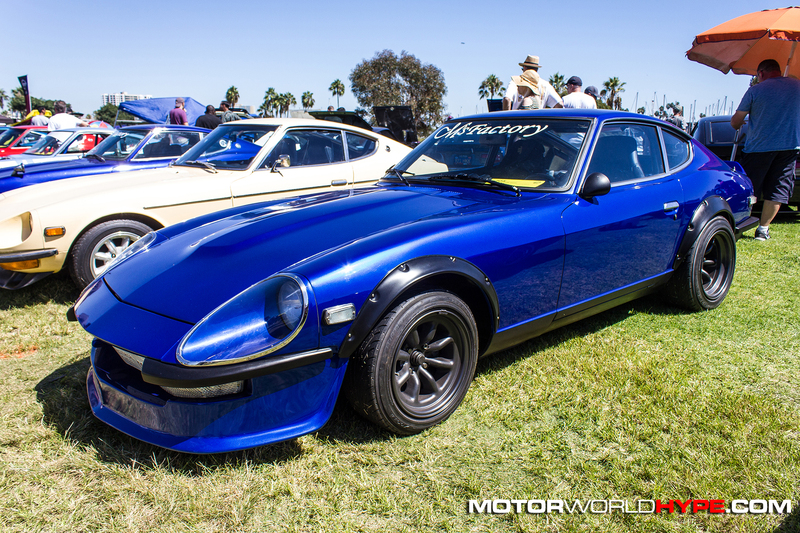 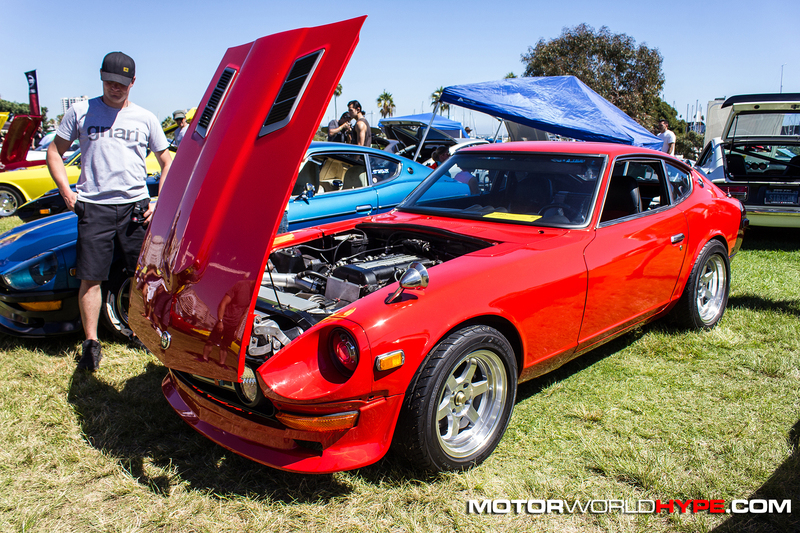 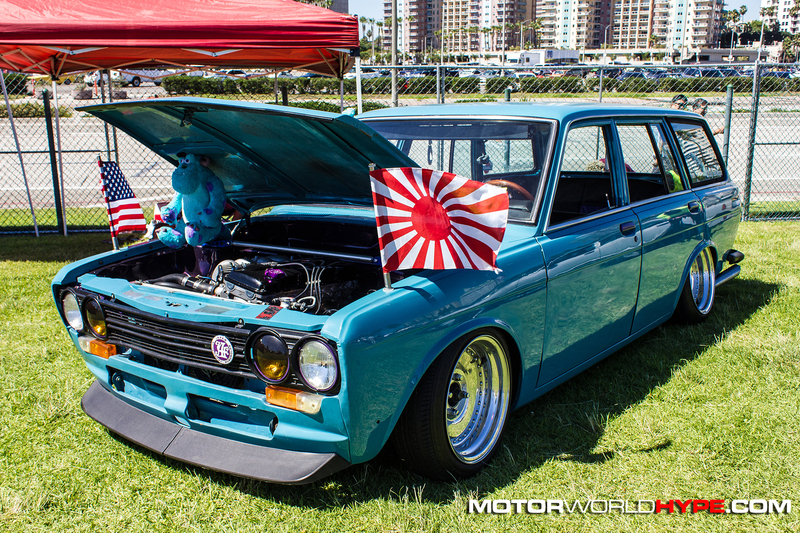 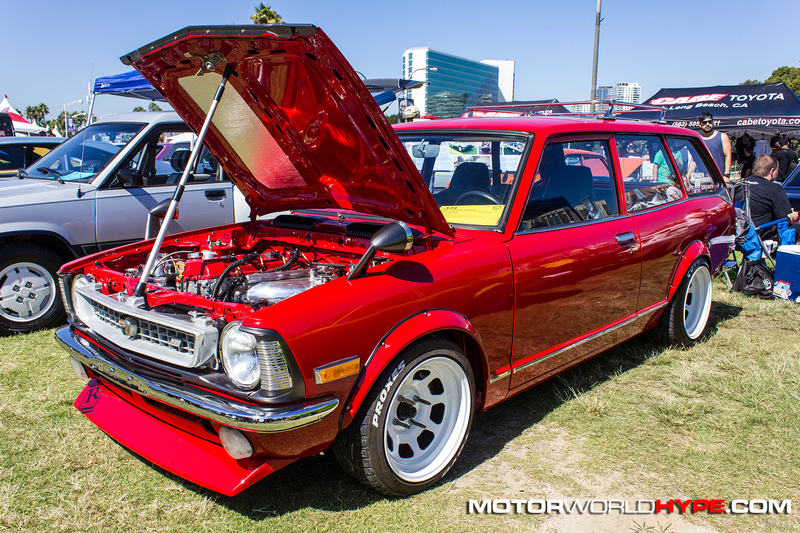 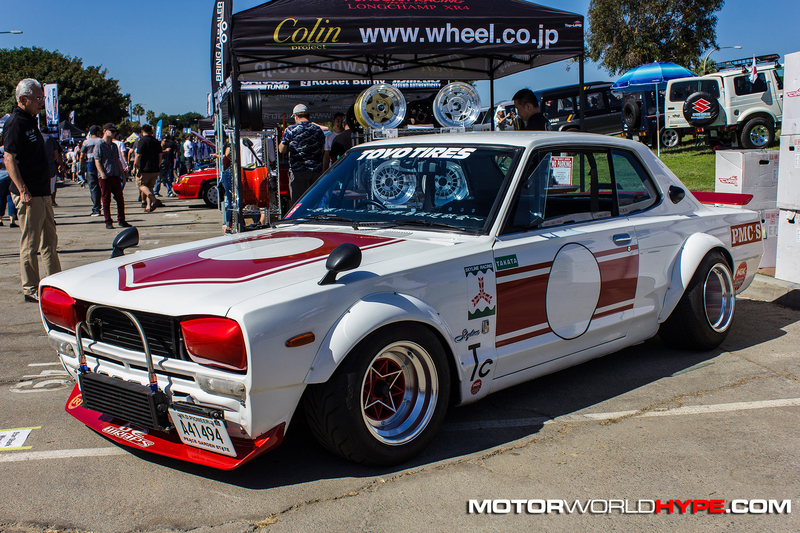 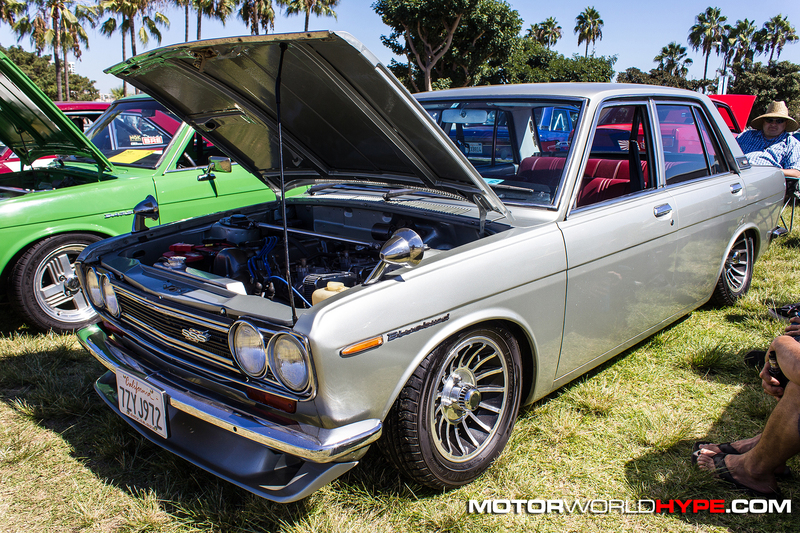 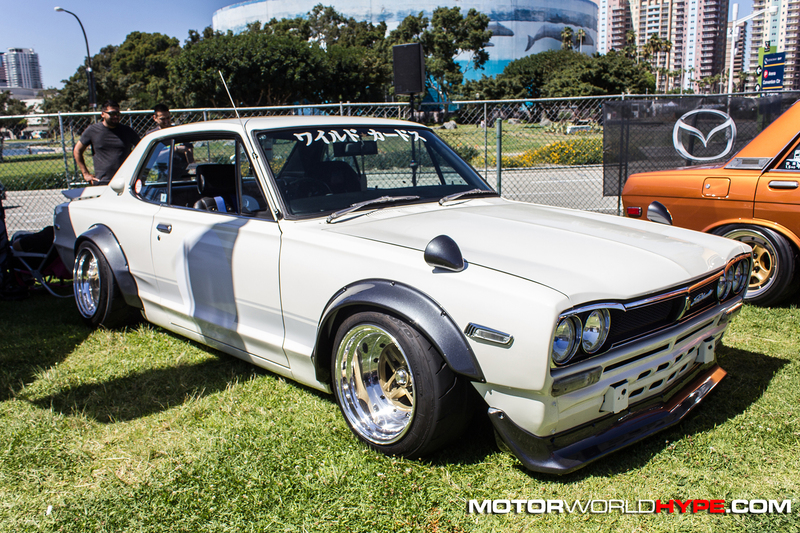 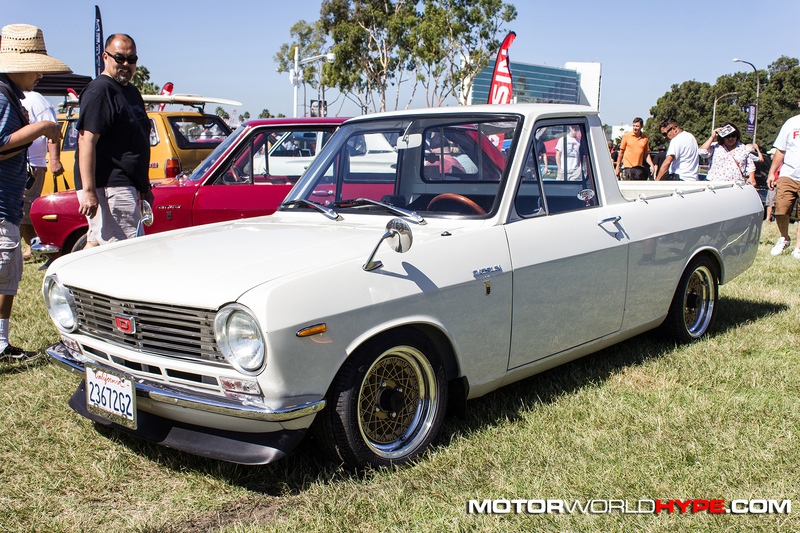 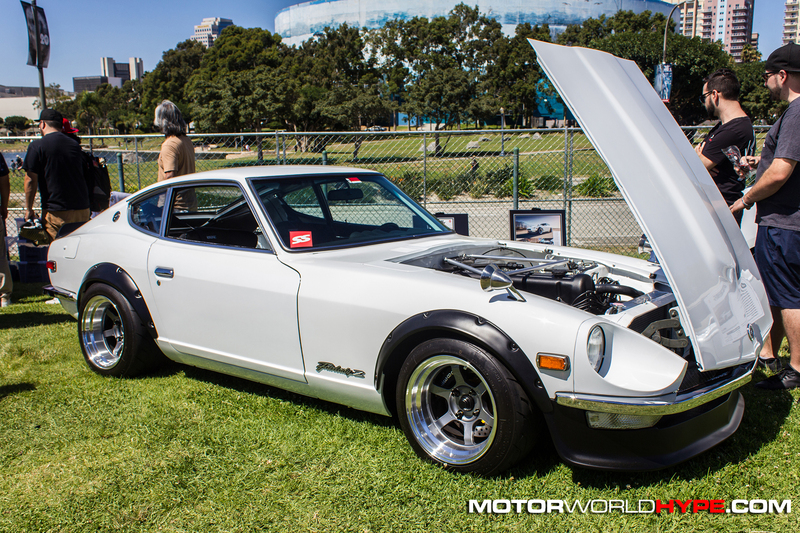 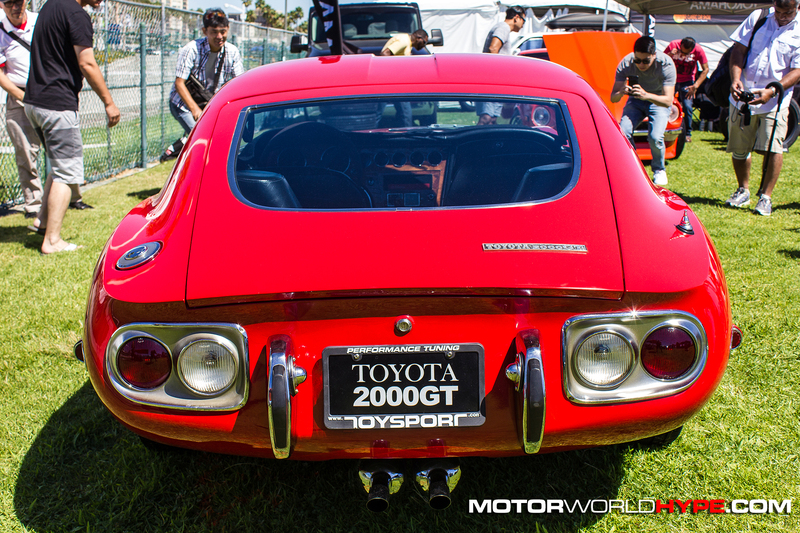 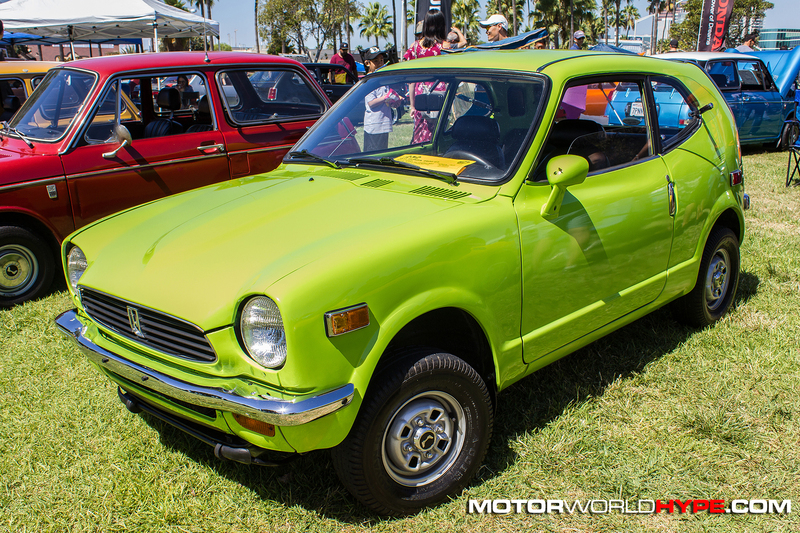 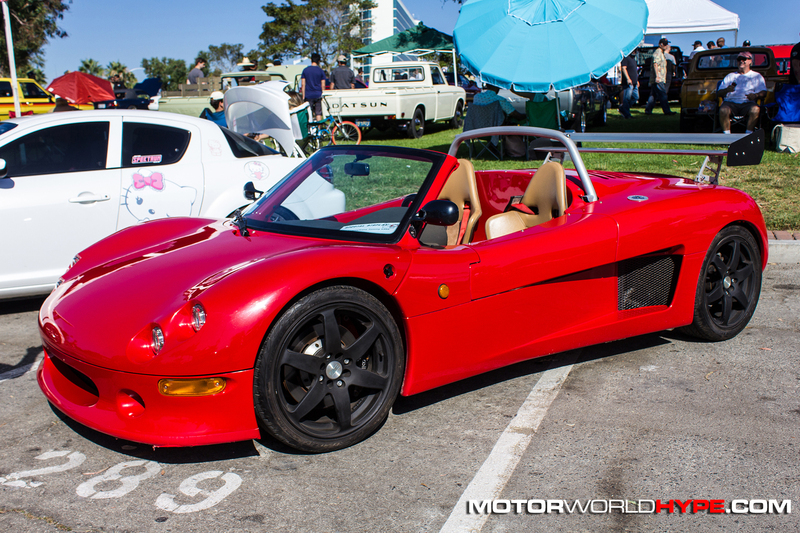 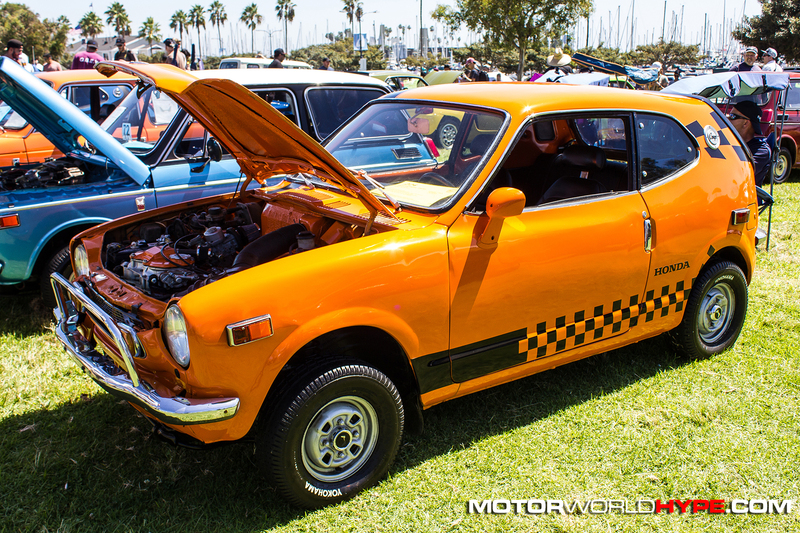 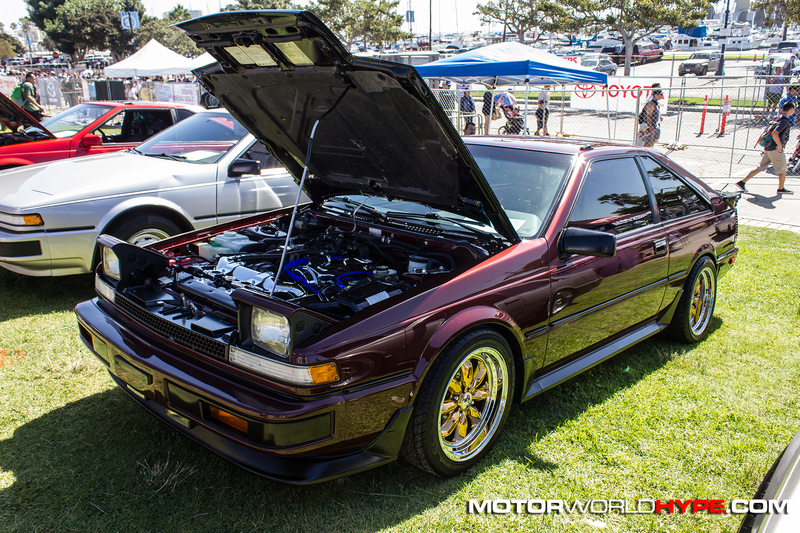 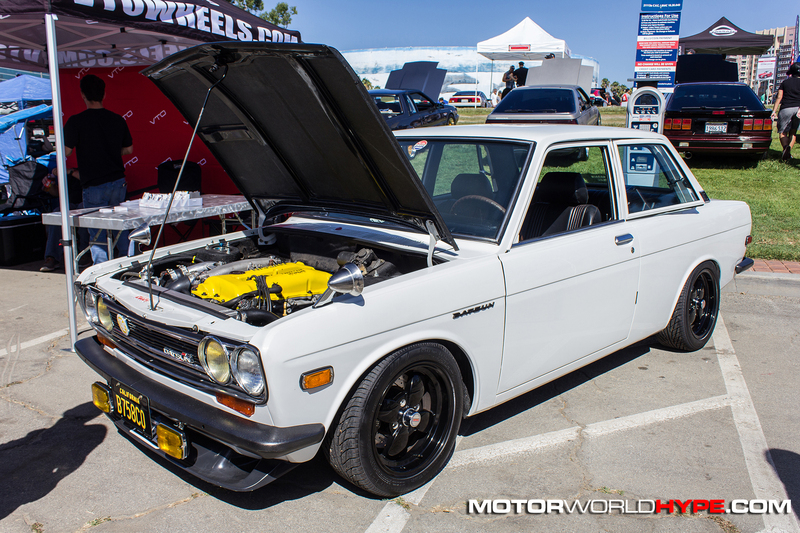 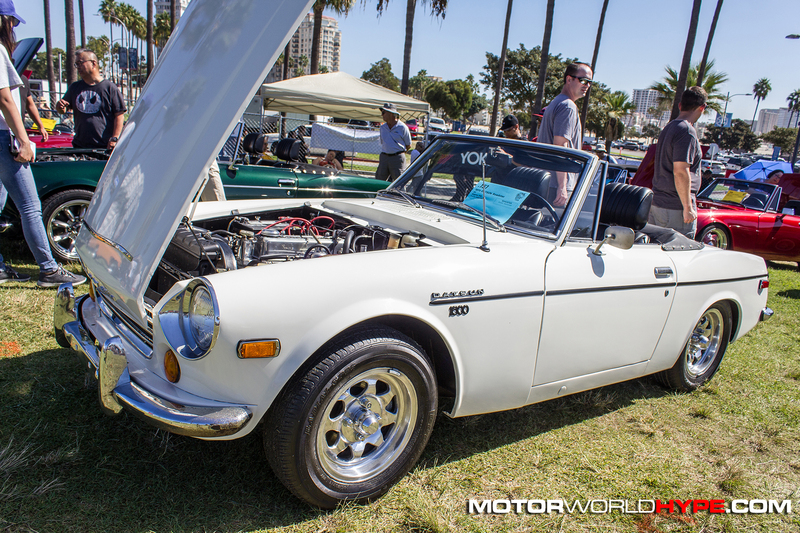 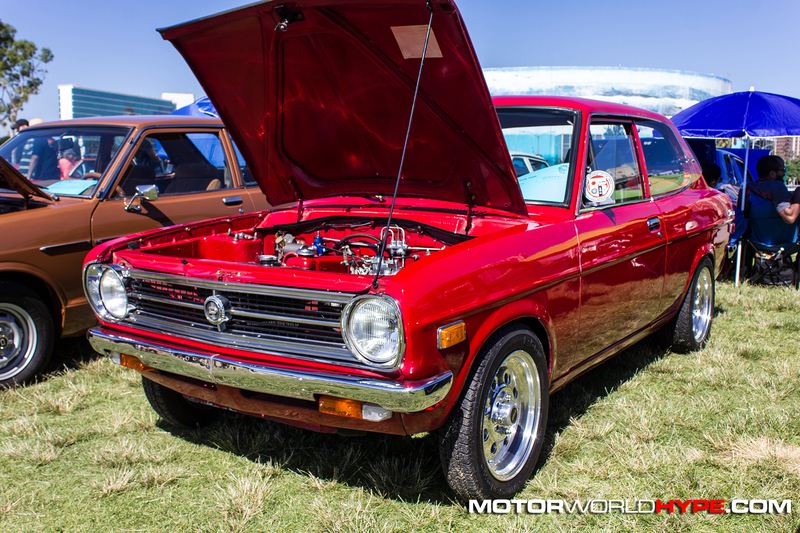 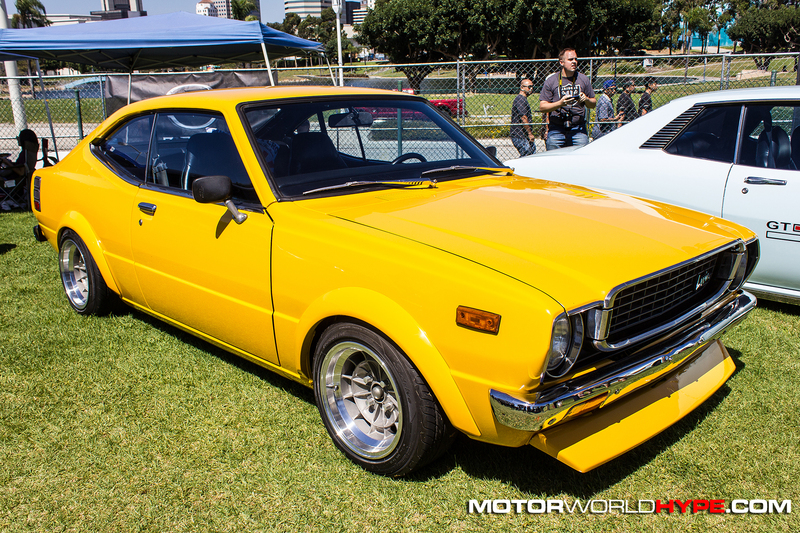 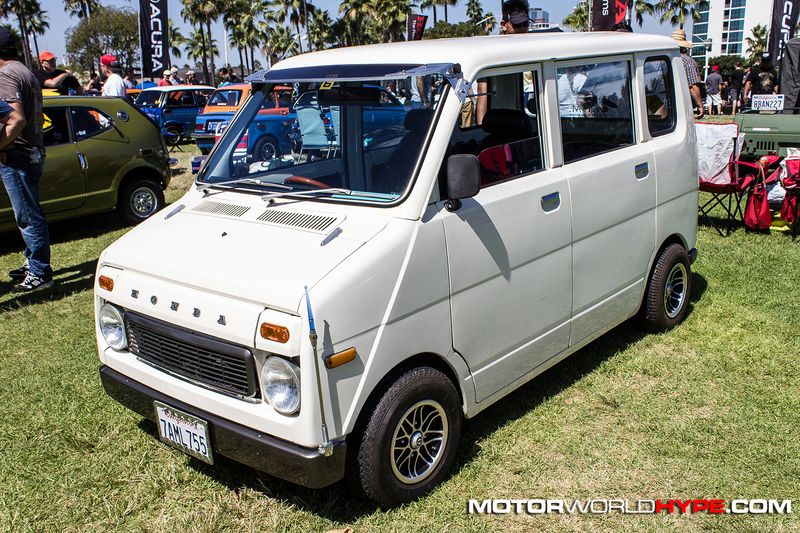 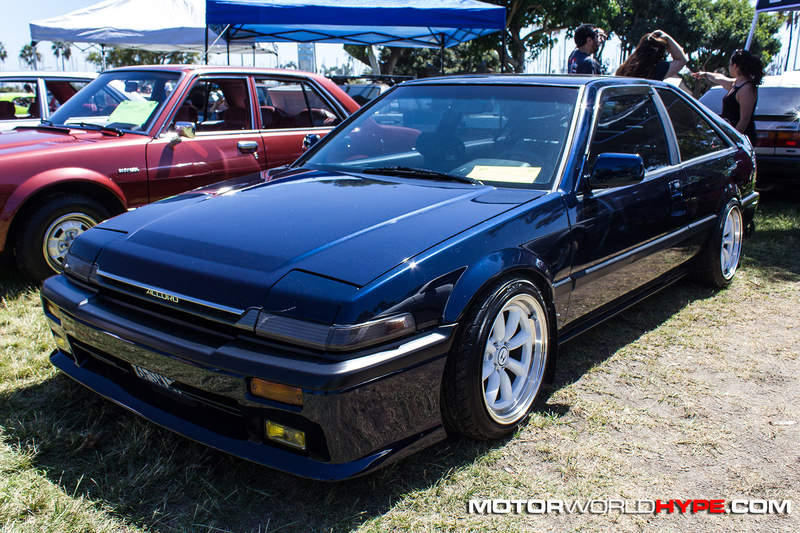 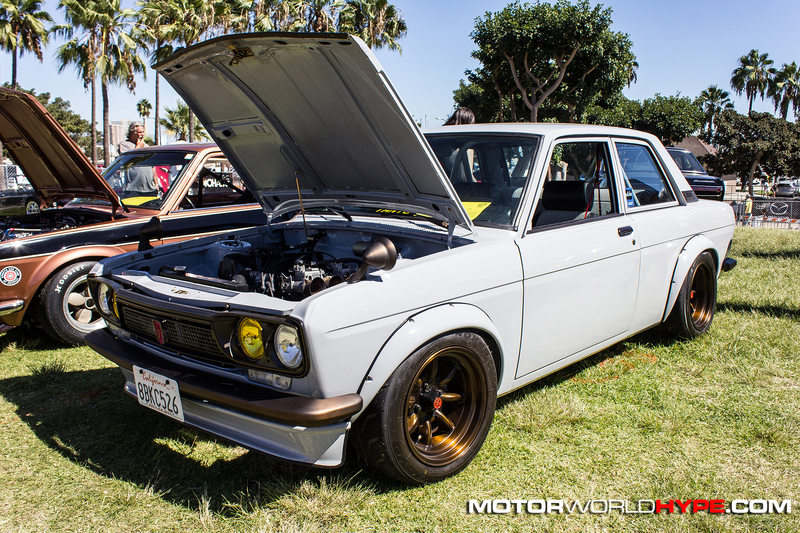 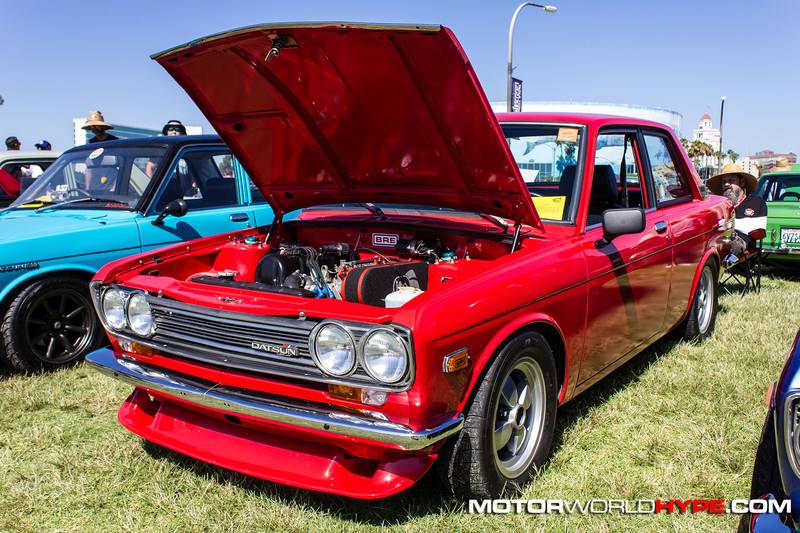 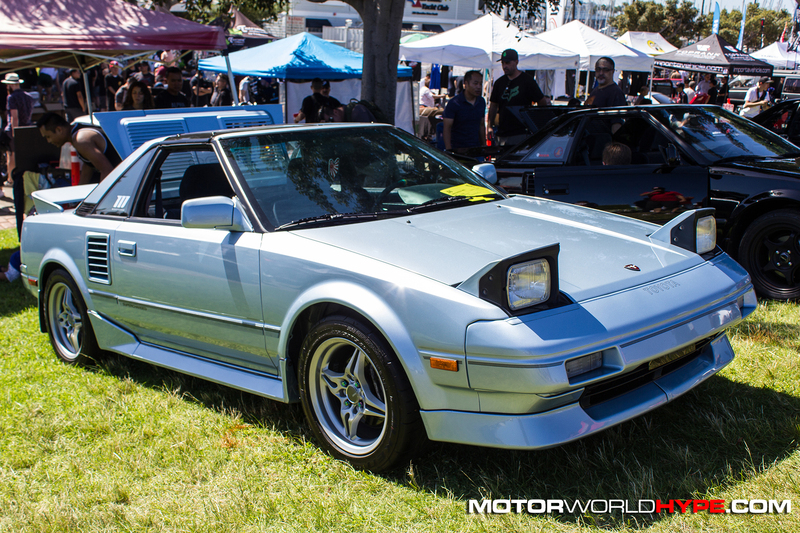 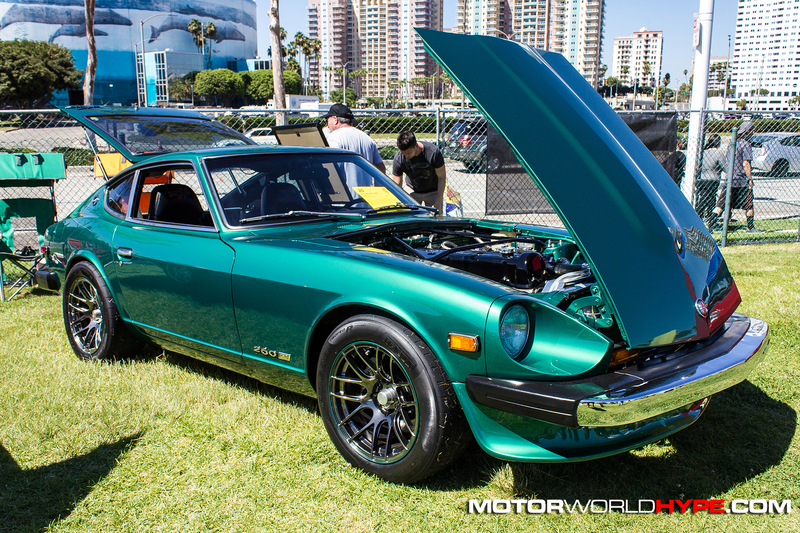 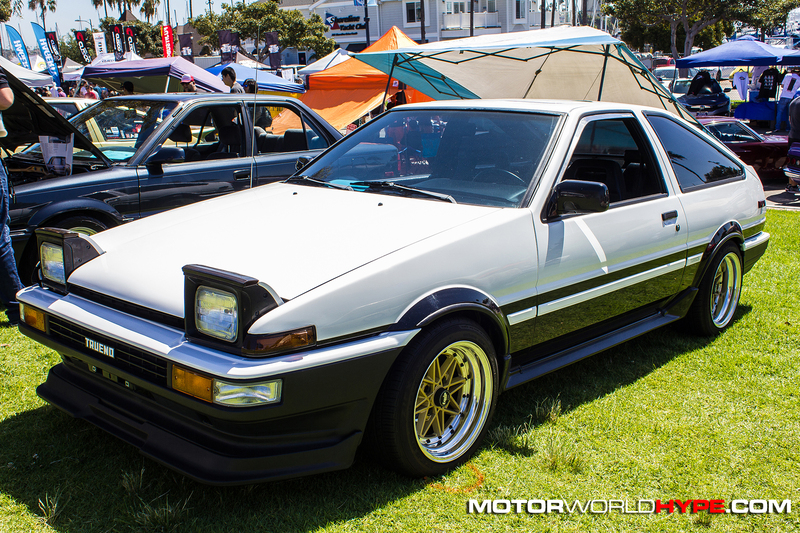 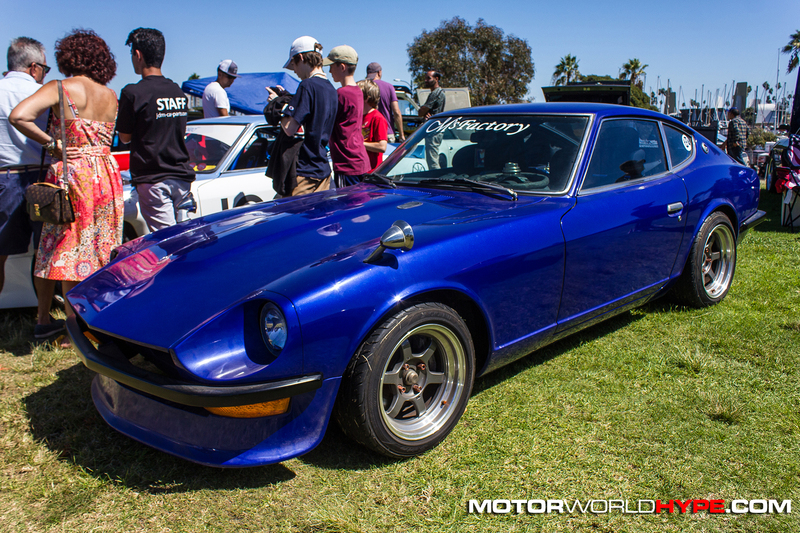 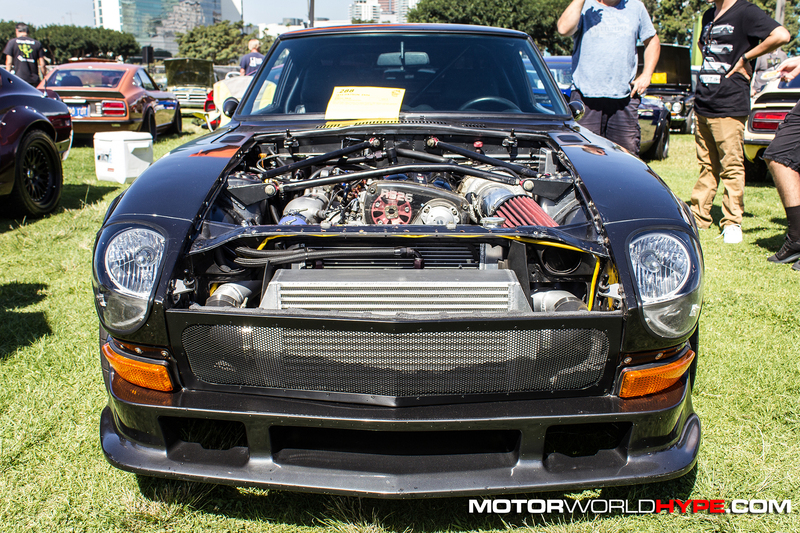 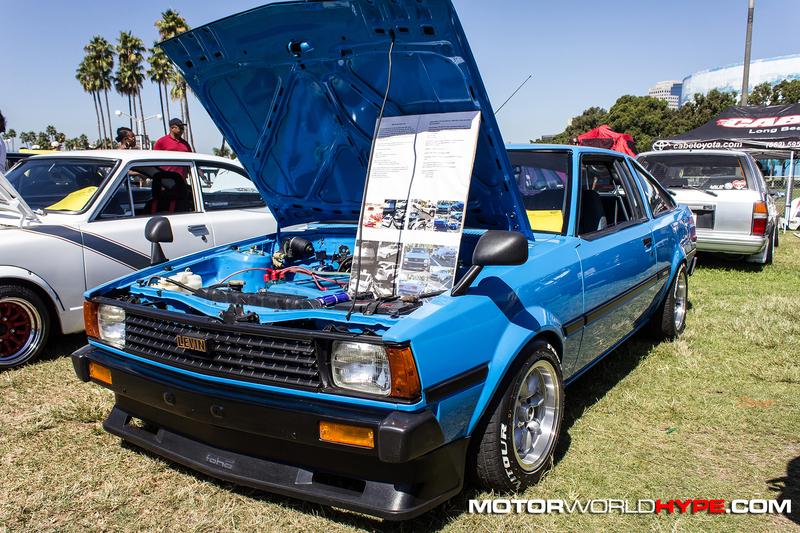 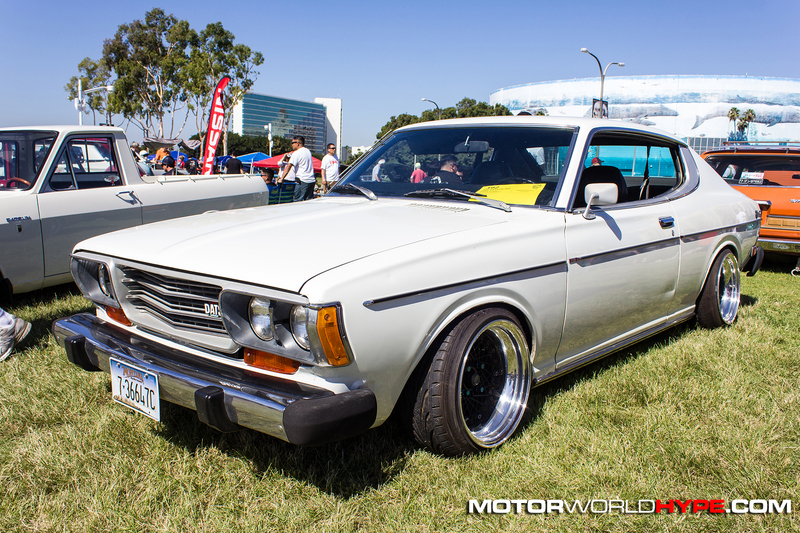 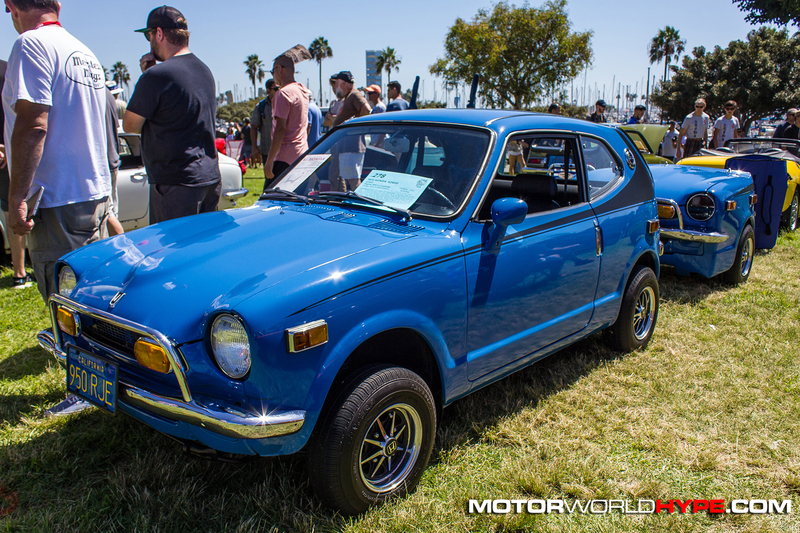 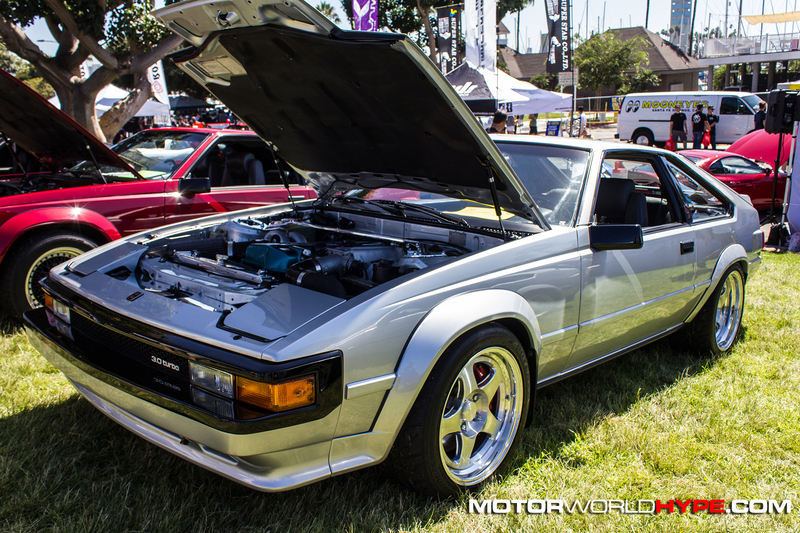 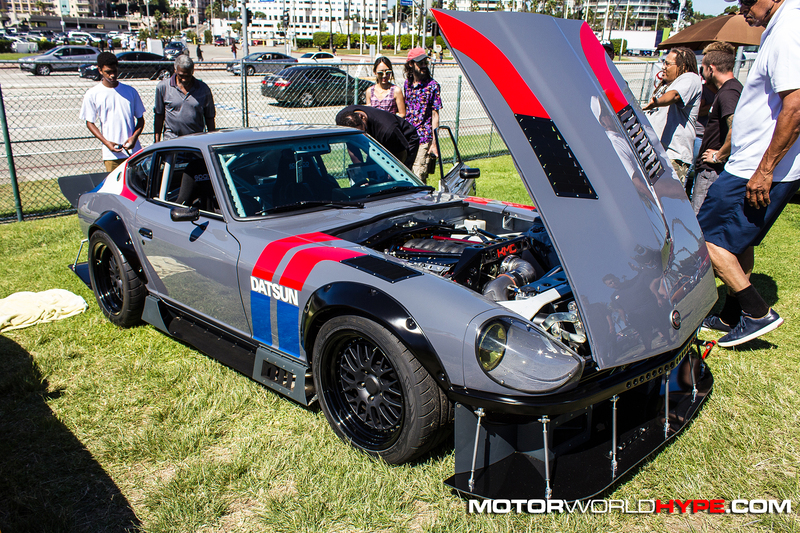 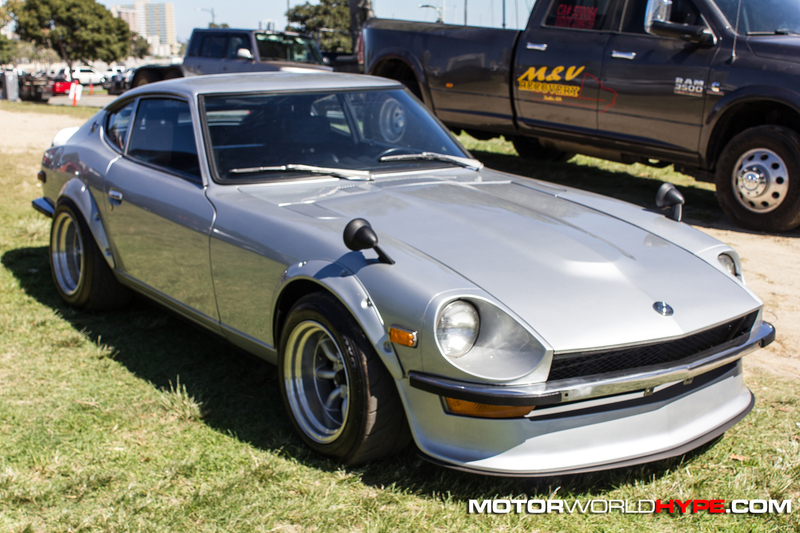 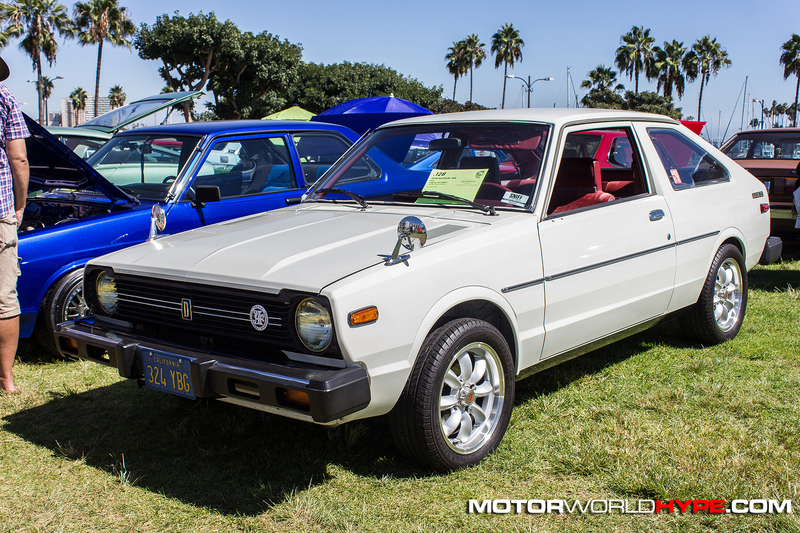 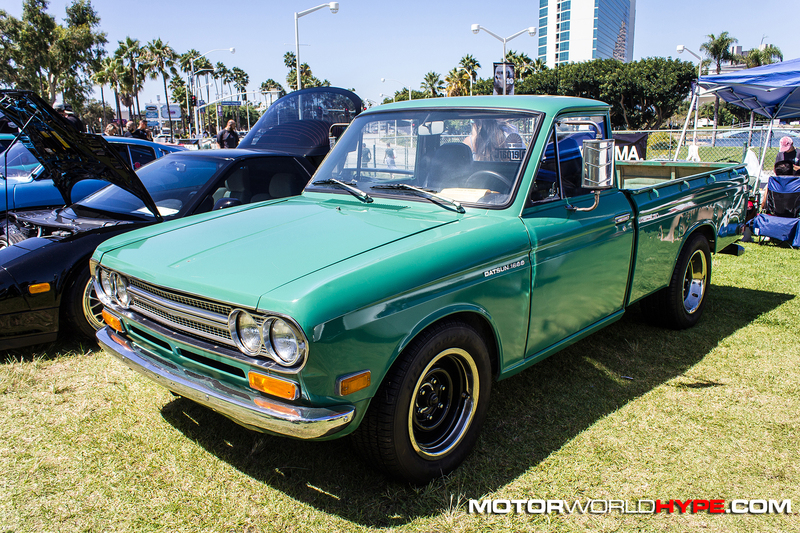 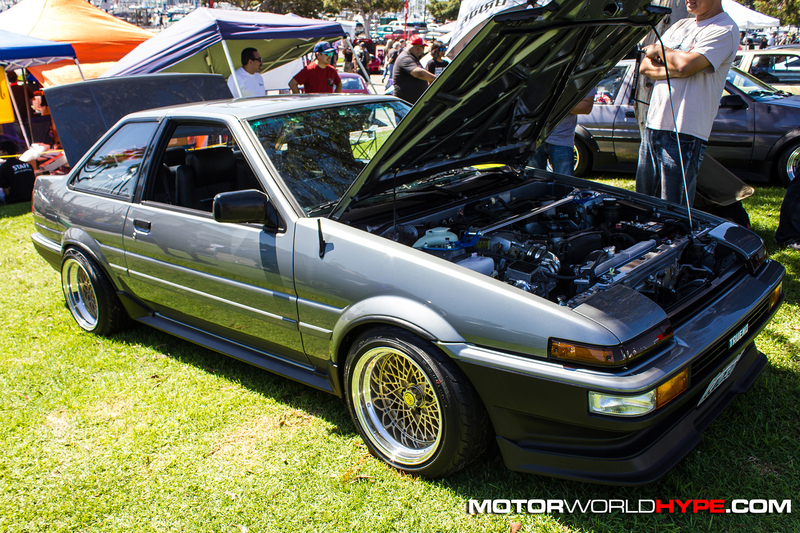 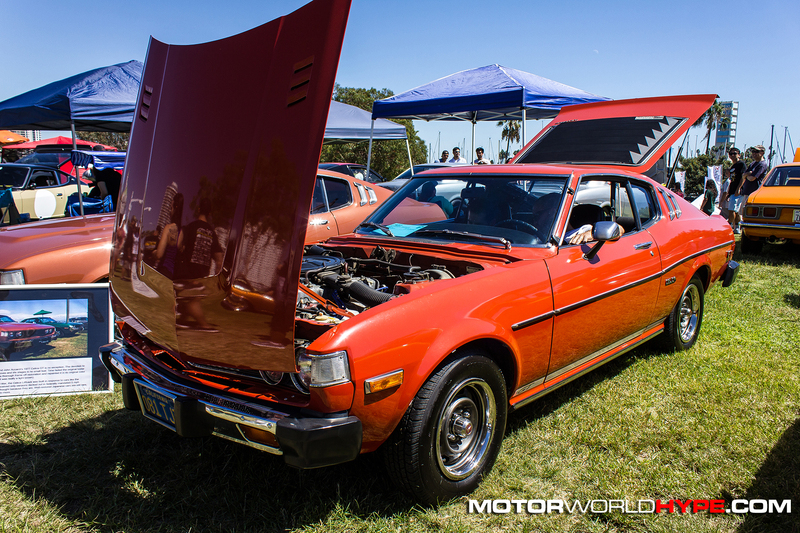 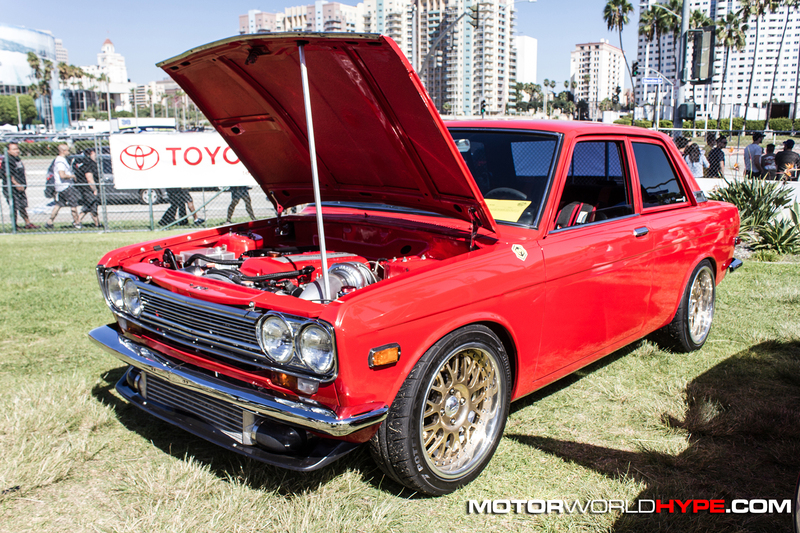 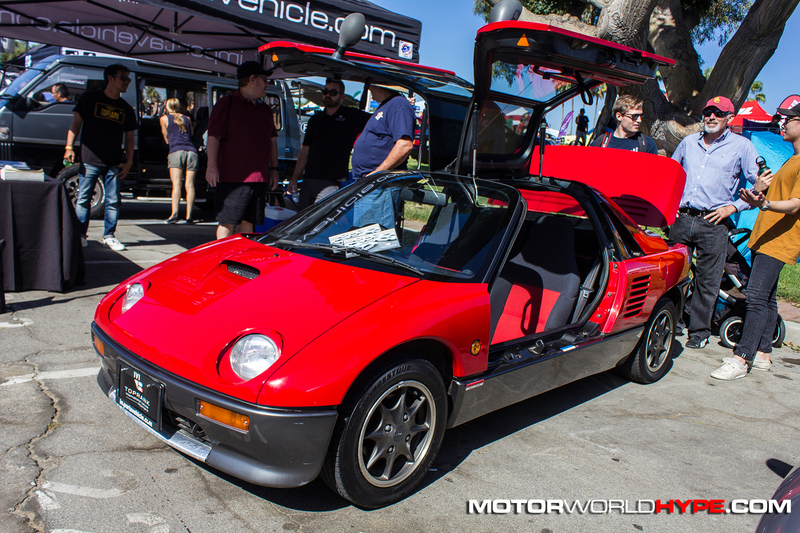 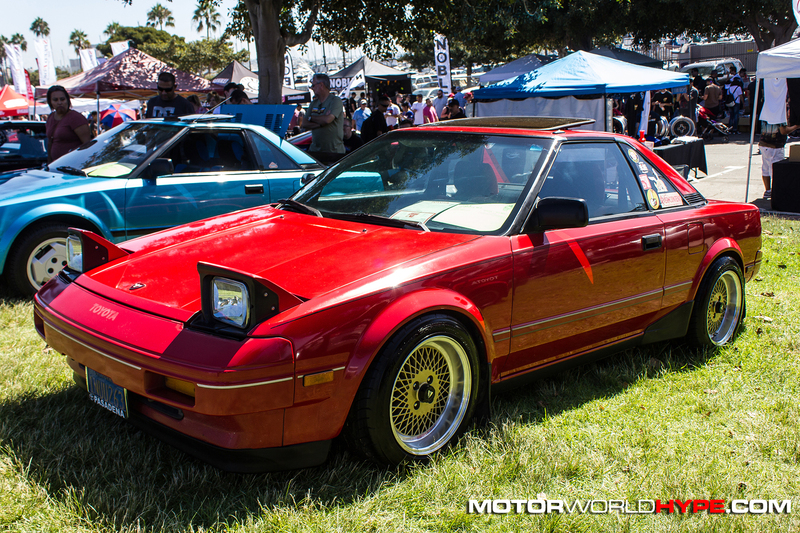 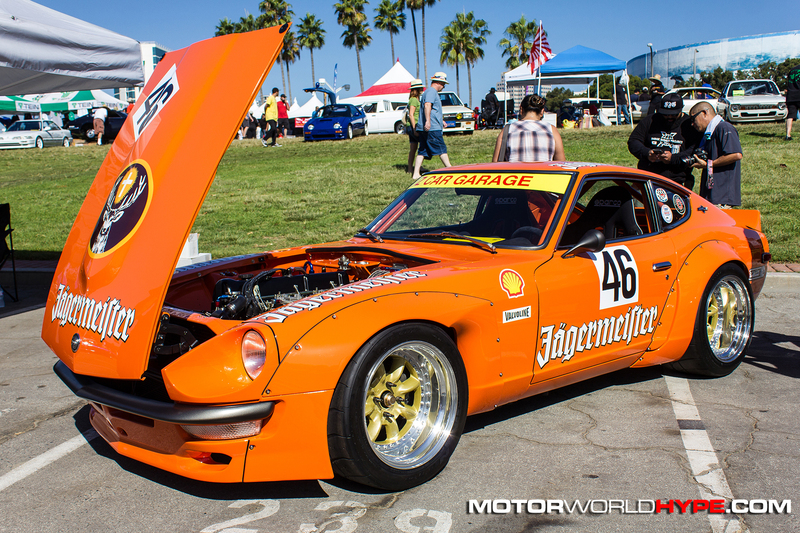 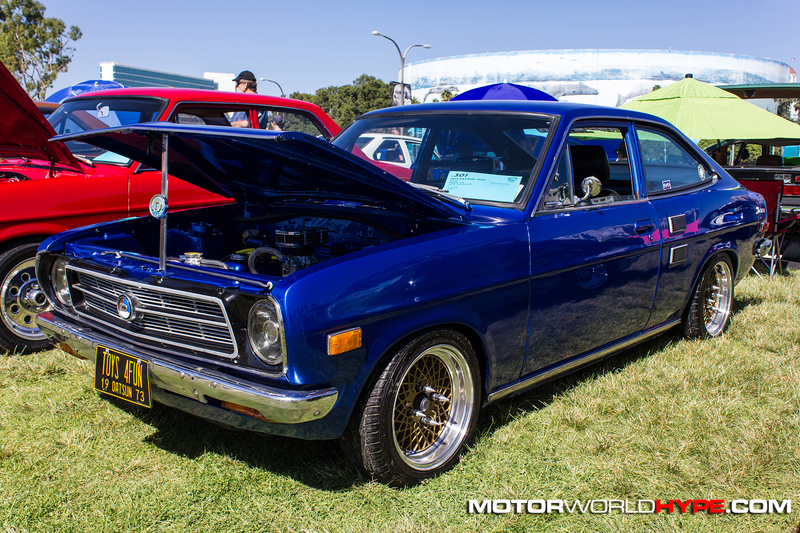 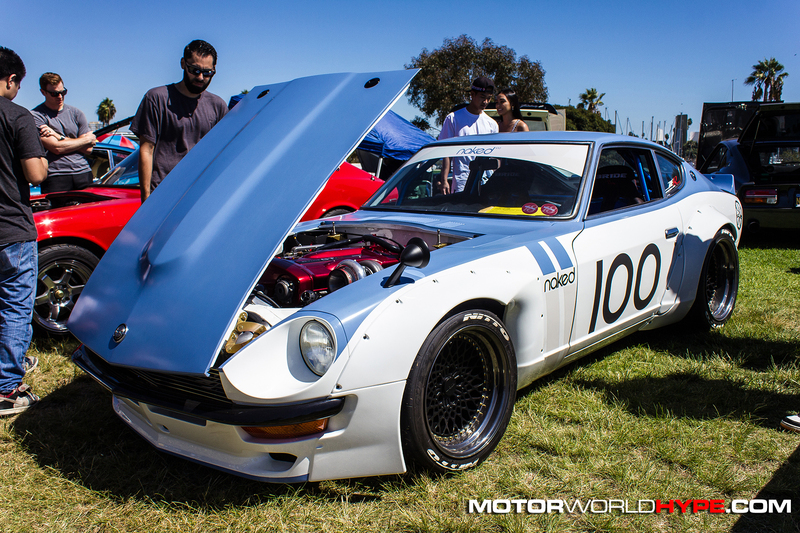 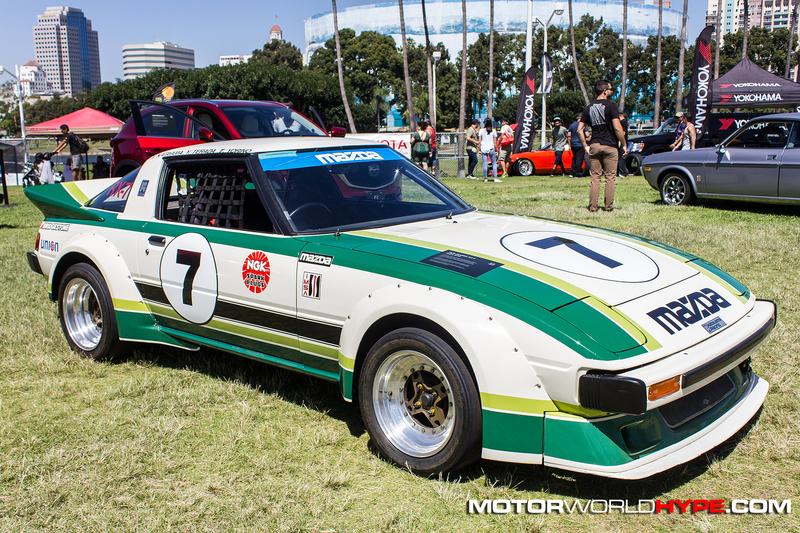 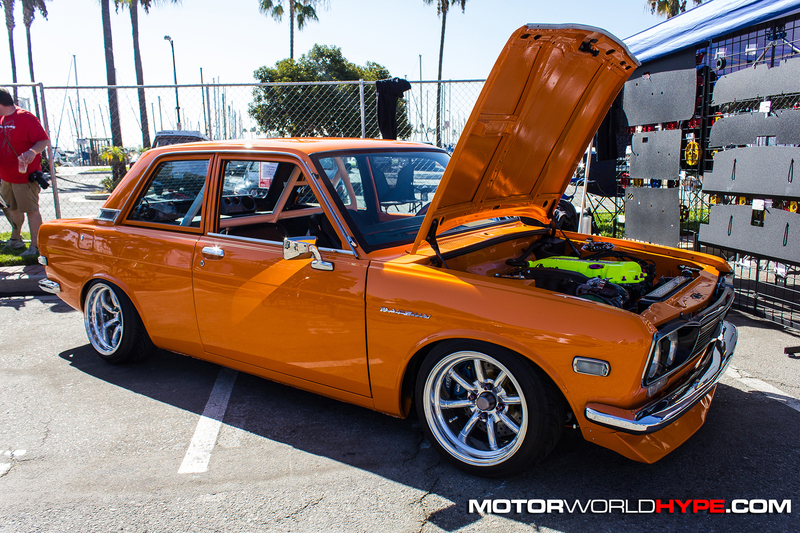 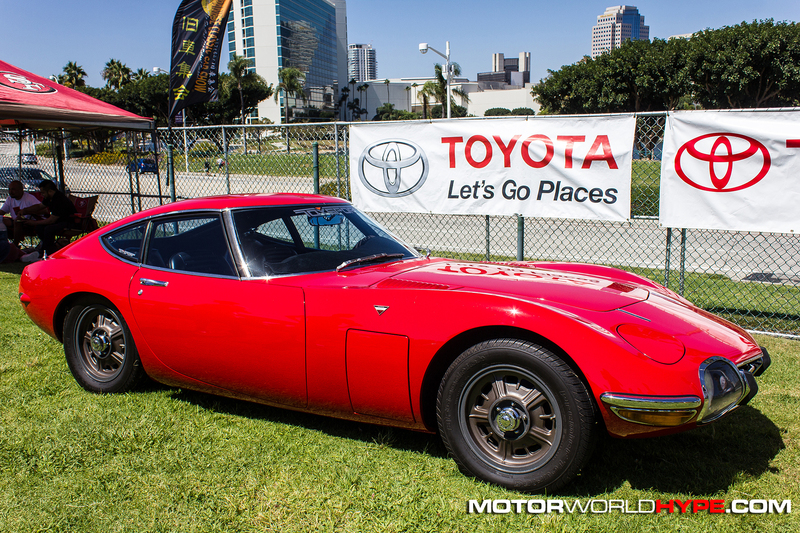 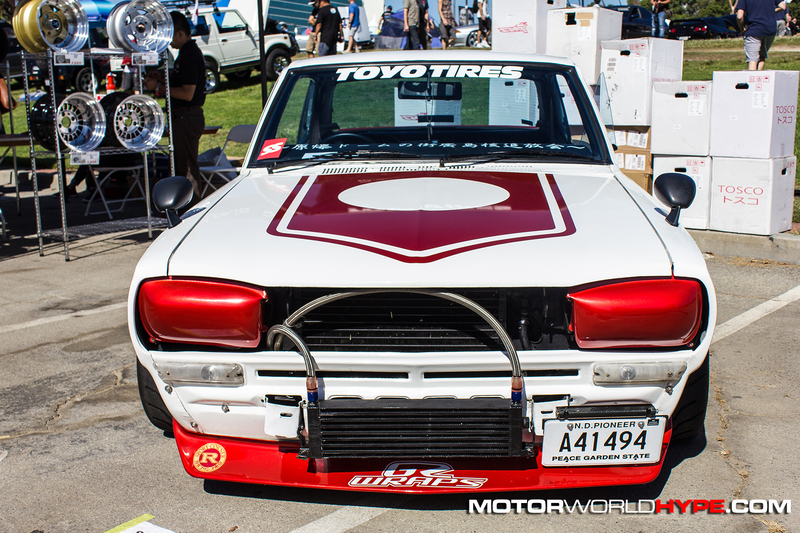 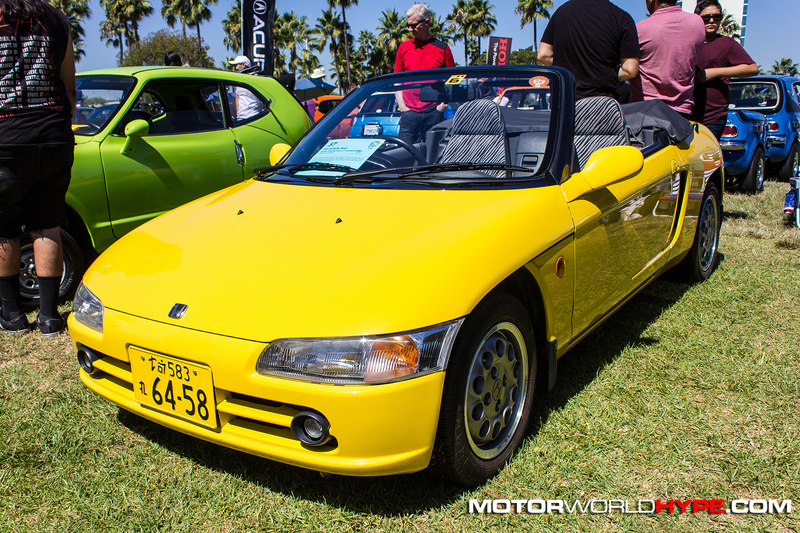 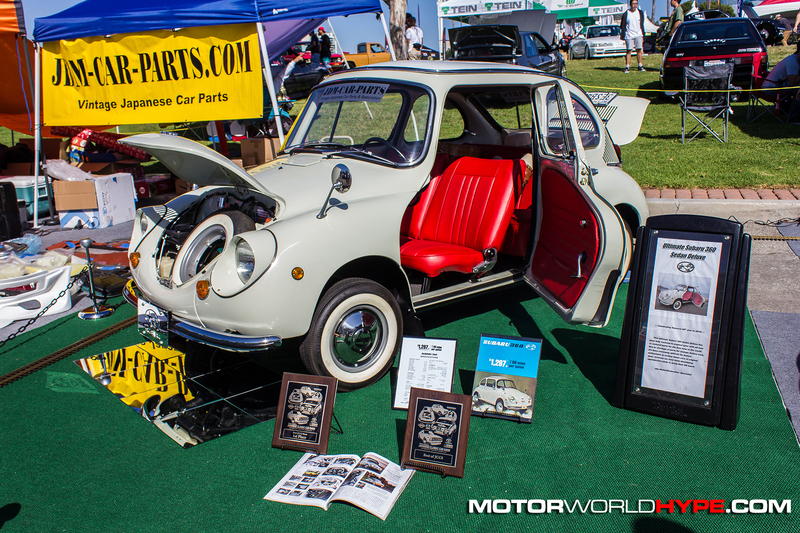 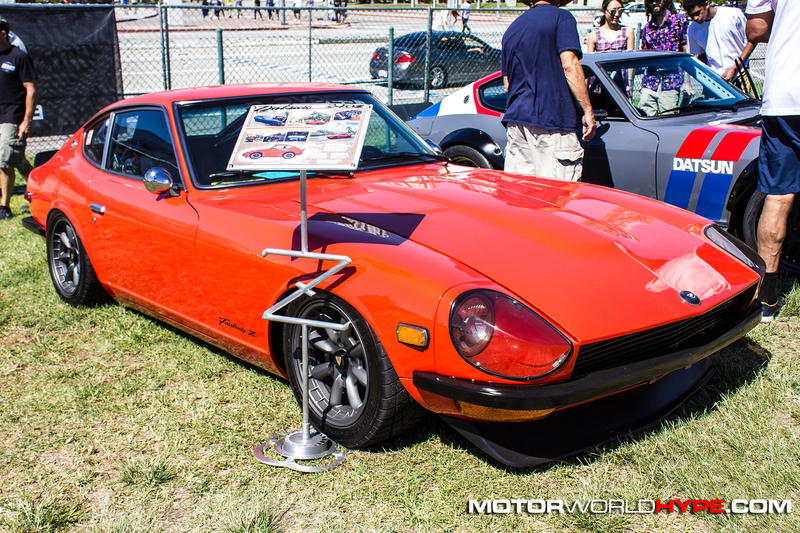 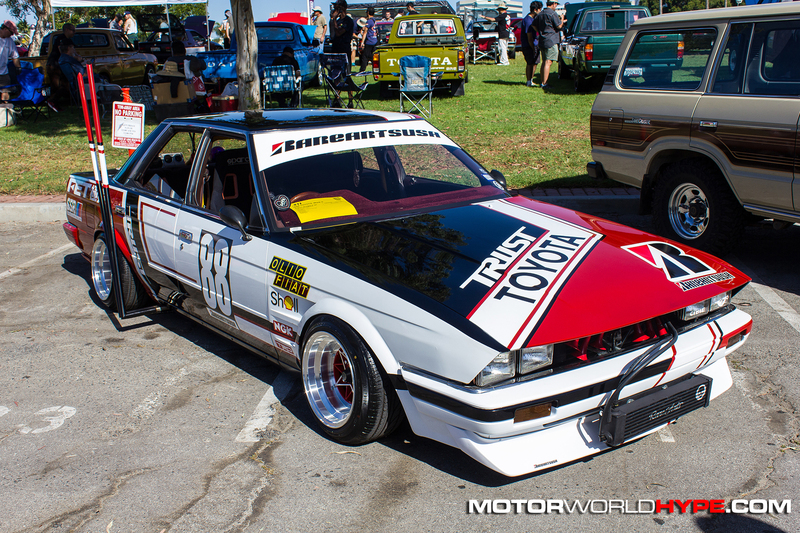 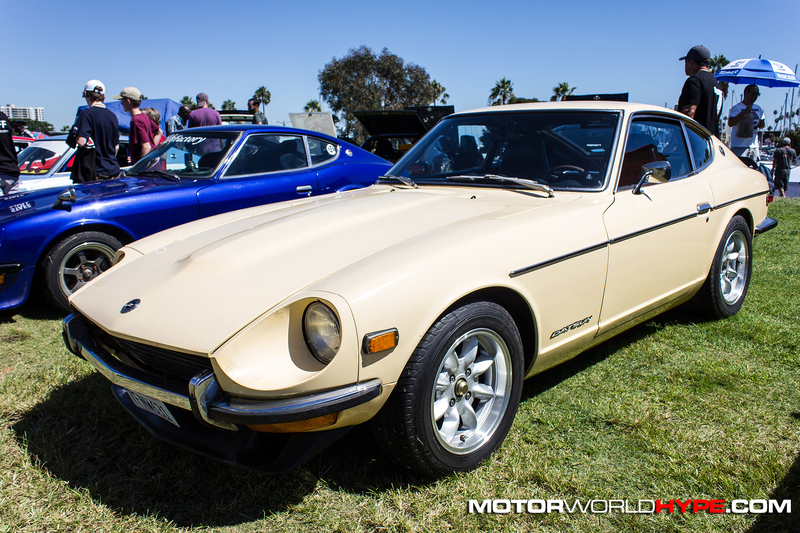 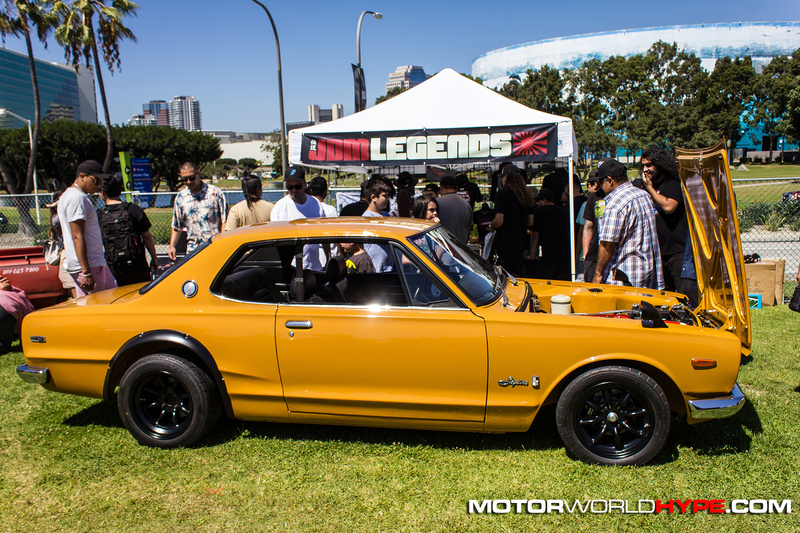 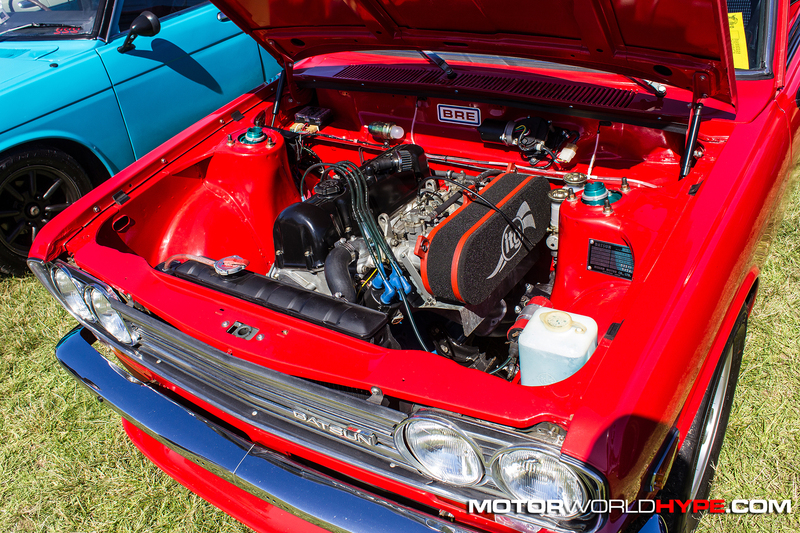 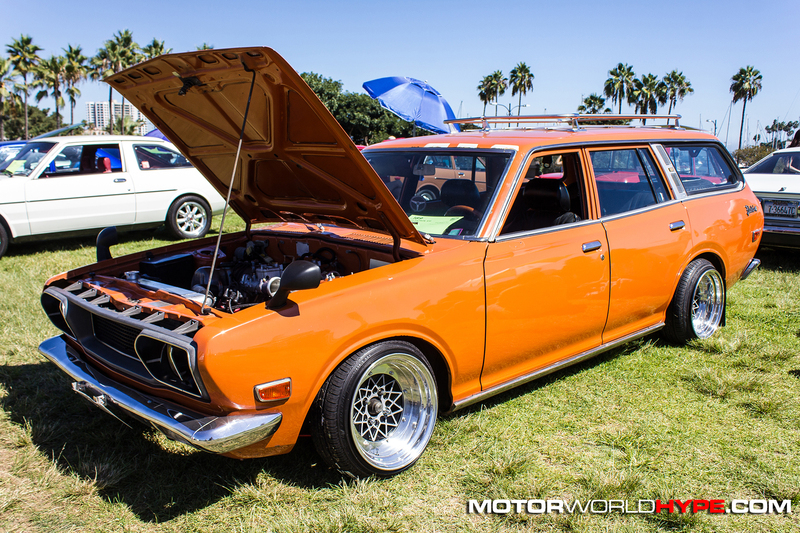 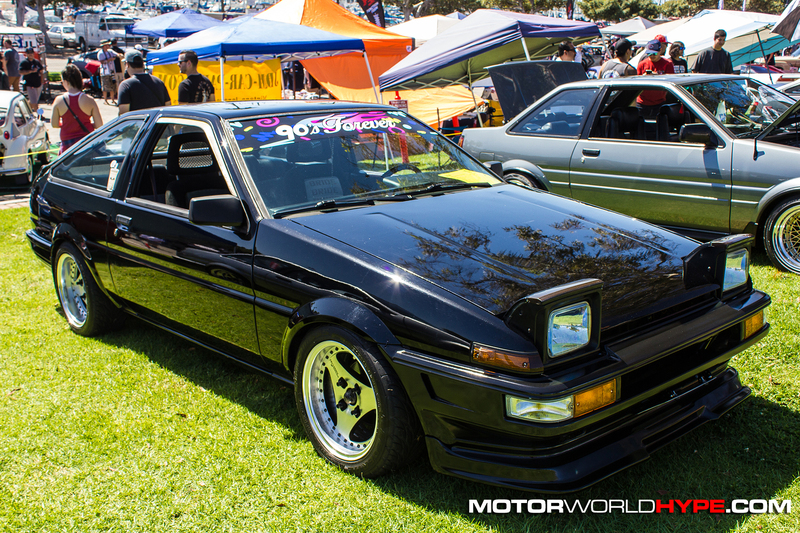 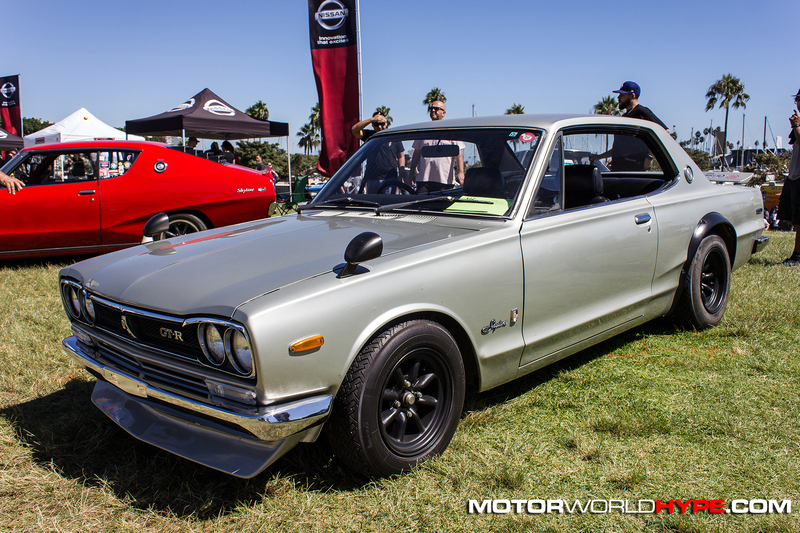 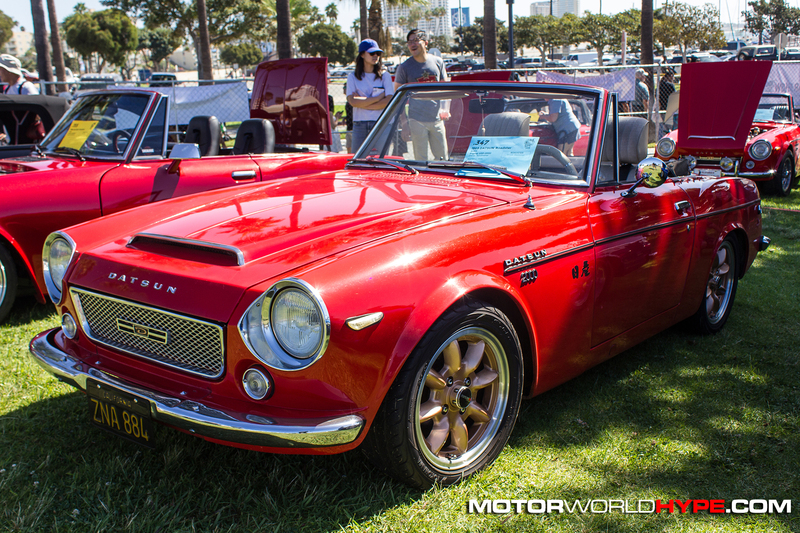 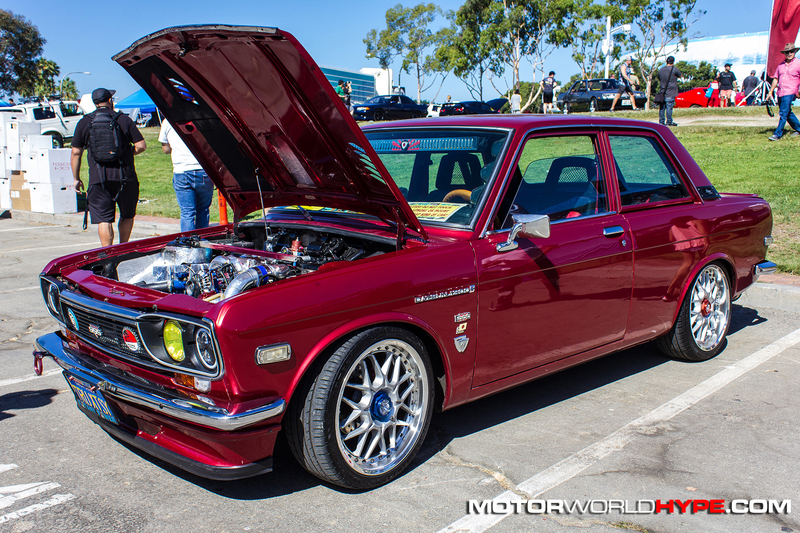 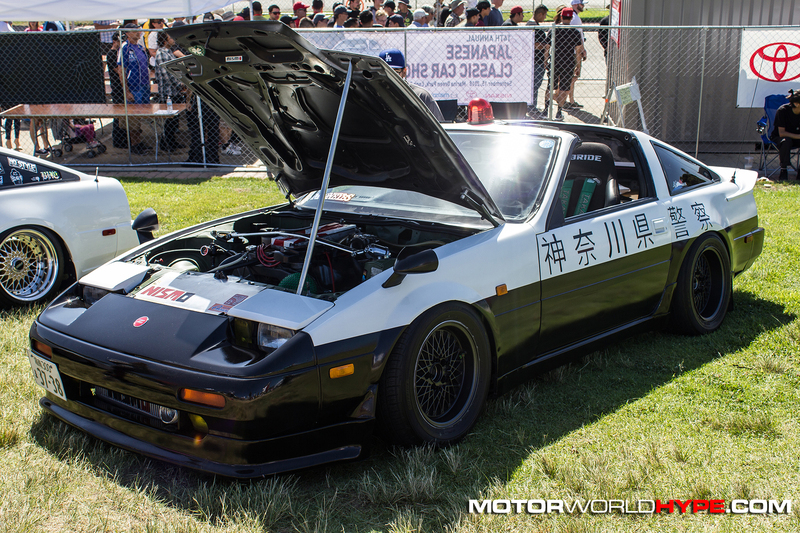 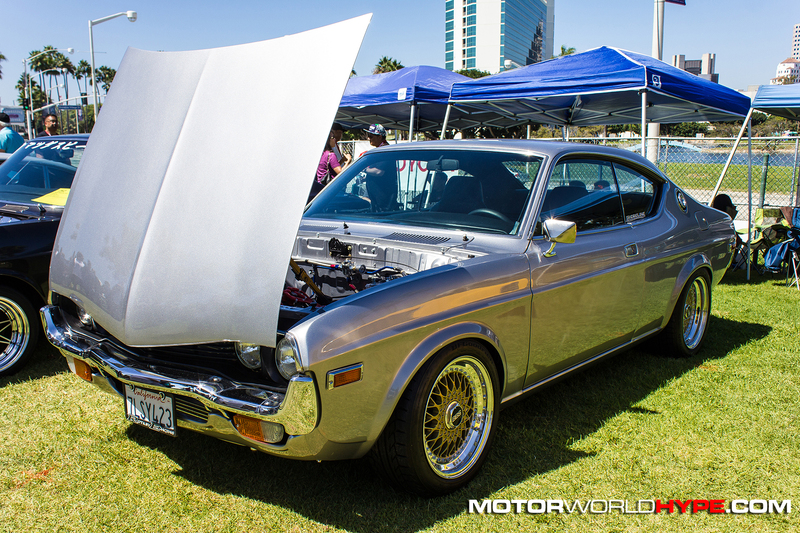 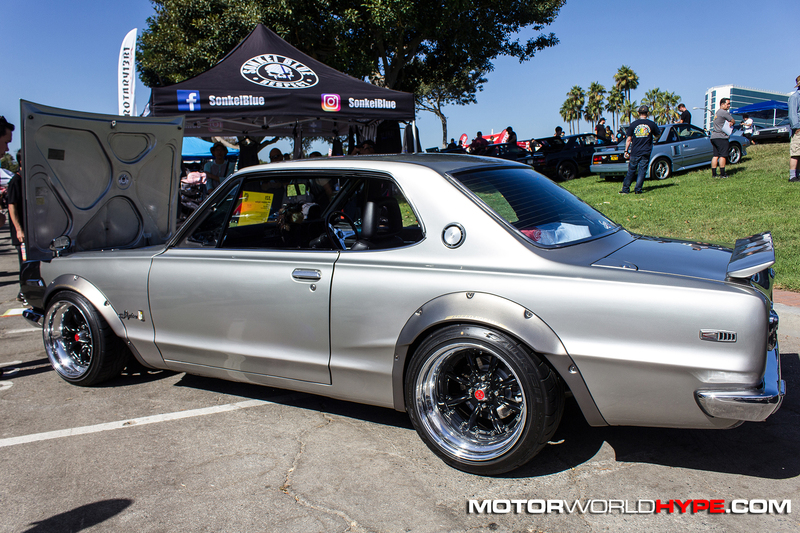 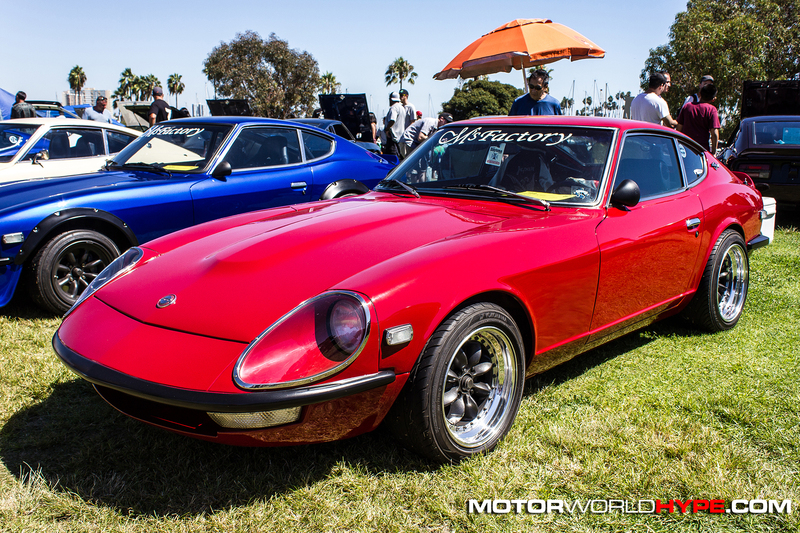 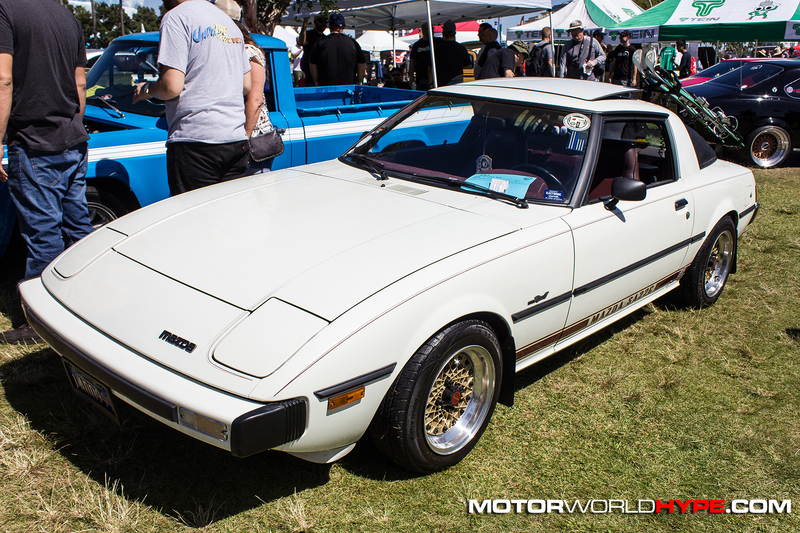 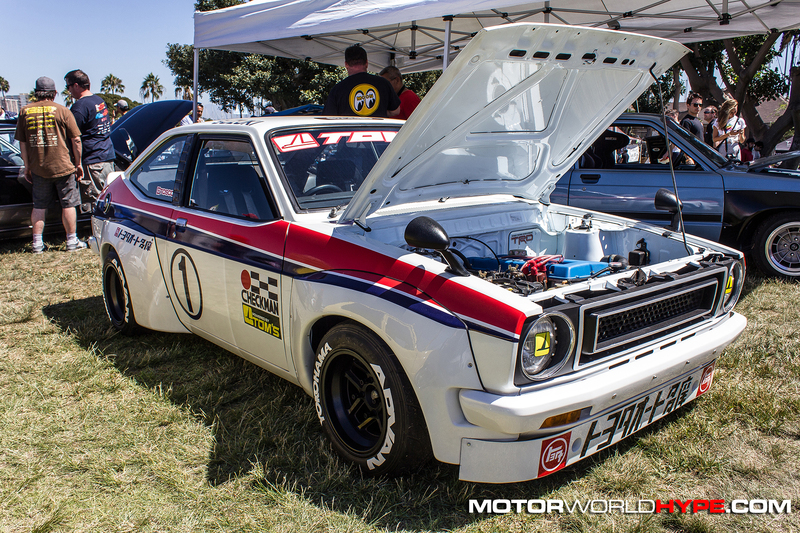 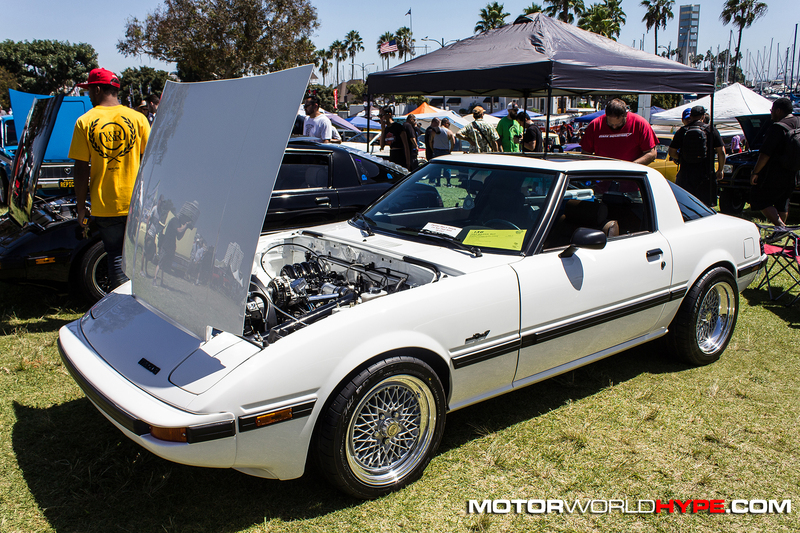 Enter the Japanese Classic Car Show (JCCS). 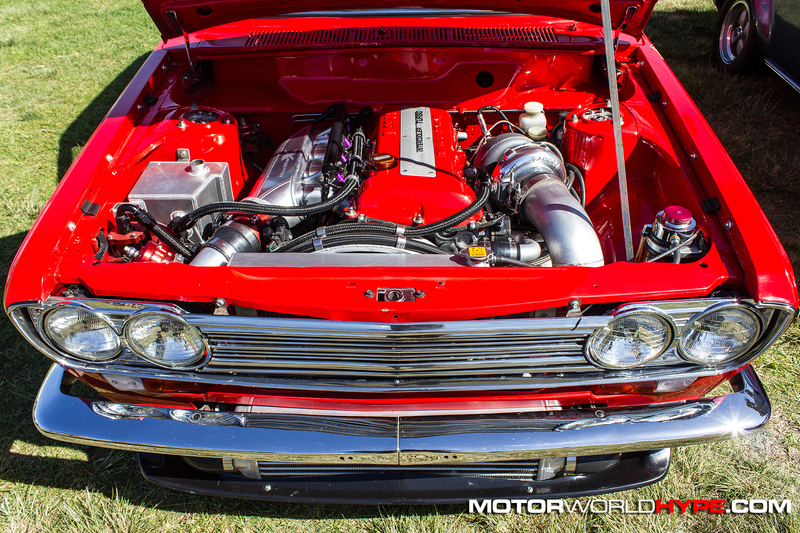 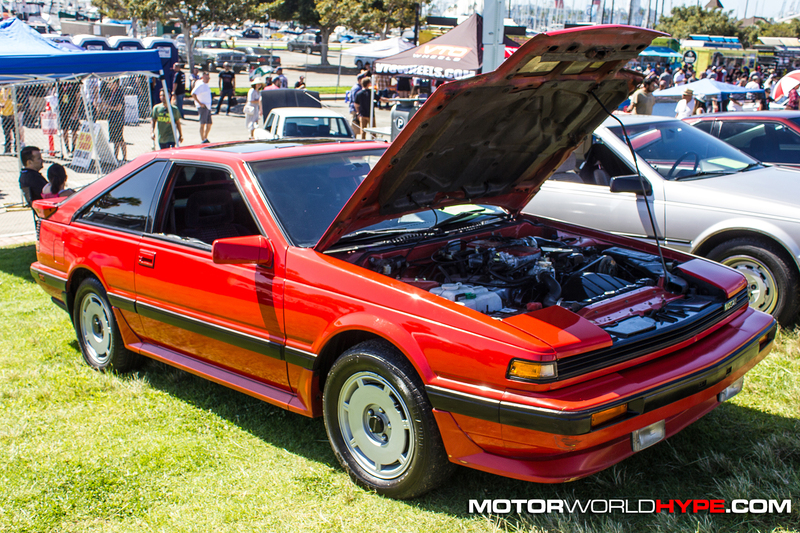 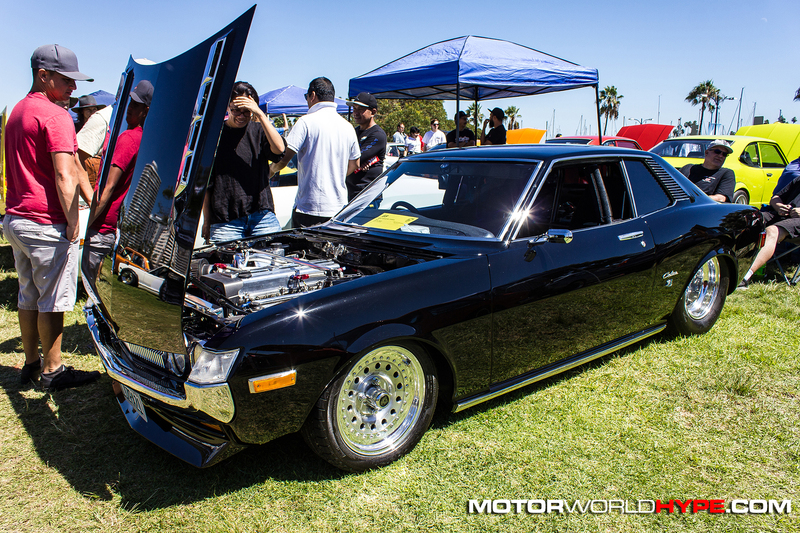 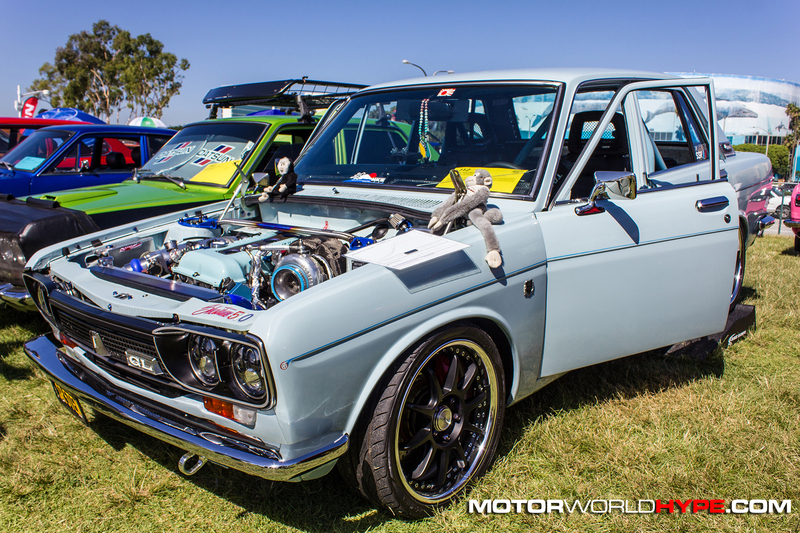 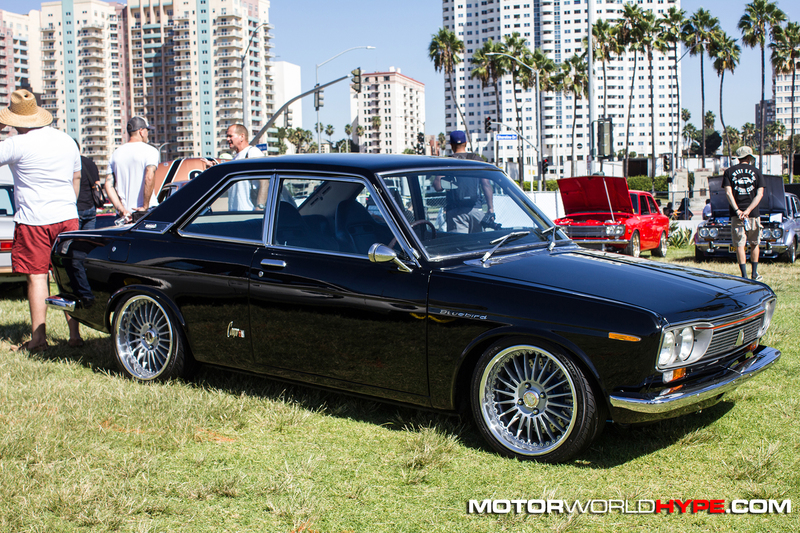 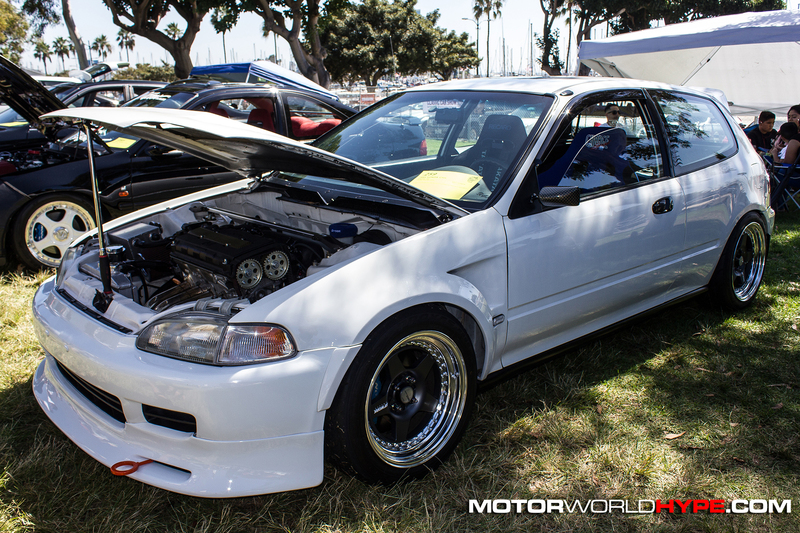 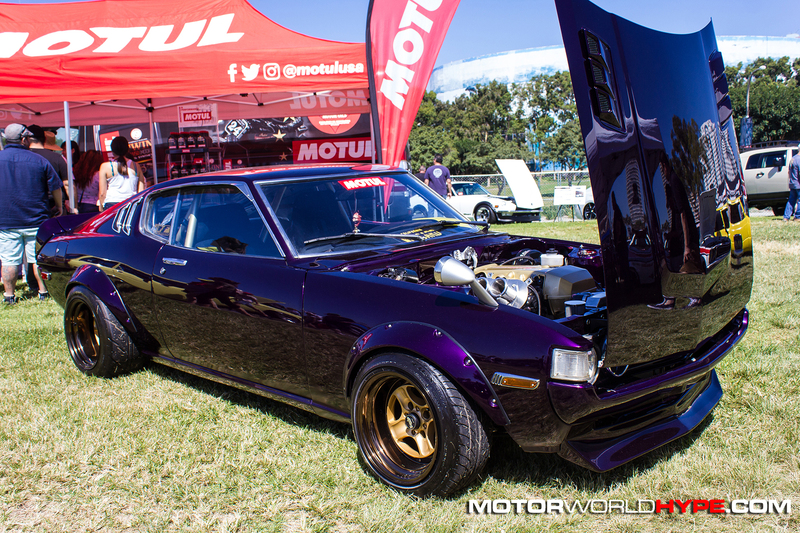 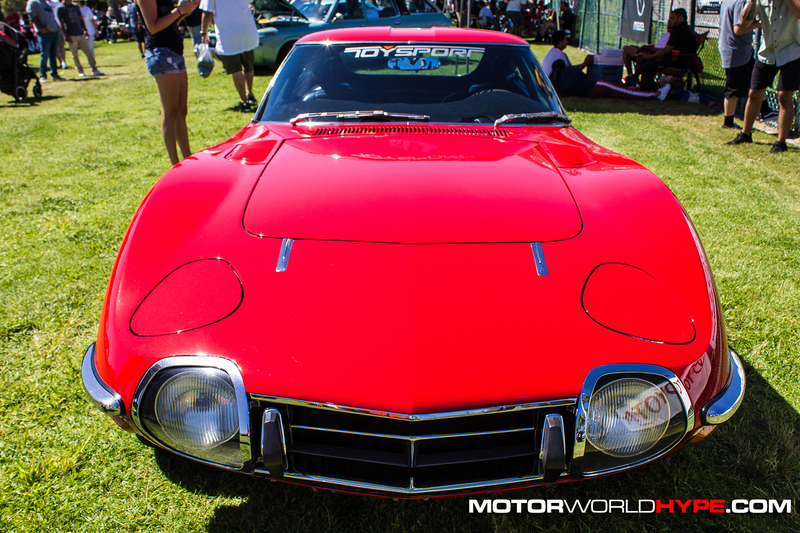 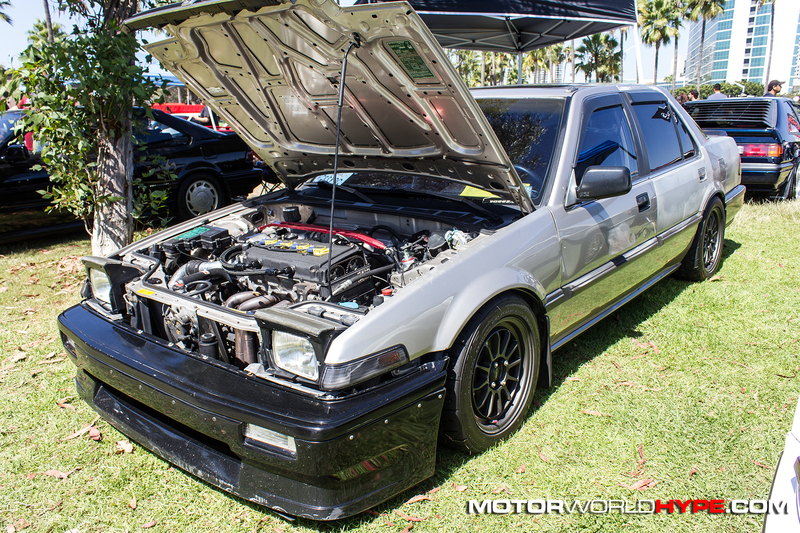 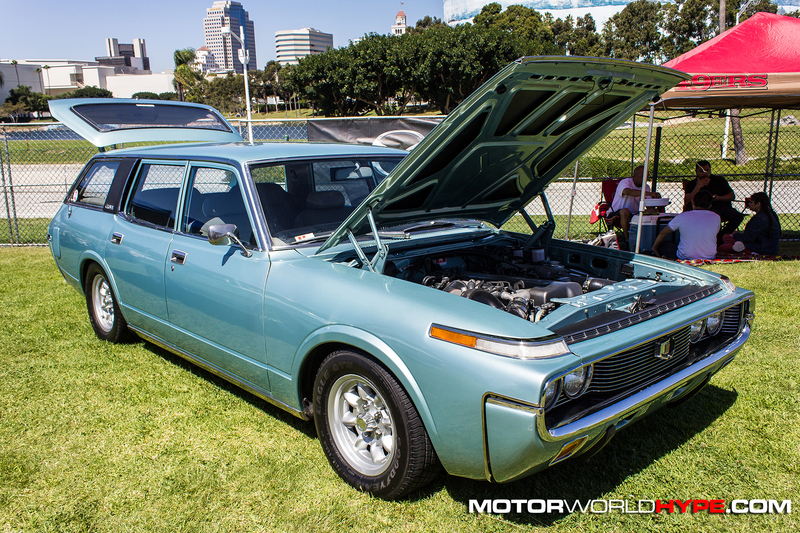 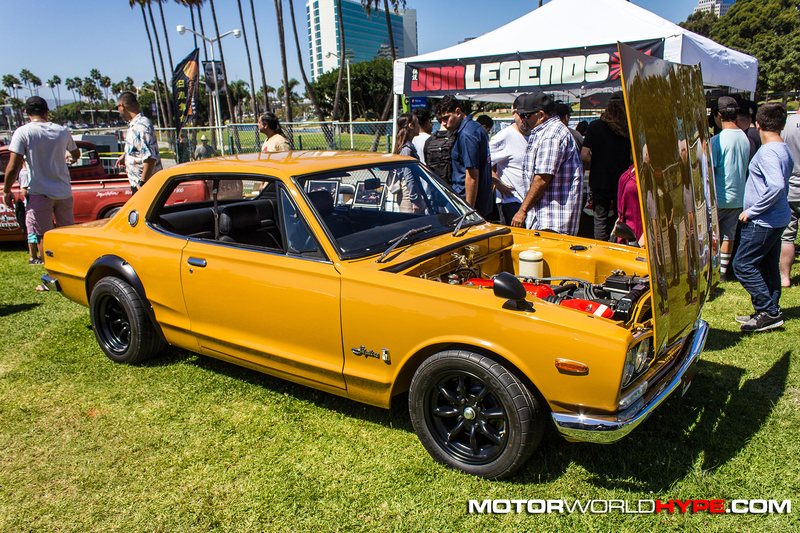 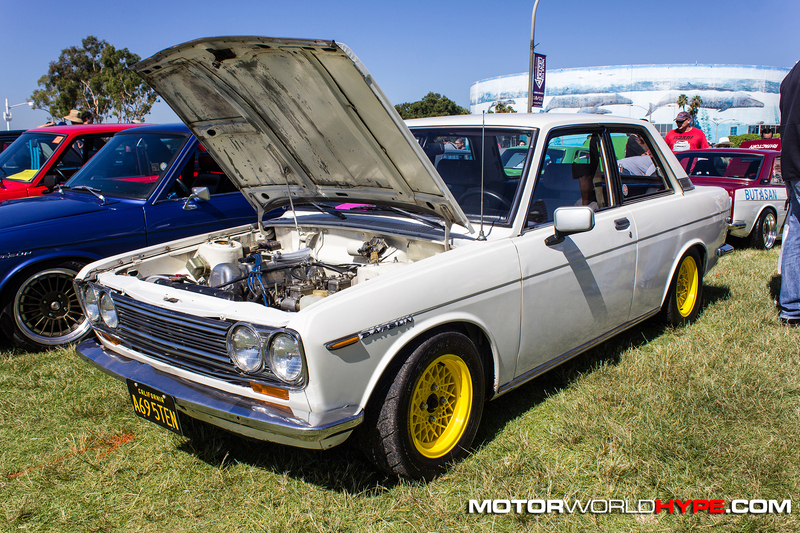 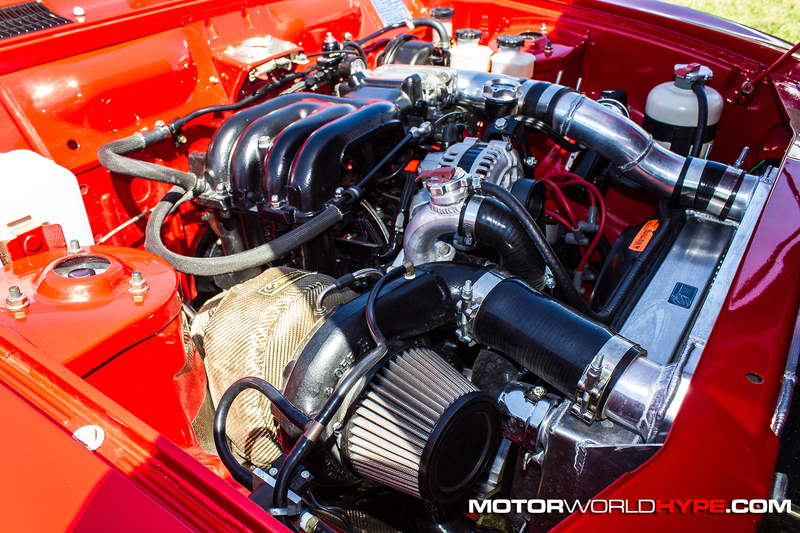 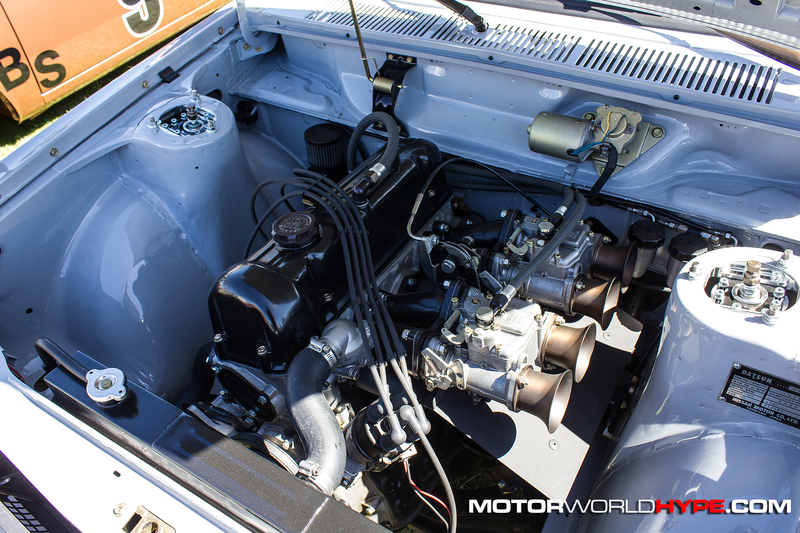 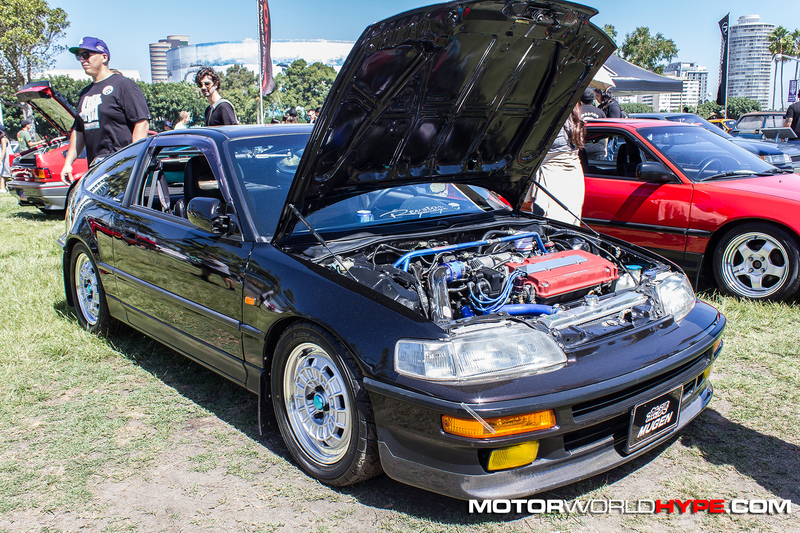 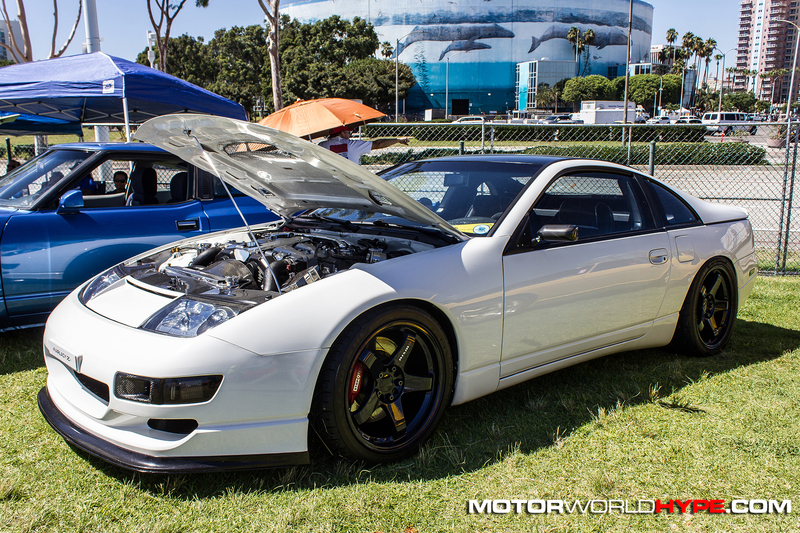 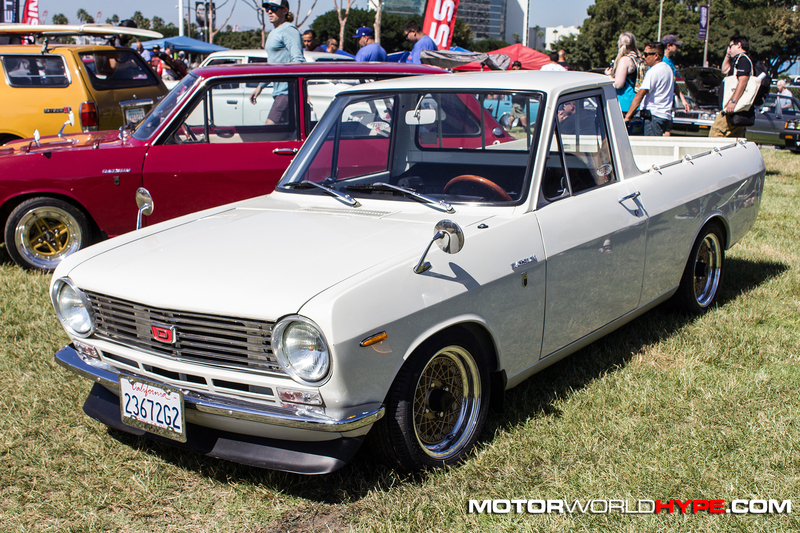 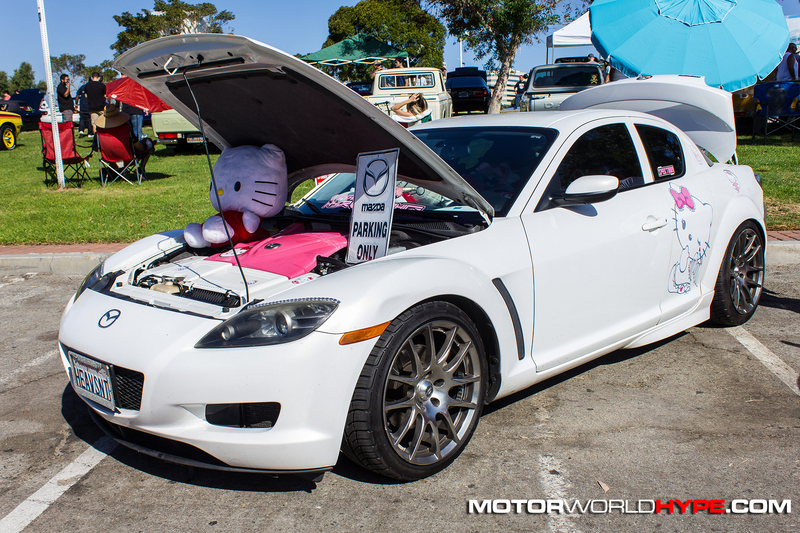 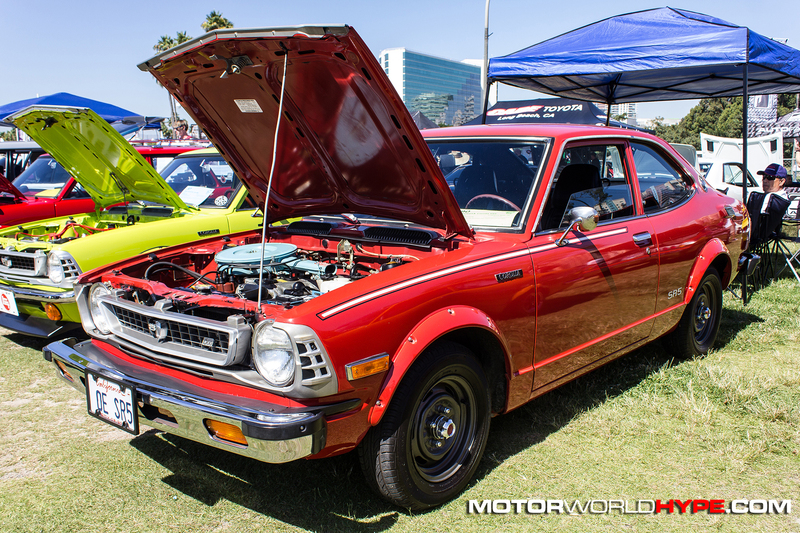 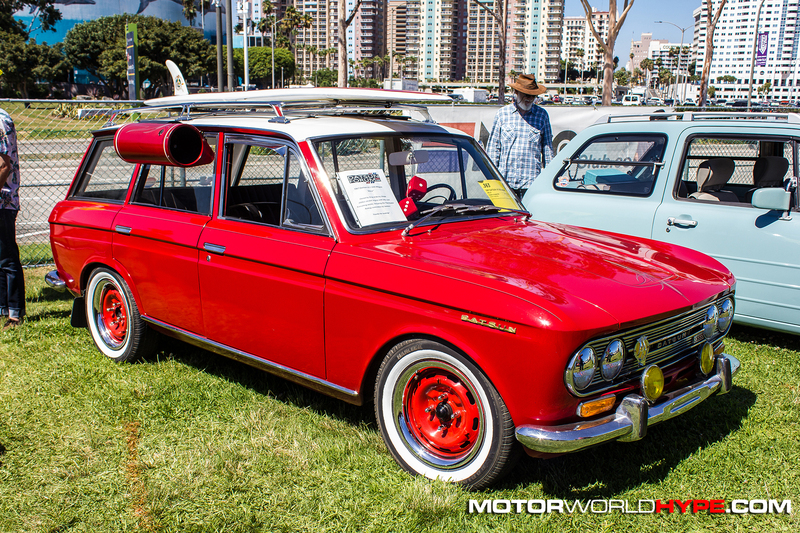 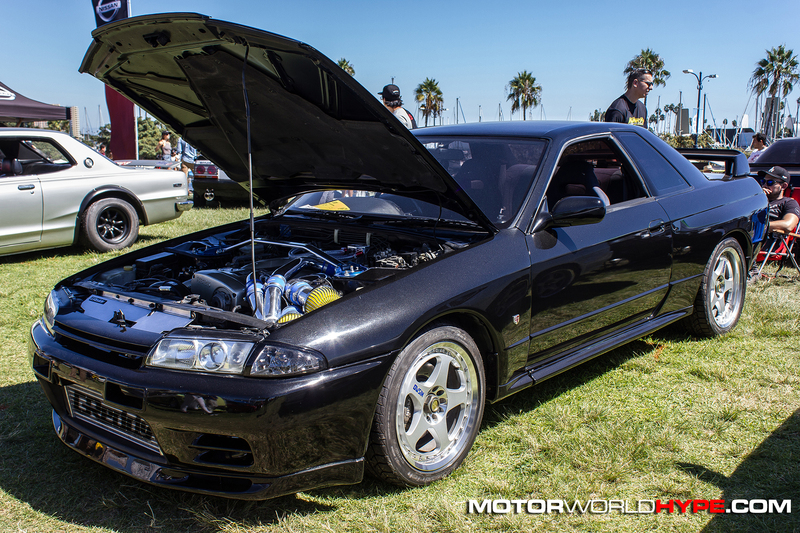 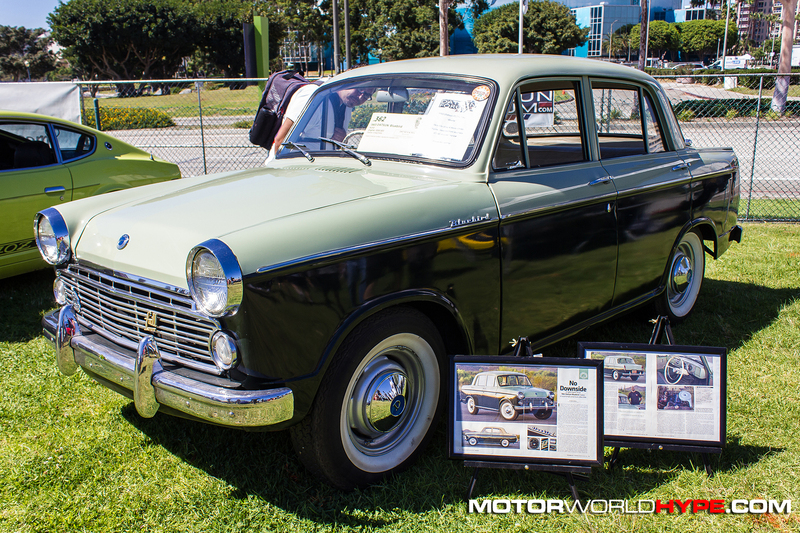 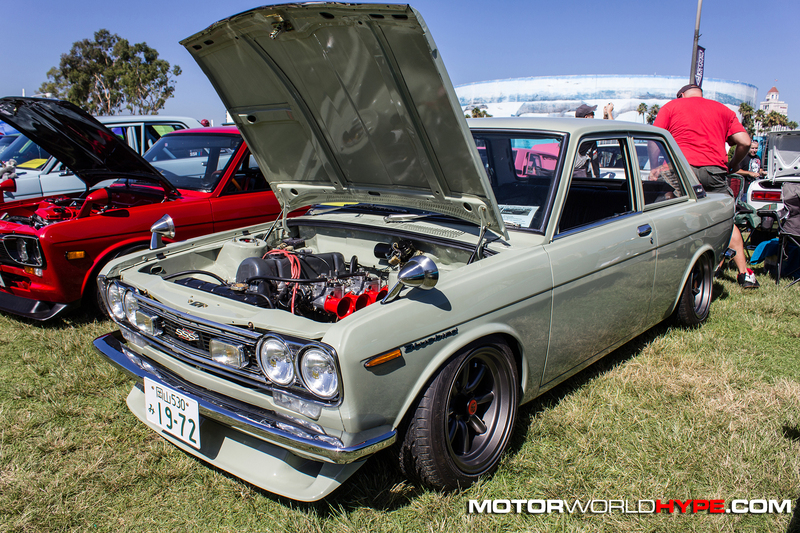 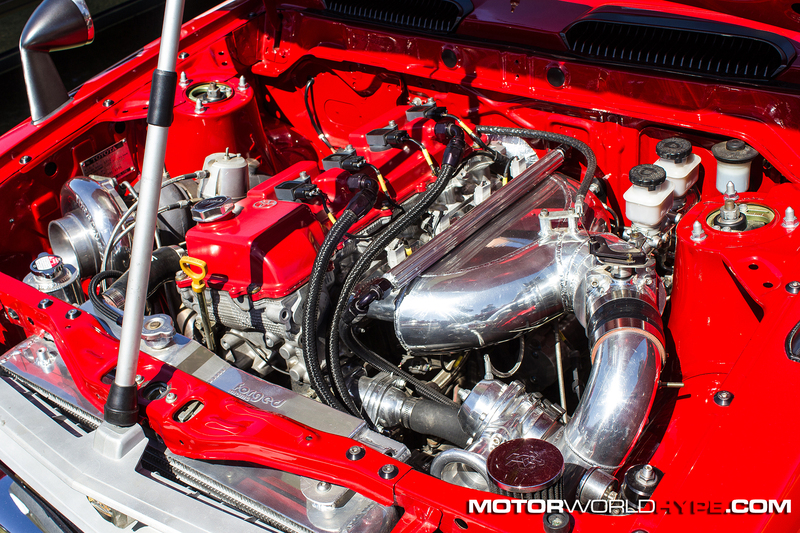 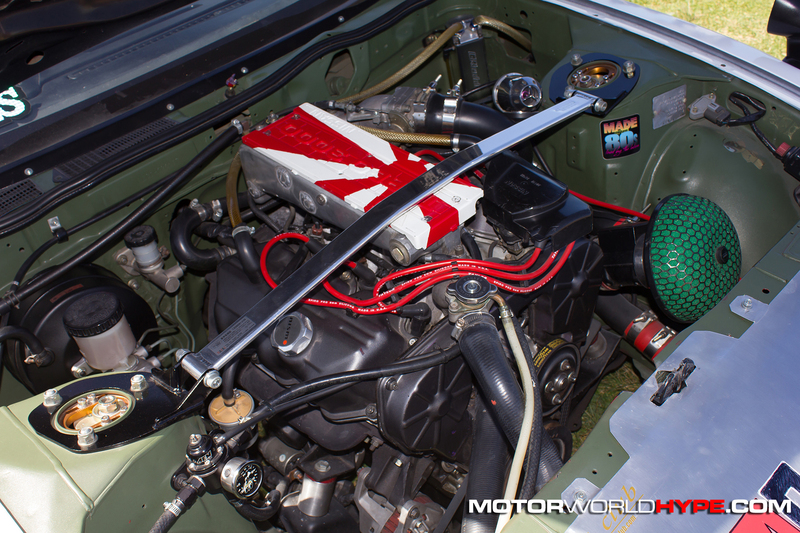 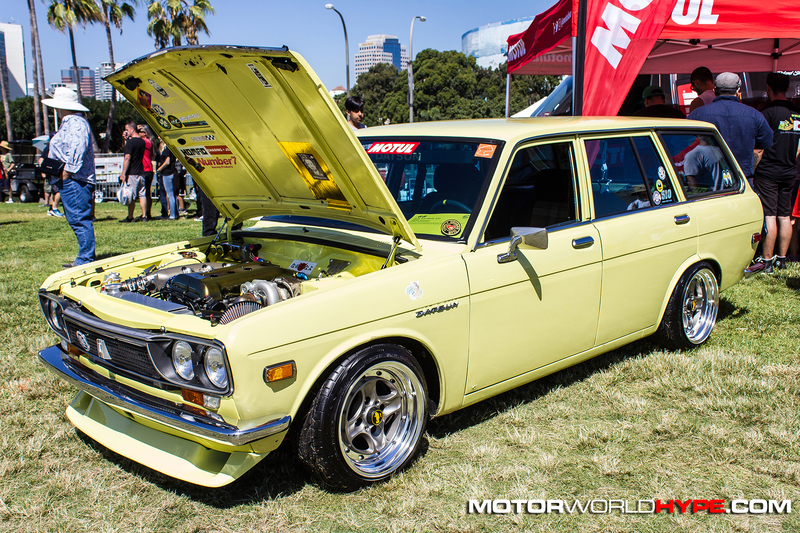 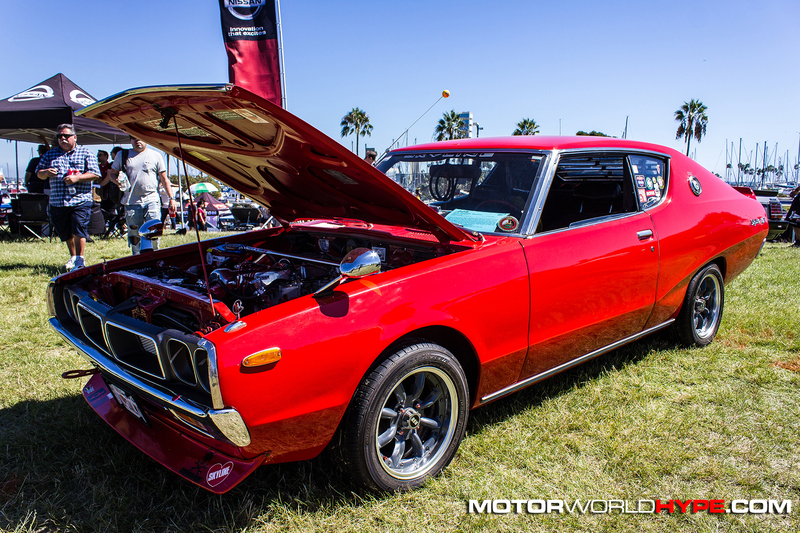 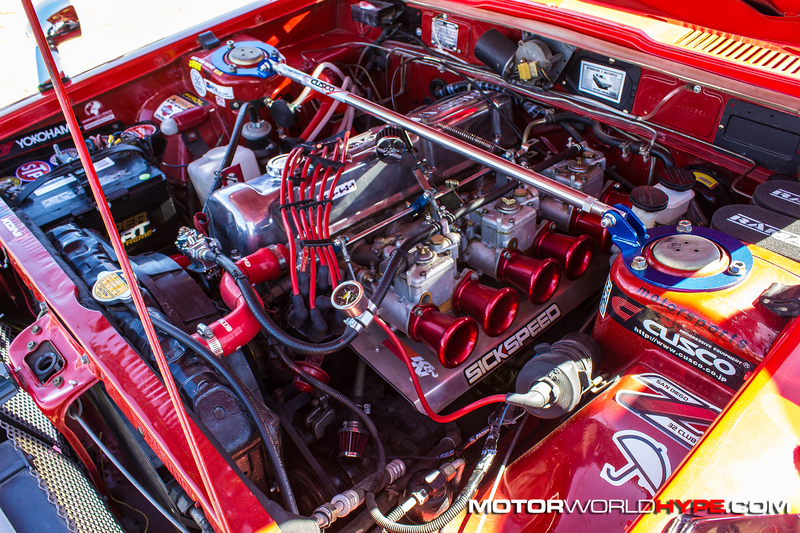 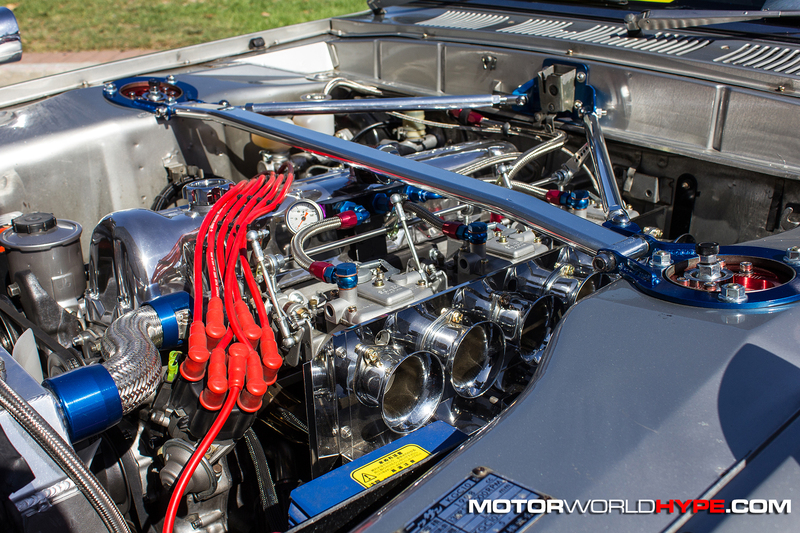 The Japanese Classic Car Show has been a staple show in this area for the last 14 years. 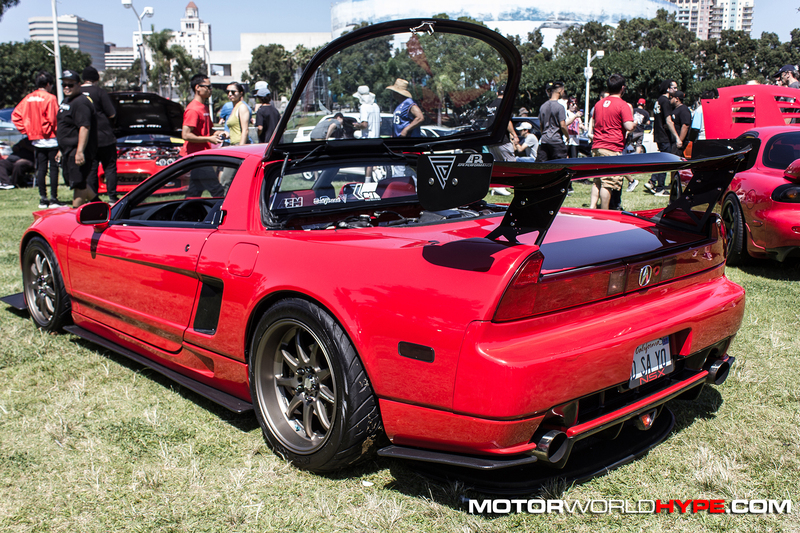 While I admit I missed a few years recently, this year I just really felt the need to go. 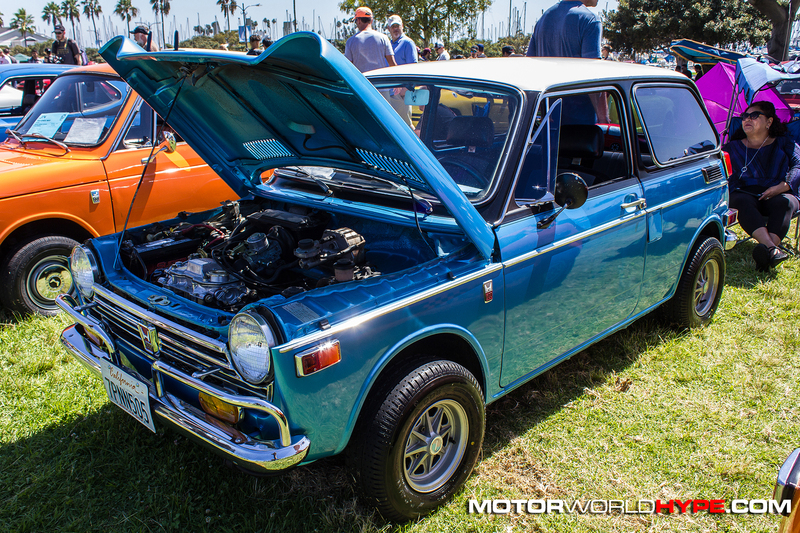 When I showed up I was shocked to see that the normally, sizable but still somewhat compact show had seemingly doubled in size. 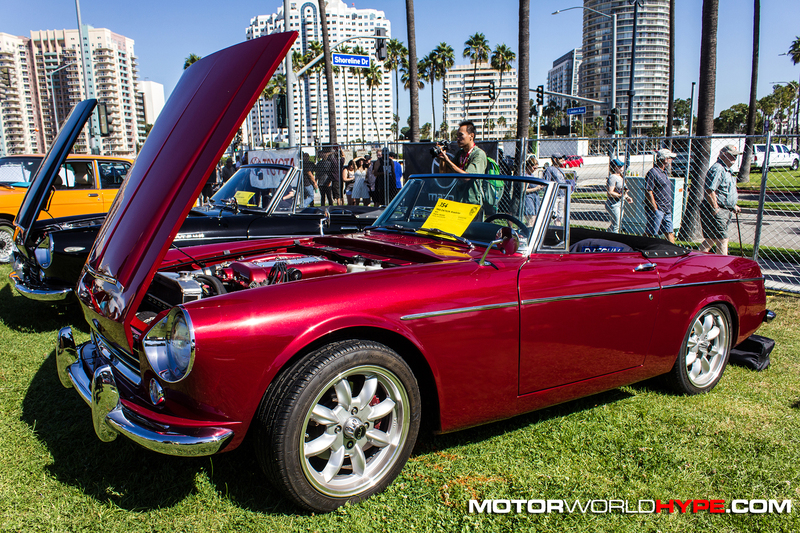 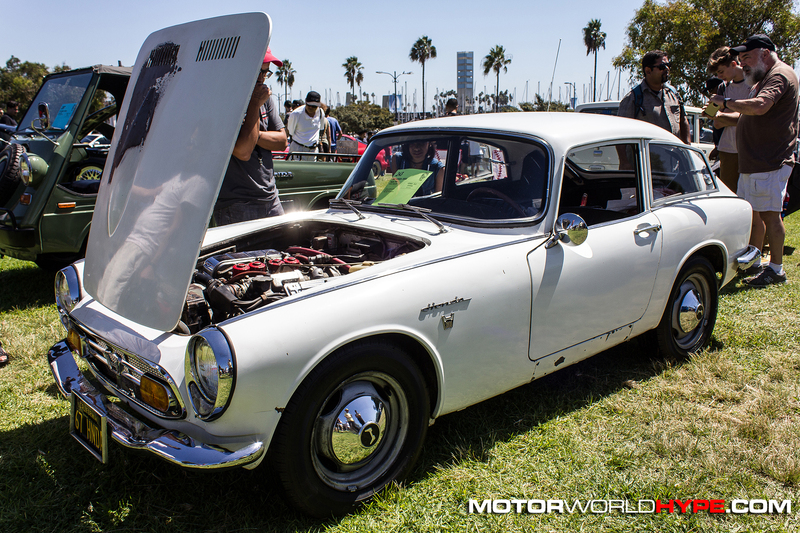 There were so many cars this year that the venue had to be changed from the Queen Mary Events park to a nearly 1/4 (or longer) strip of park grounds right along Shoreline Drive. 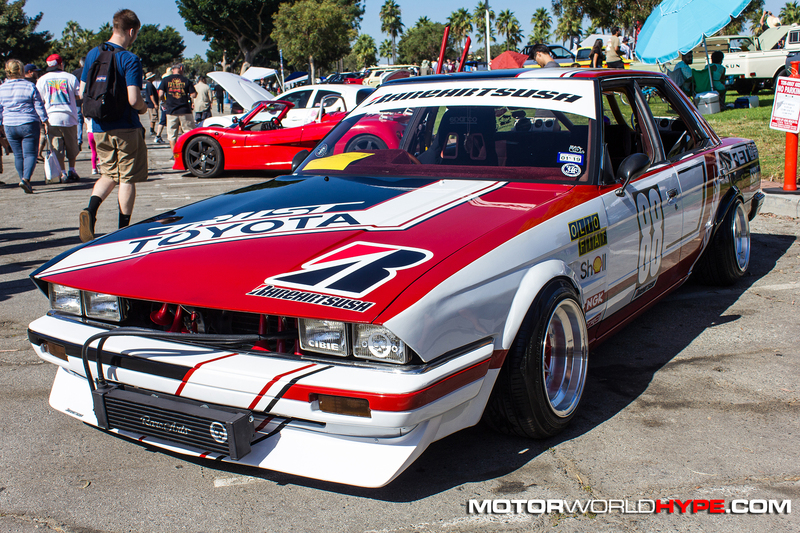 Fun fact: Shoreline drive is used as the front straight in the Long Beach Grand Prix course. 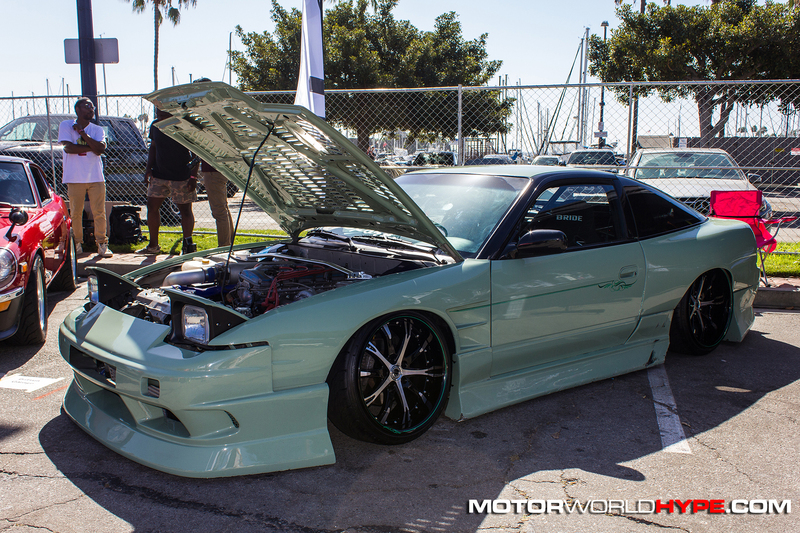 Why was the show so much bigger this year? 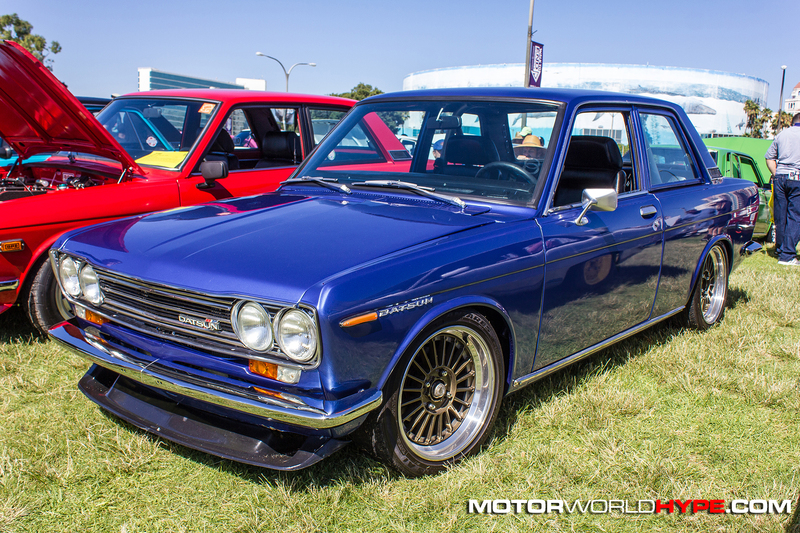 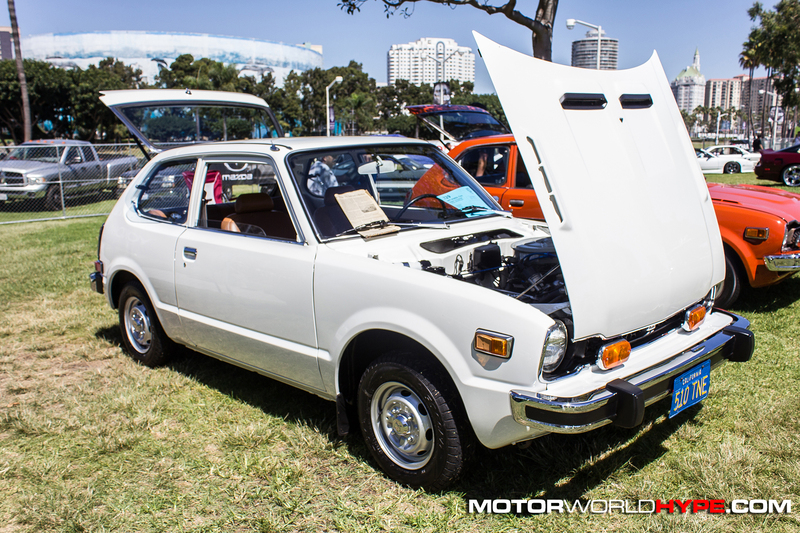 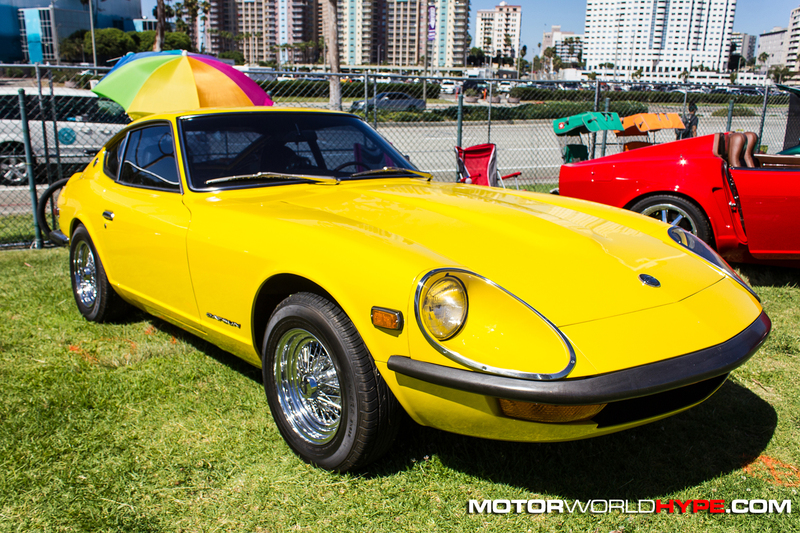 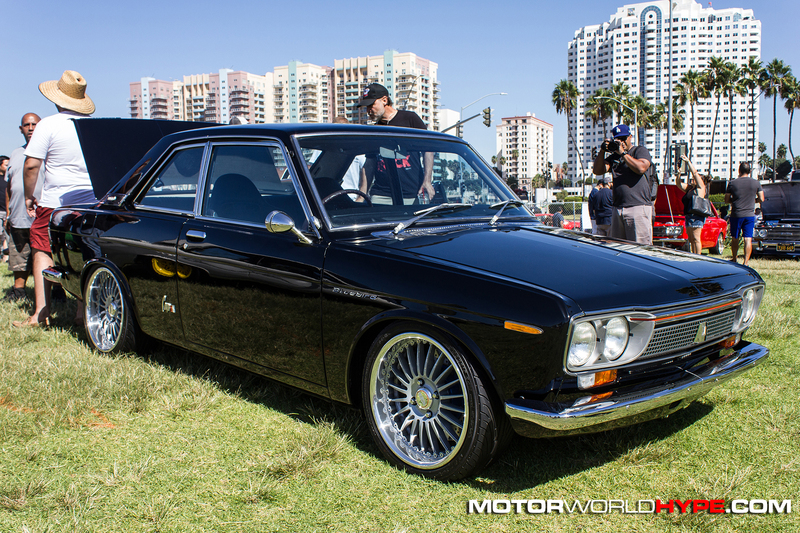 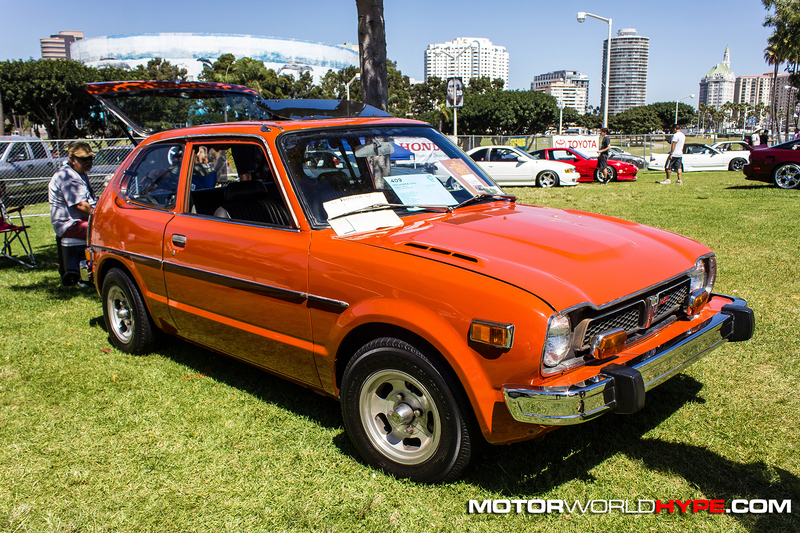 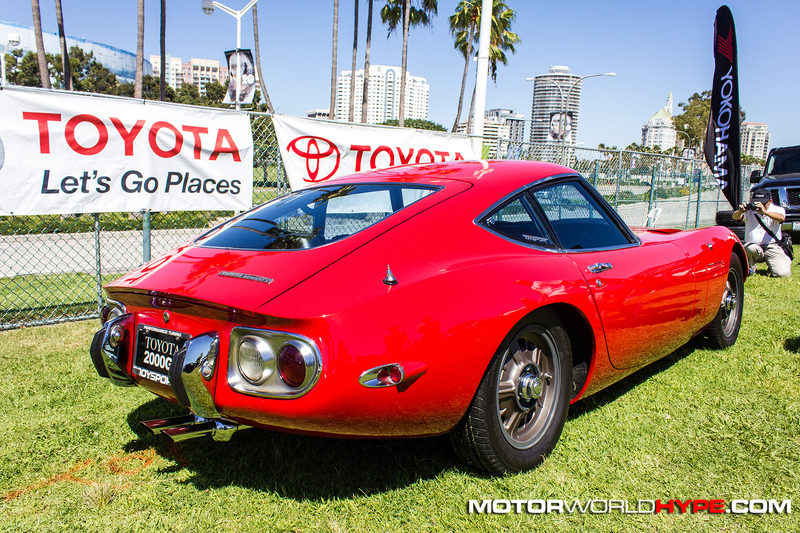 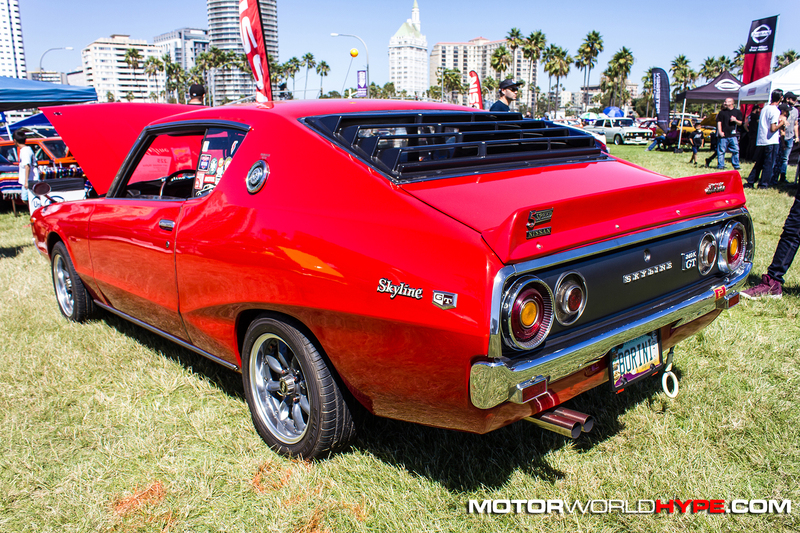 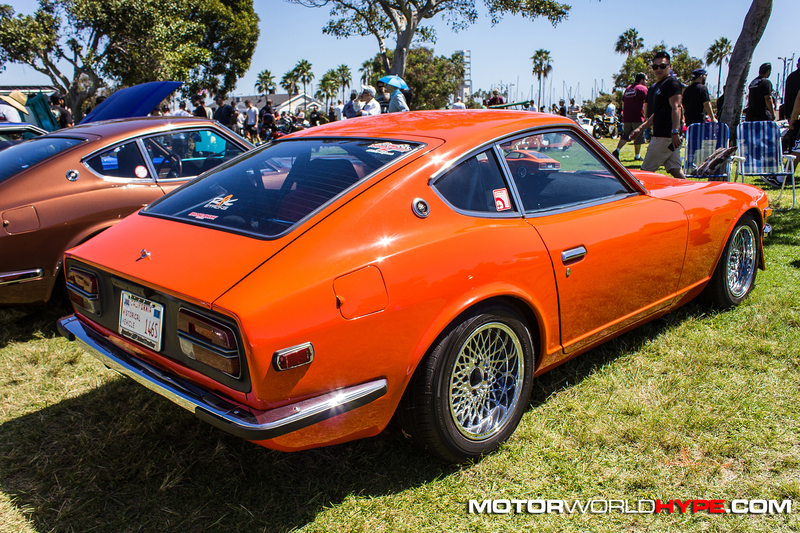 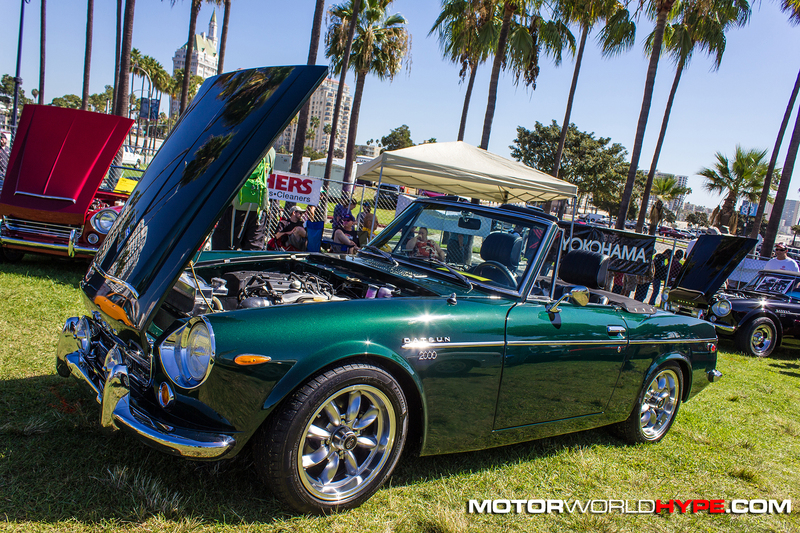 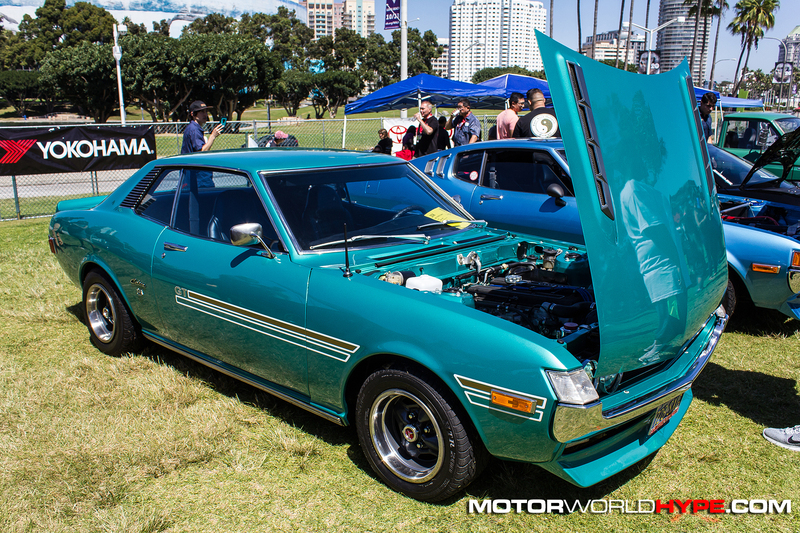 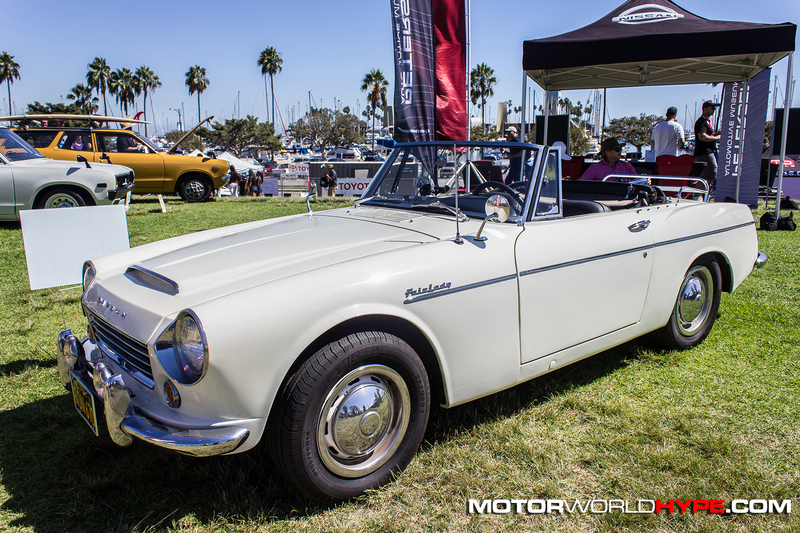 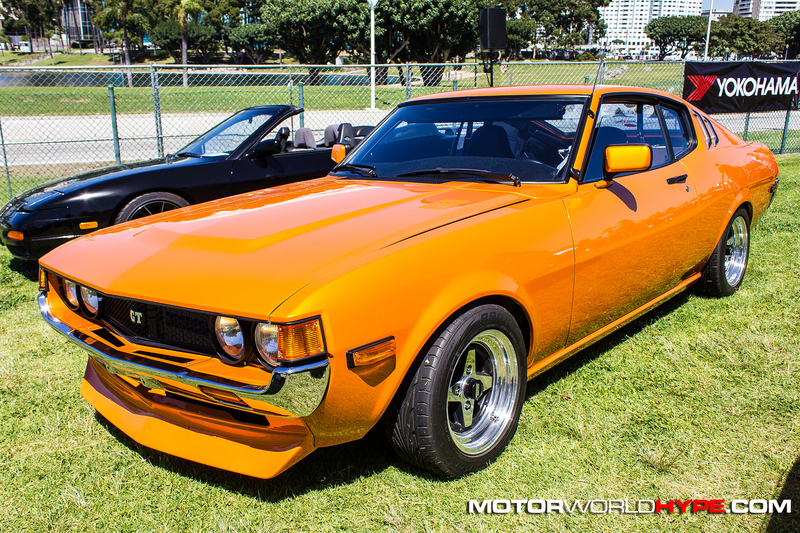 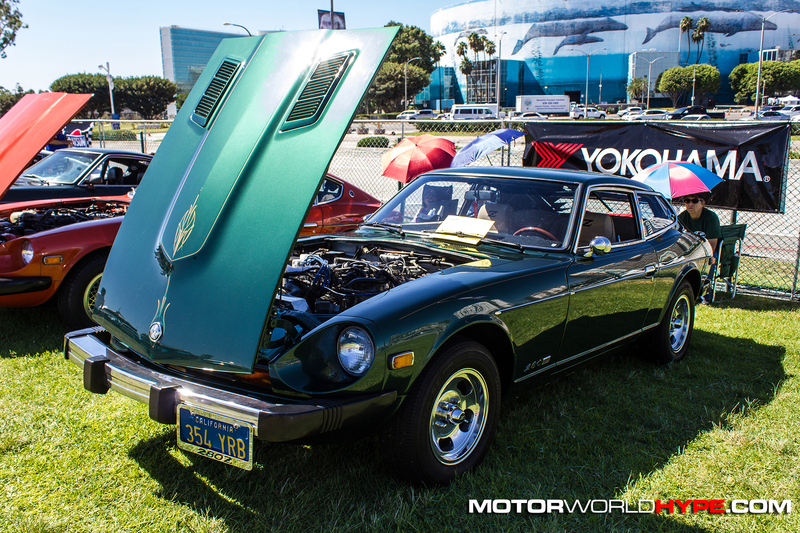 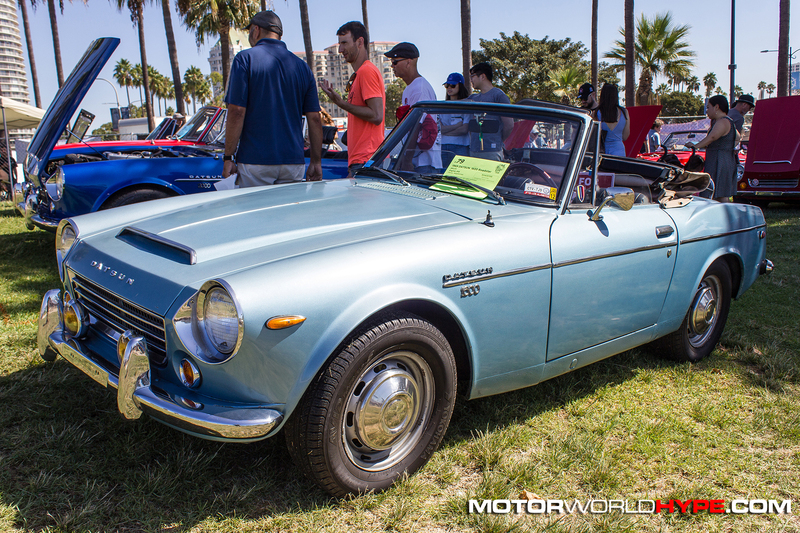 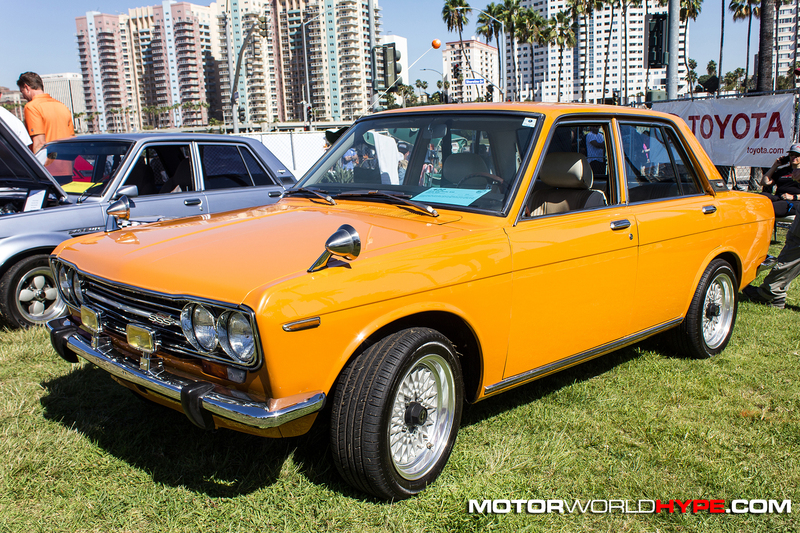 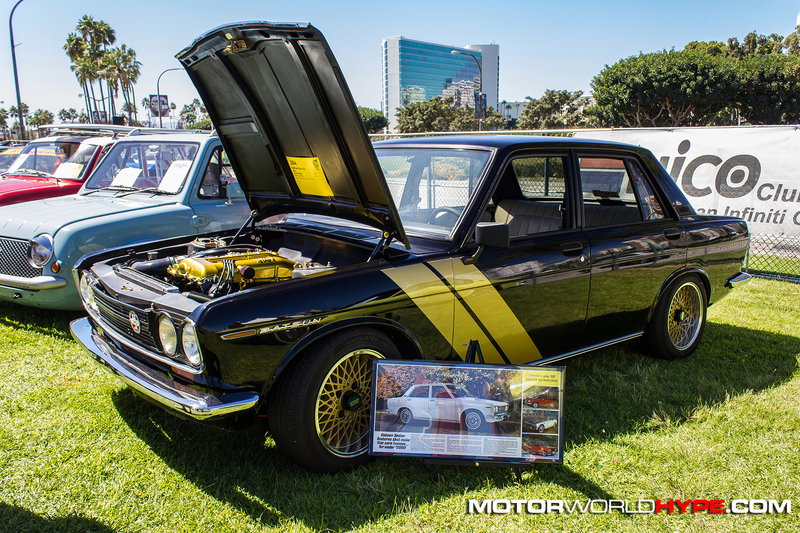 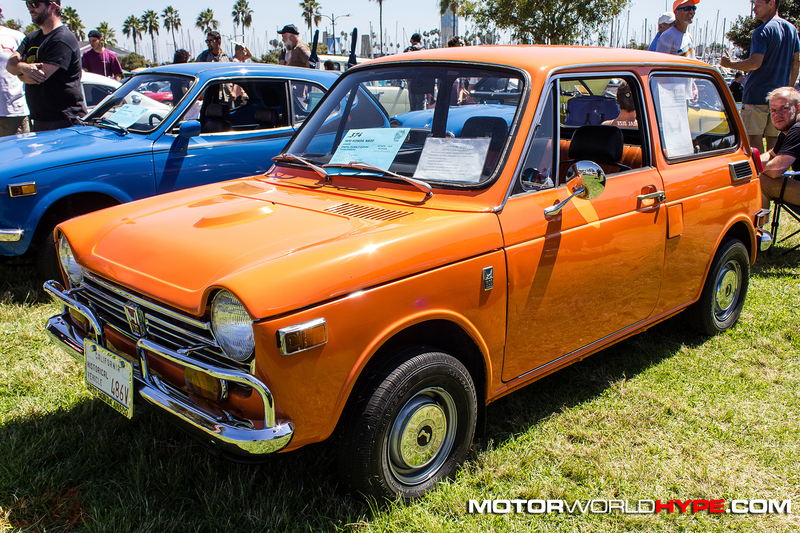 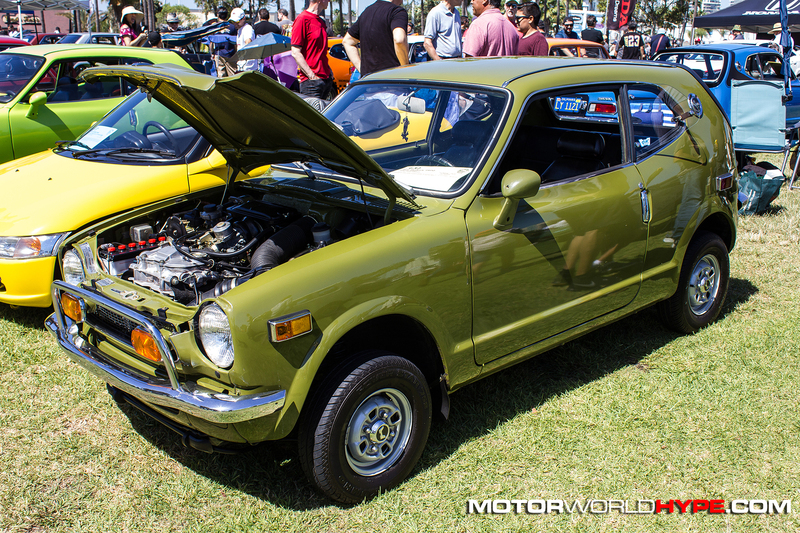 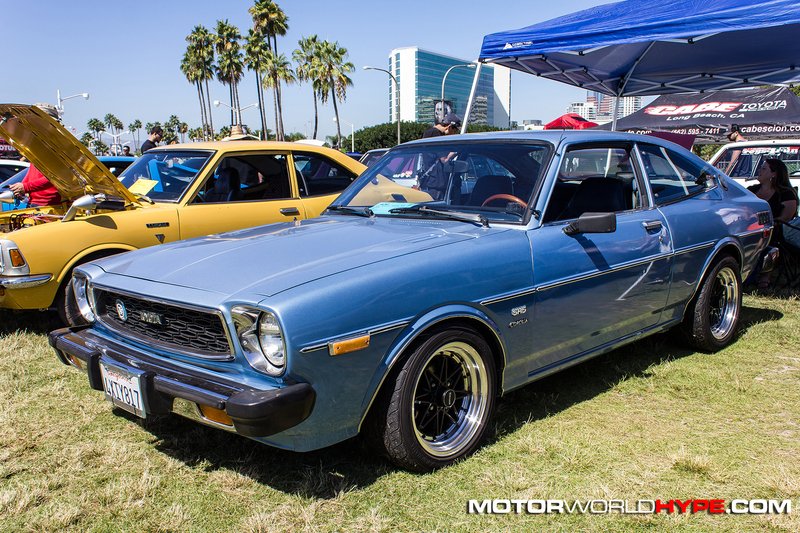 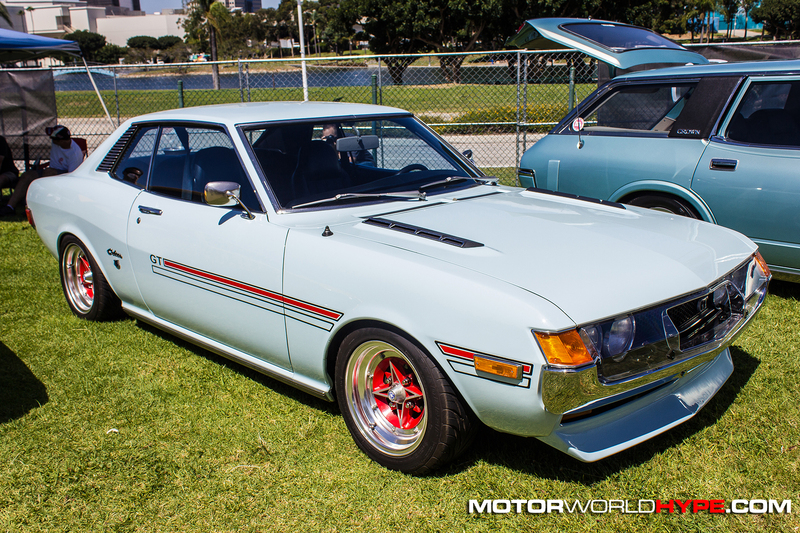 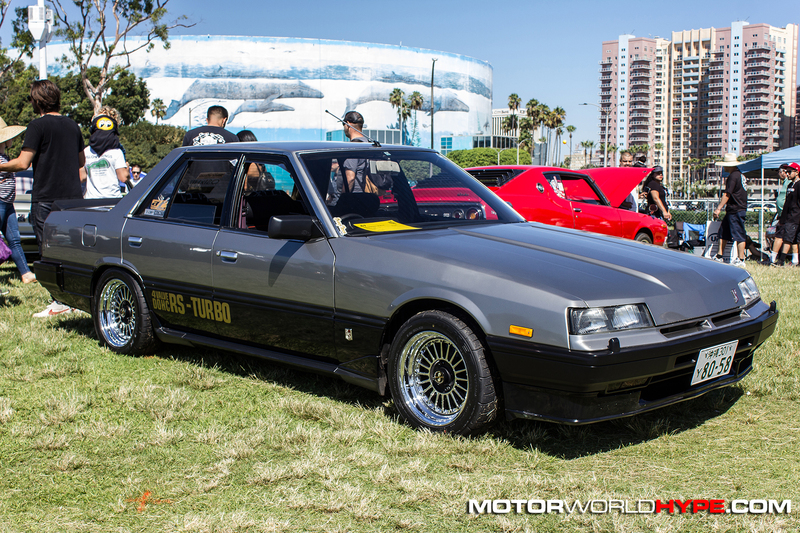 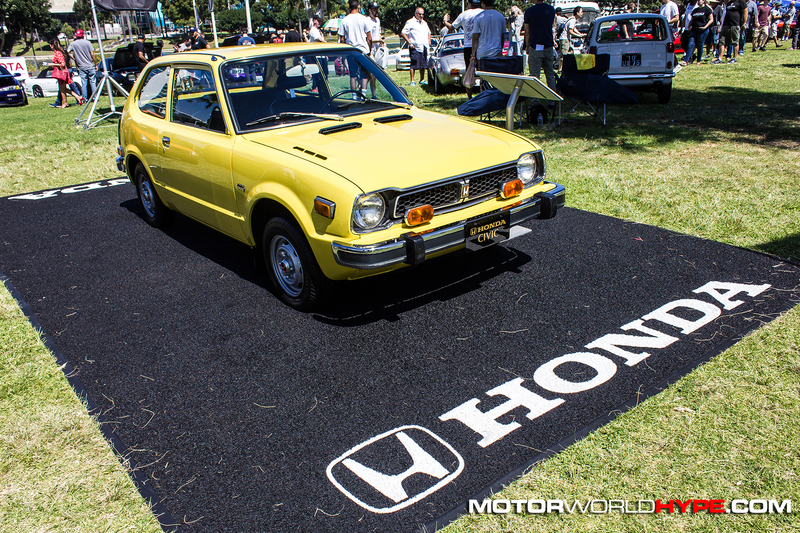 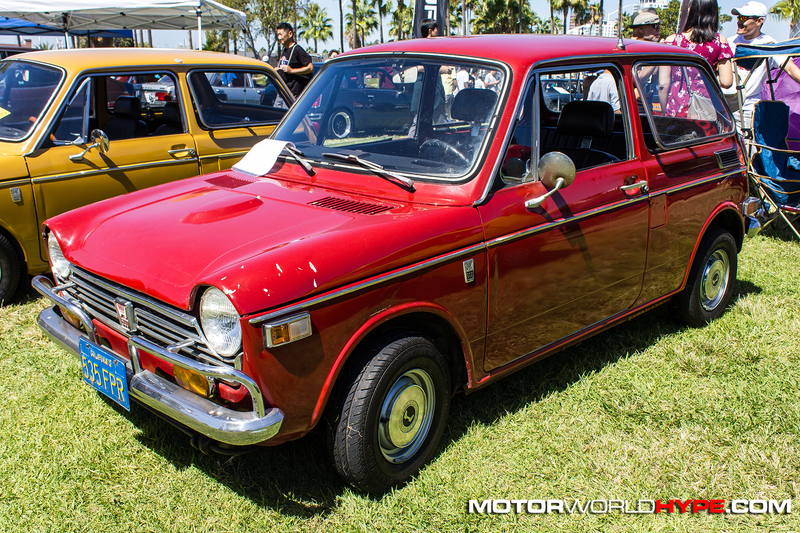 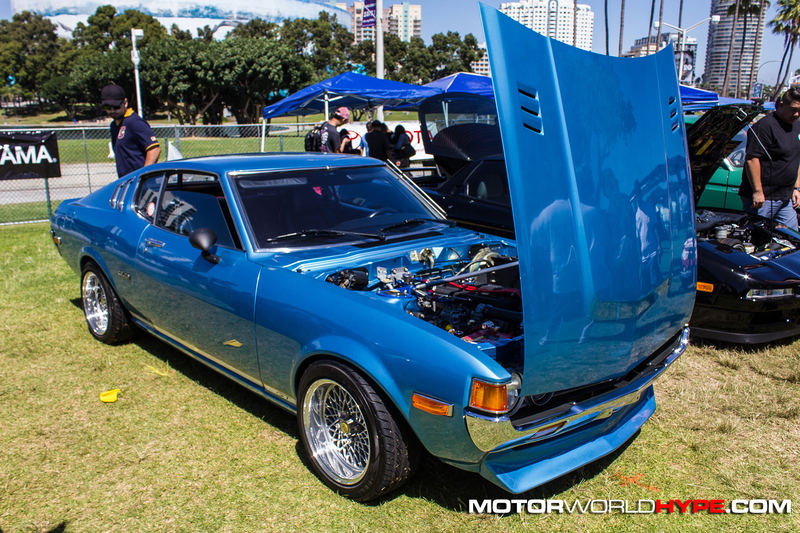 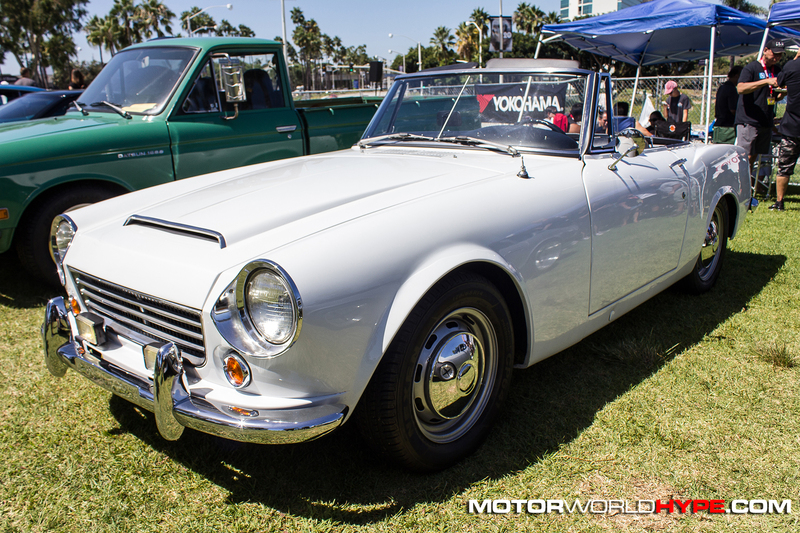 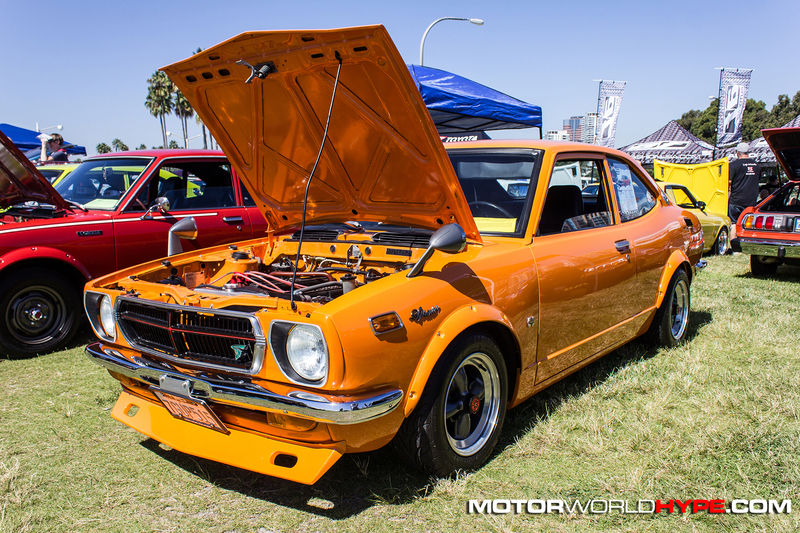 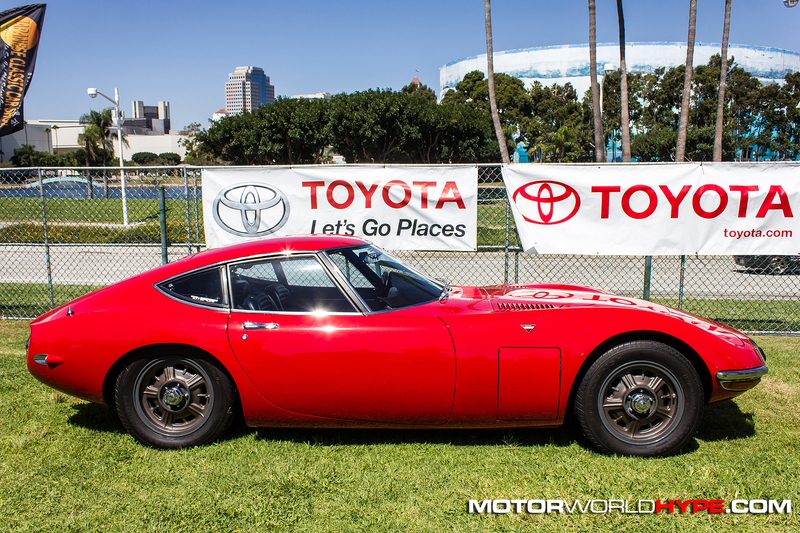 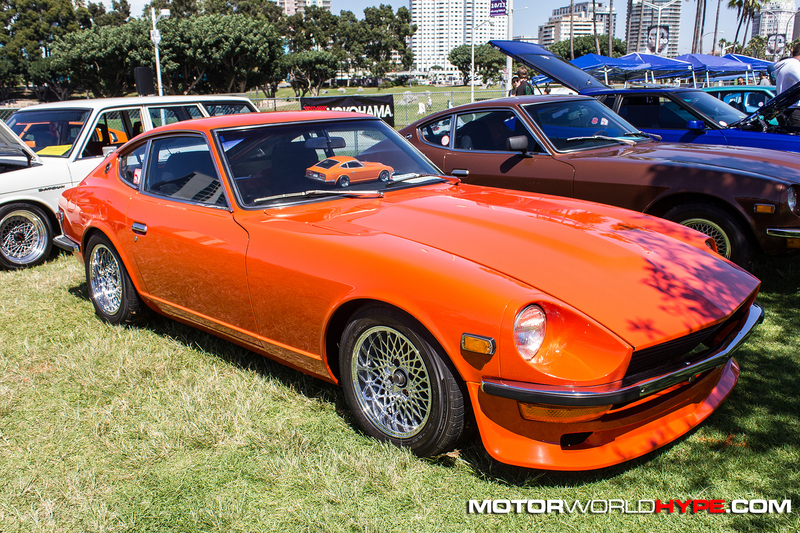 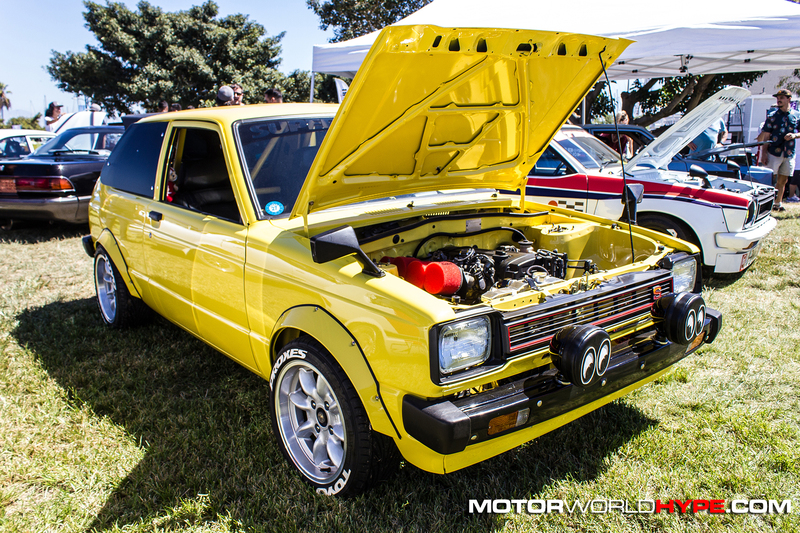 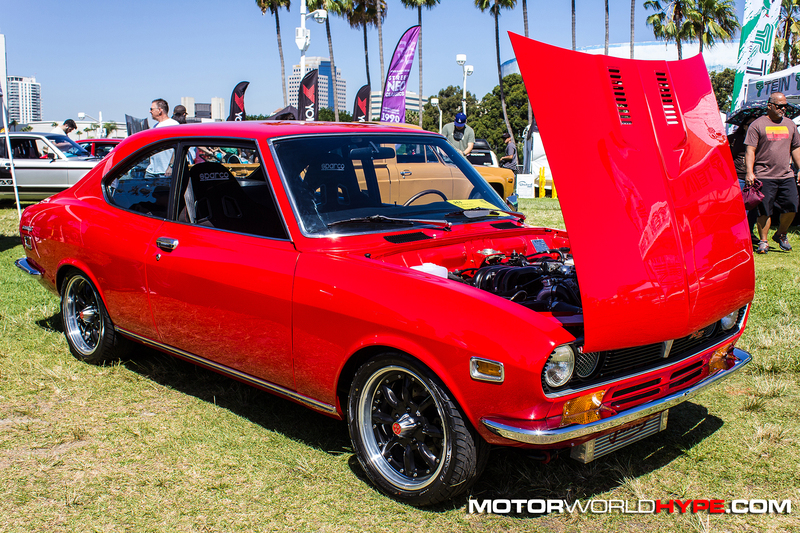 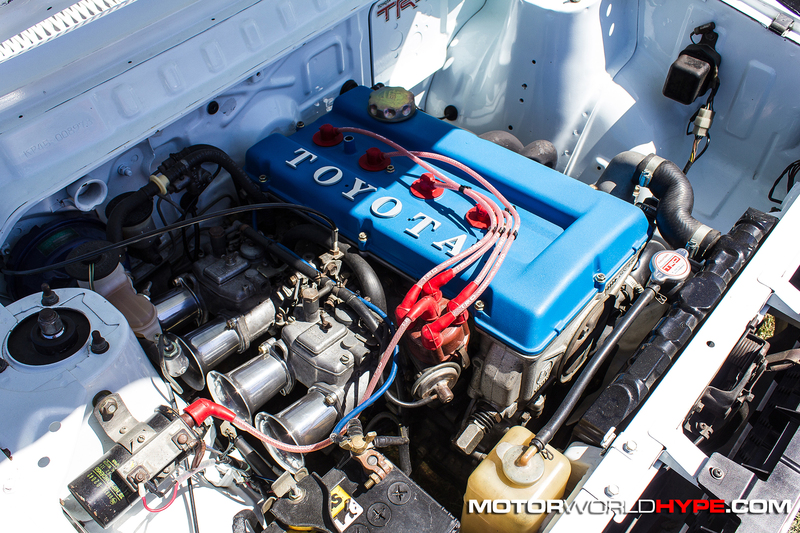 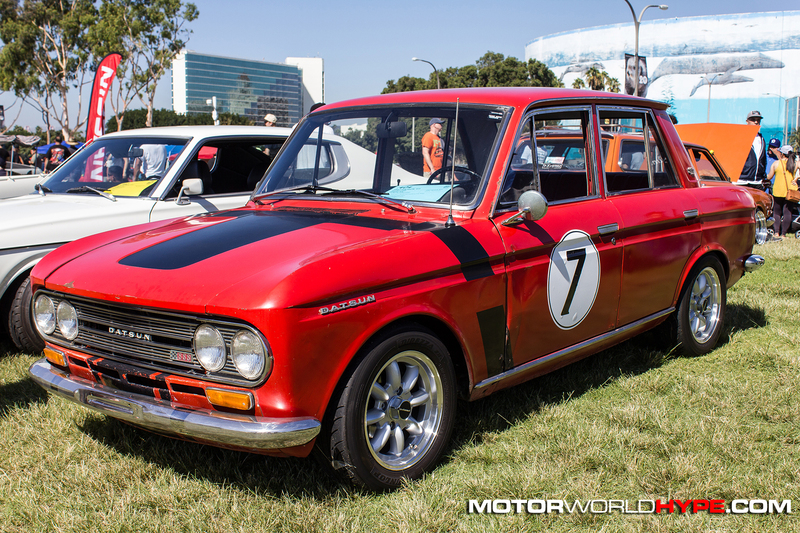 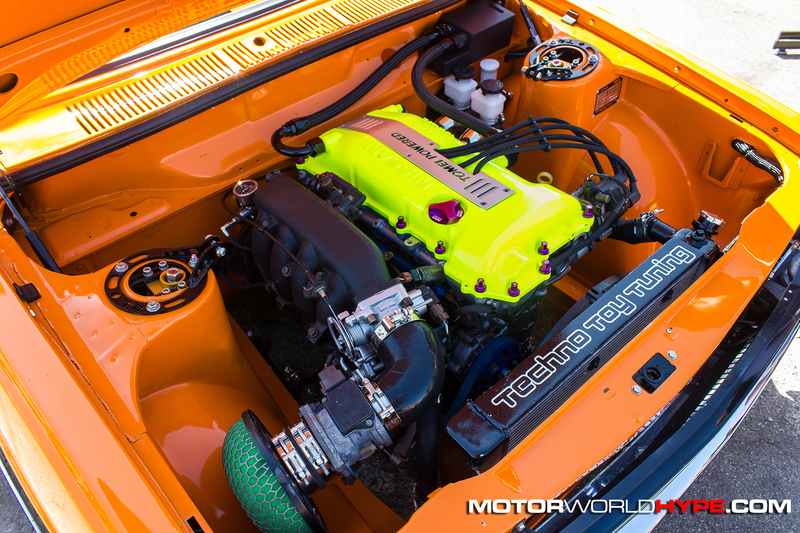 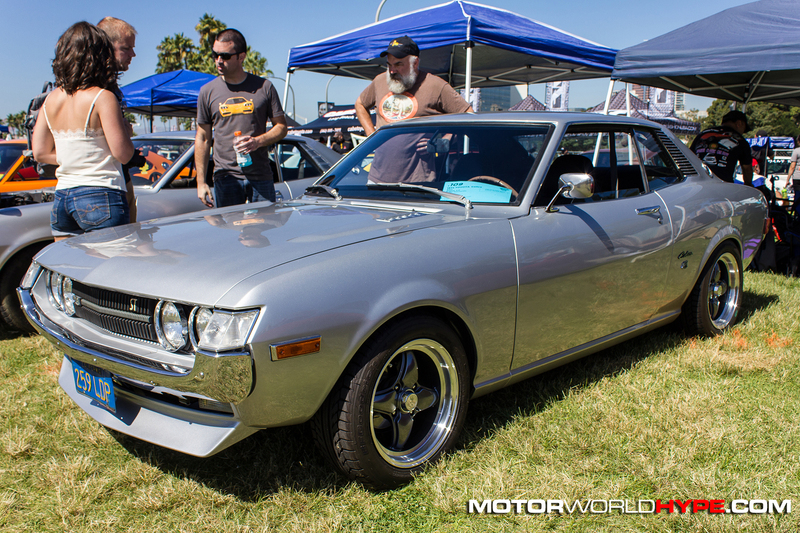 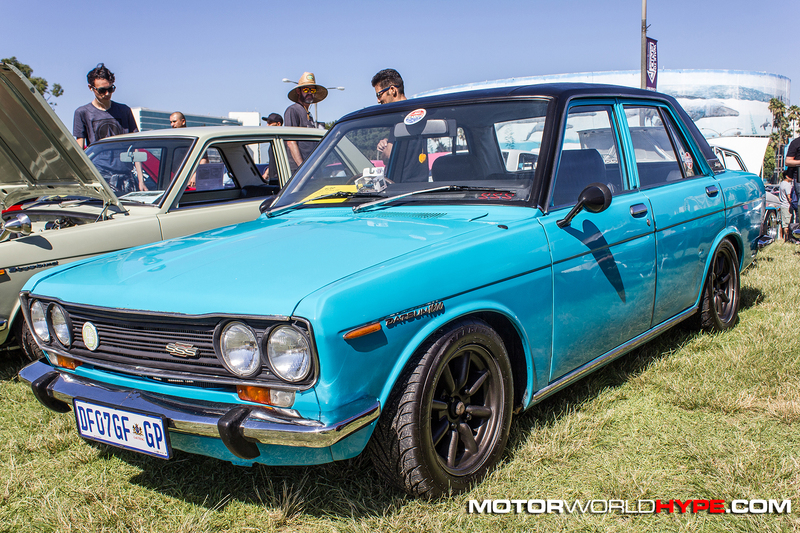 Well as you may have guessed from the name, the Japanese Classic Car Show is dedicated to well “classic” cars. 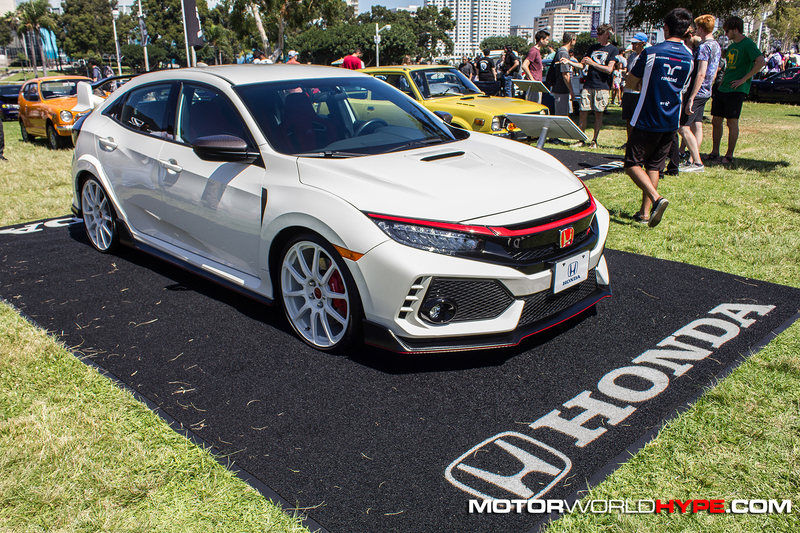 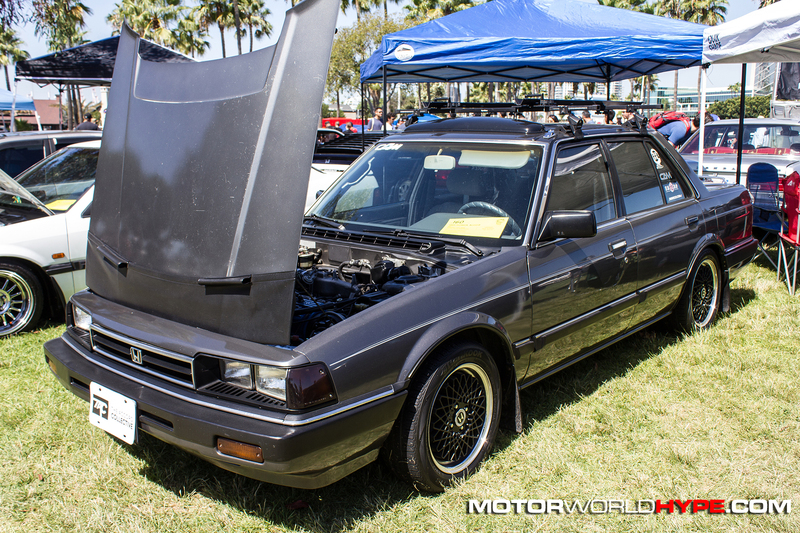 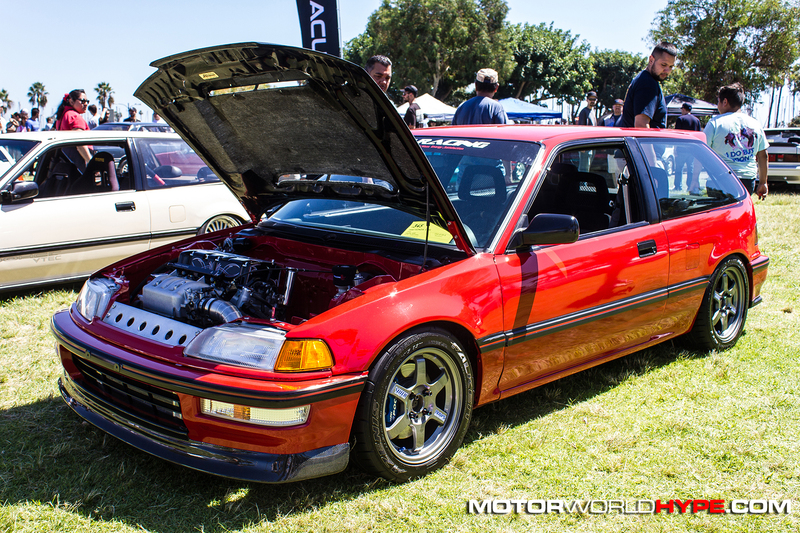 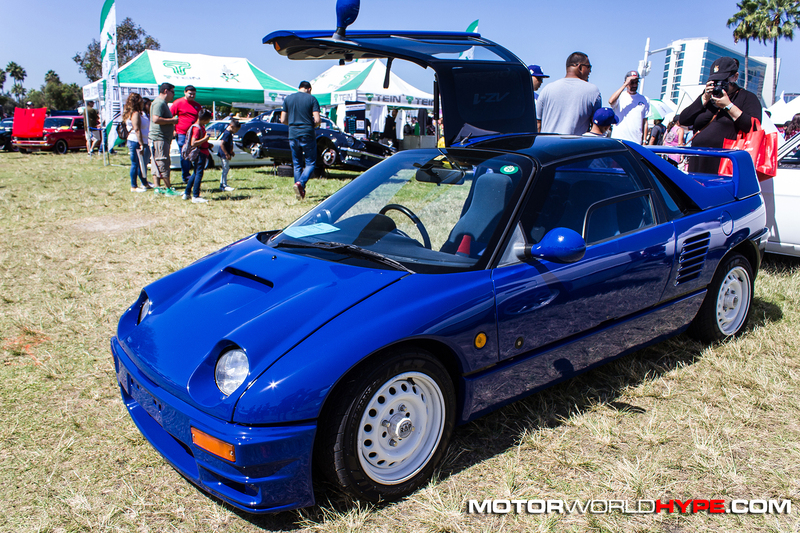 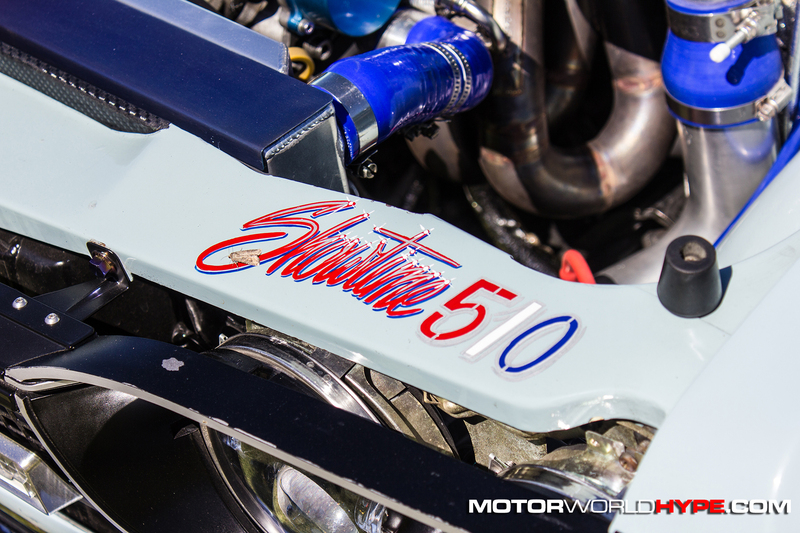 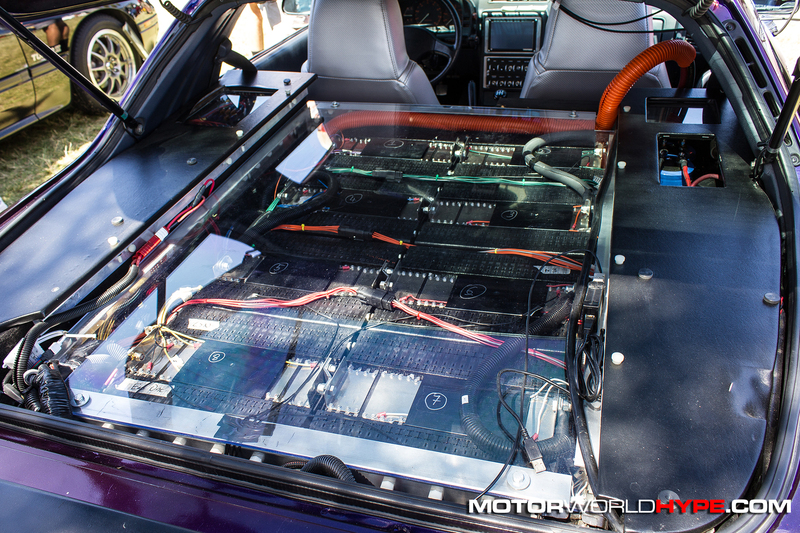 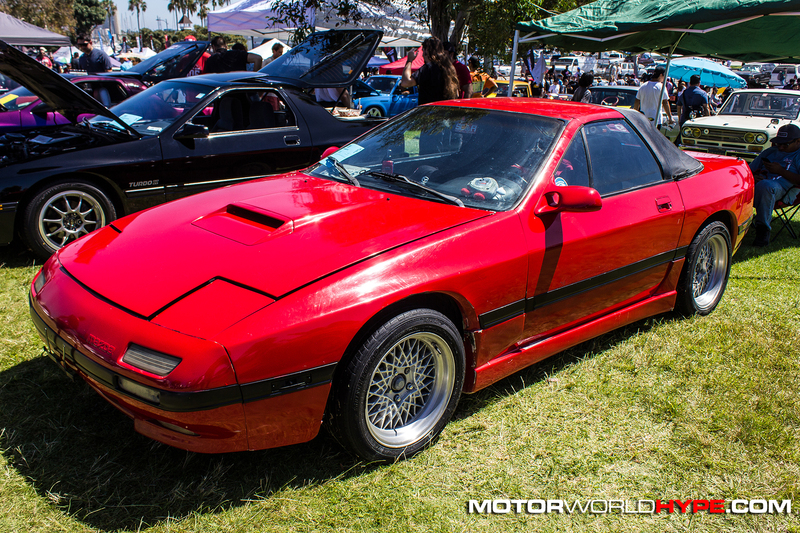 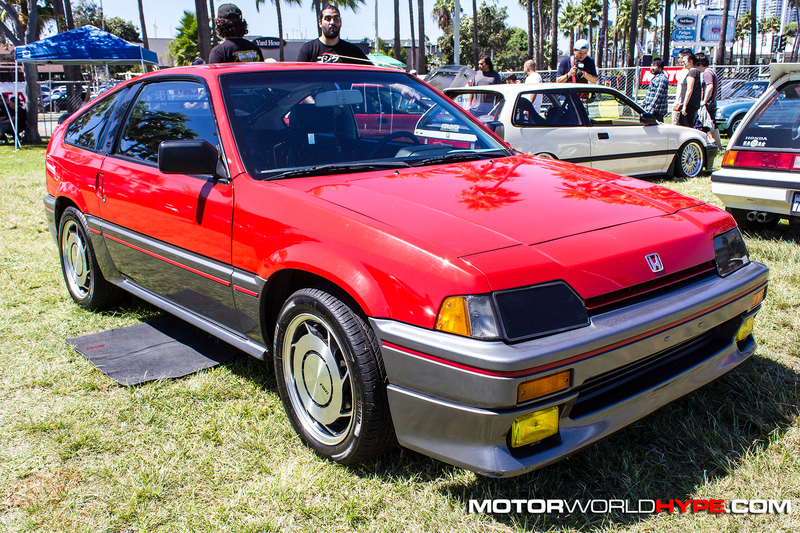 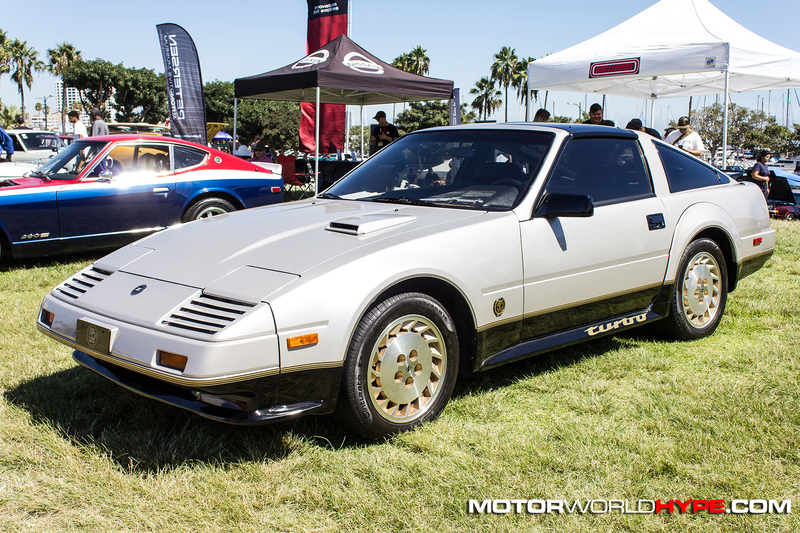 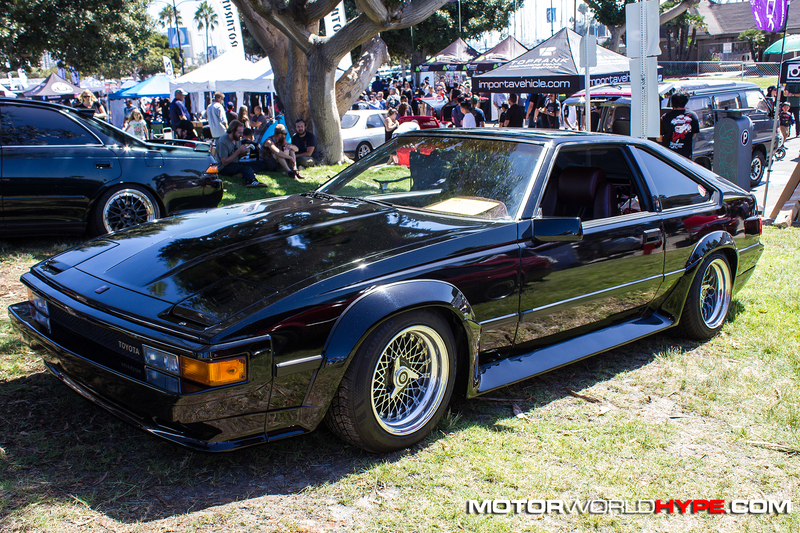 As such, one of the main criteria for entering a car into the show was that it couldn’t be a newer model year than 1985. 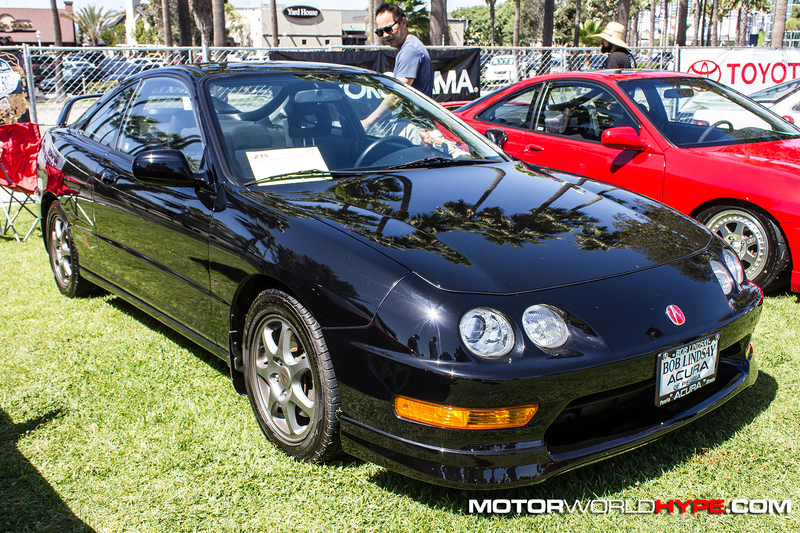 However, this year a change was made and they actually extended the model threshold to 1995. 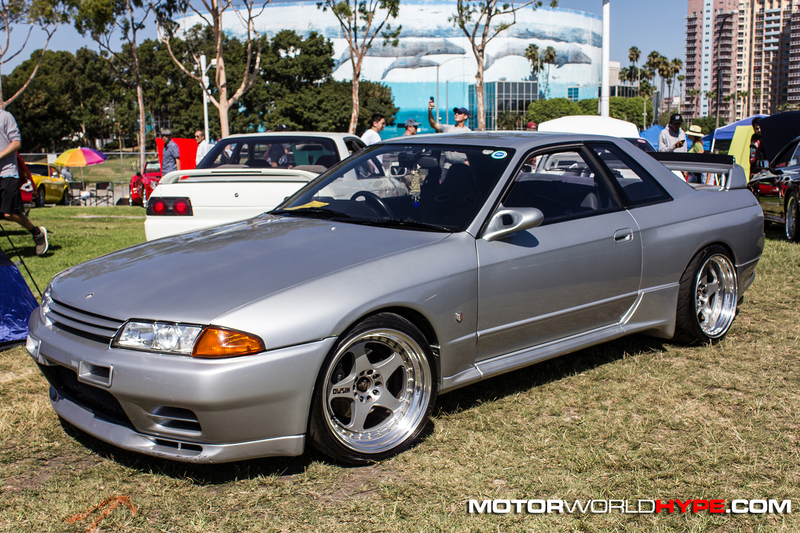 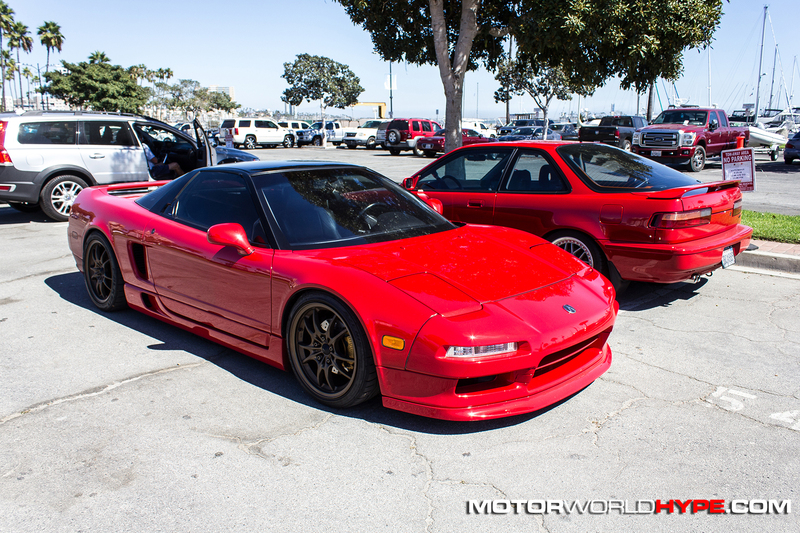 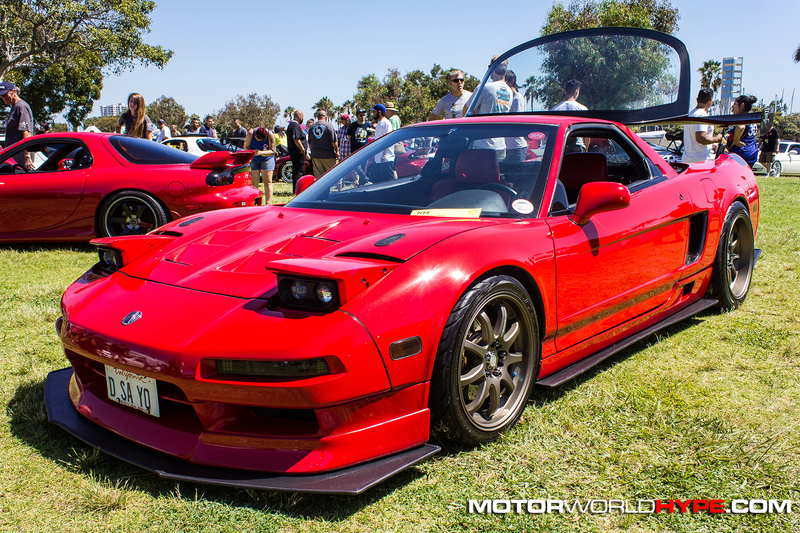 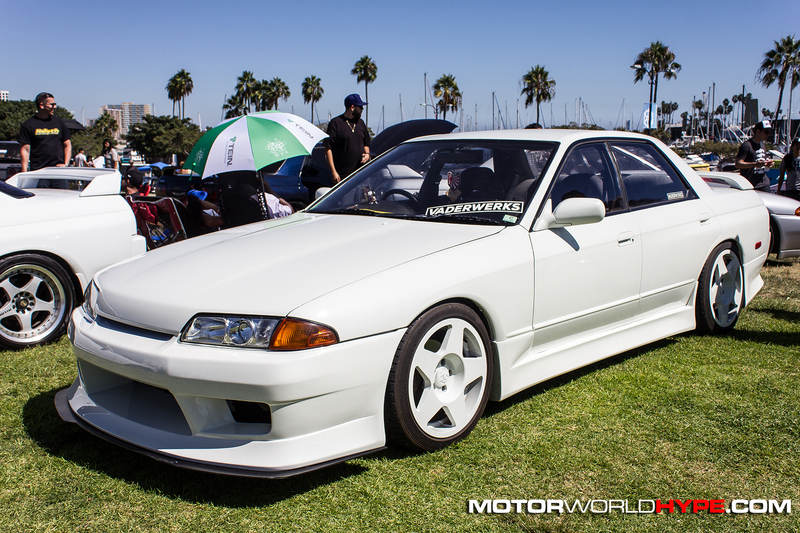 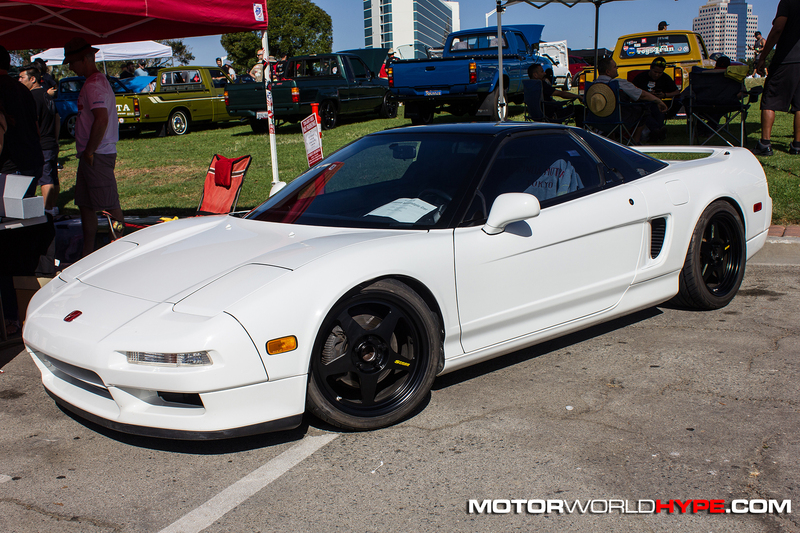 That is a big deal as the 90s were the birth of some of the JDM supercars we all fell in love with. 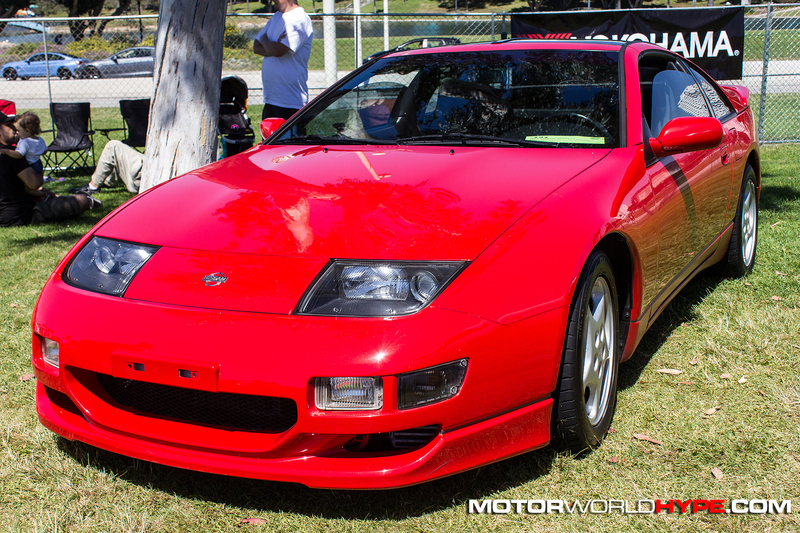 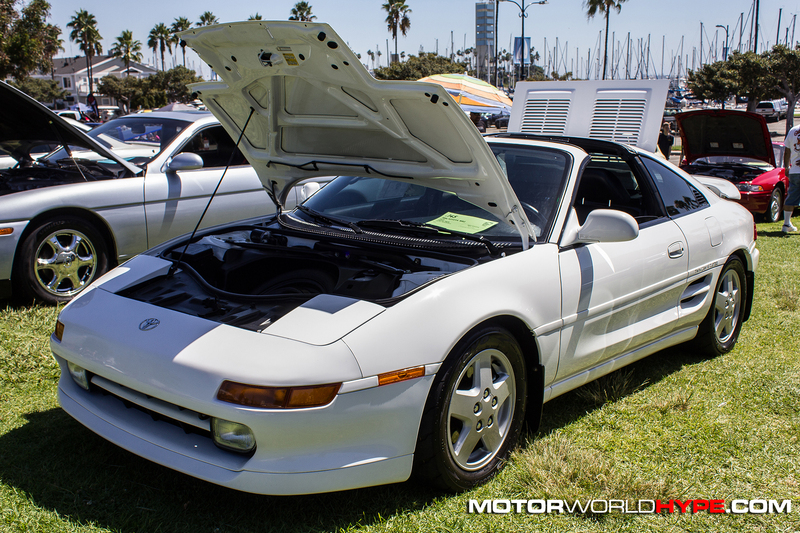 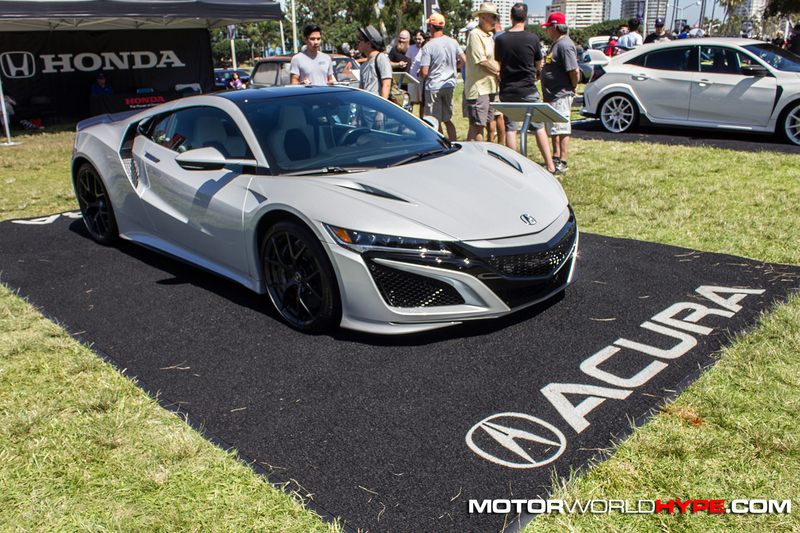 The Mark IV Supra, the 3rd gen Mazda RX7, the Nissan 300ZX turbo and R32 Skyline, and the Honda/Acura NSX were all birthed in the early 90s. 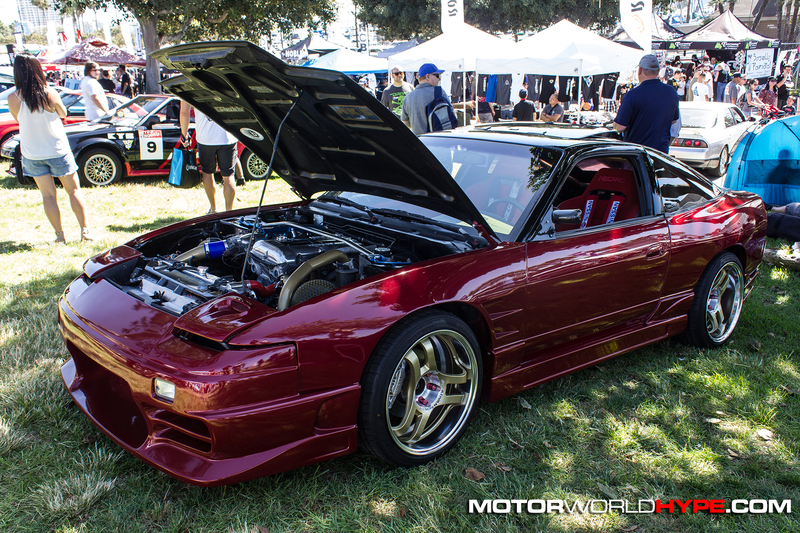 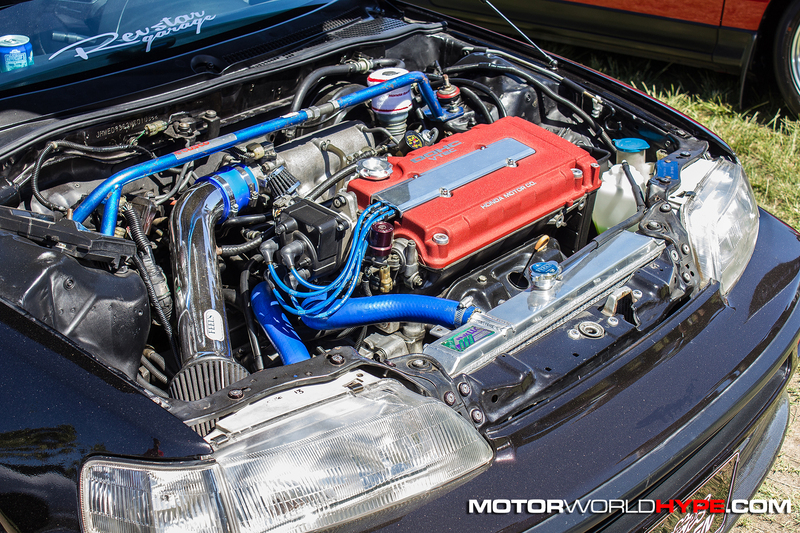 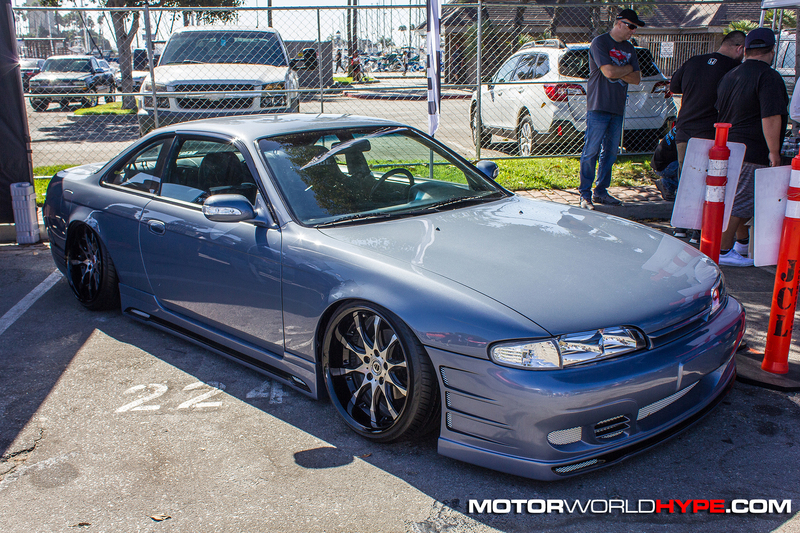 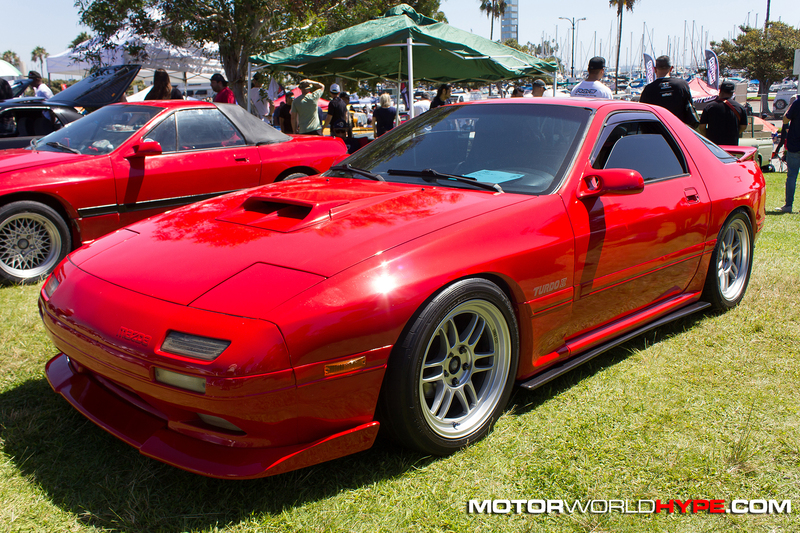 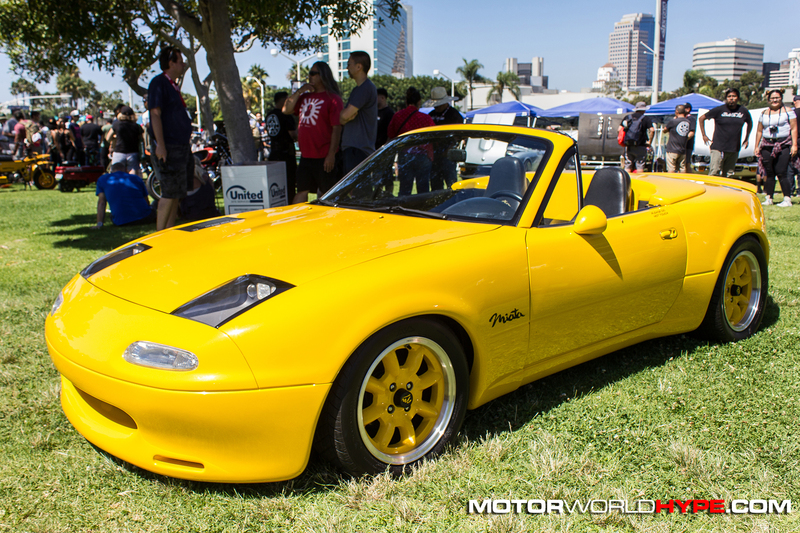 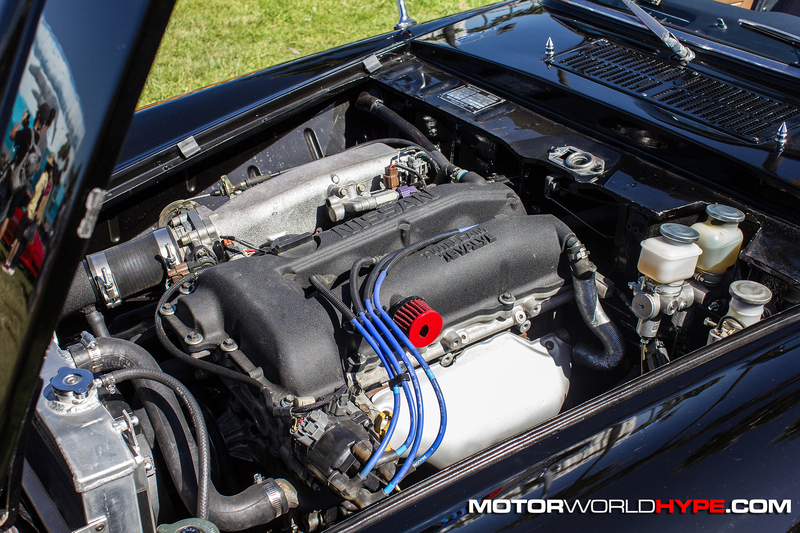 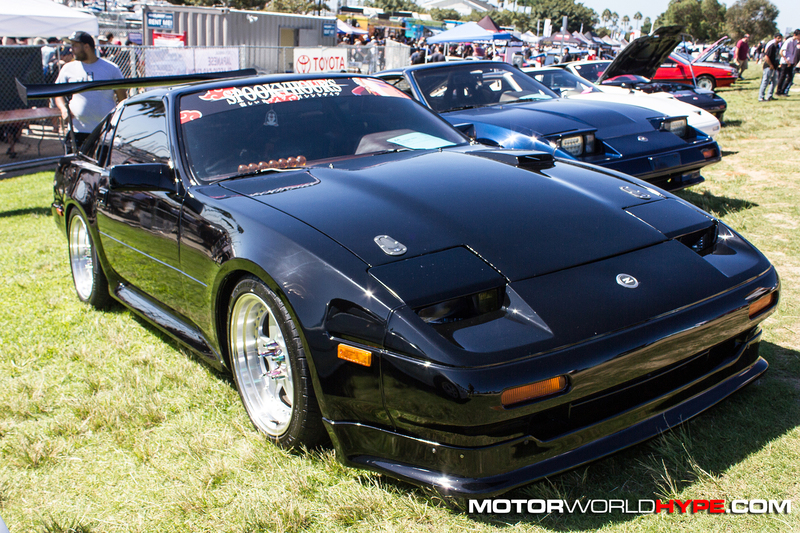 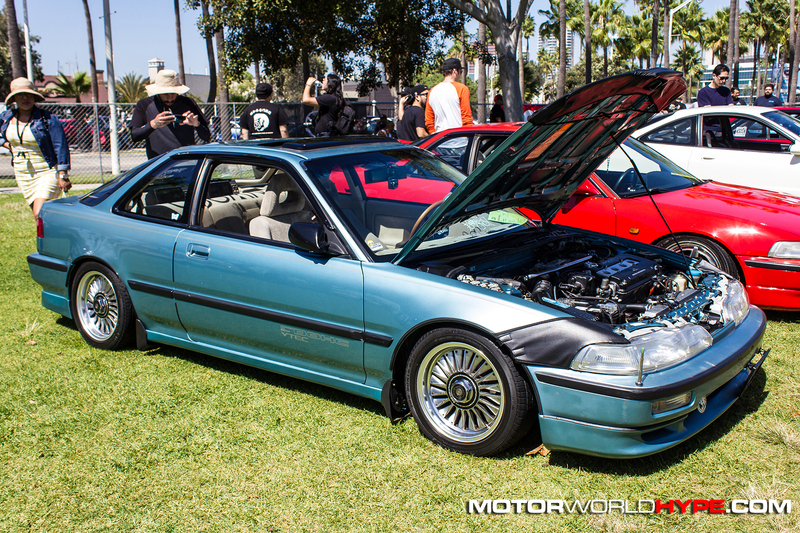 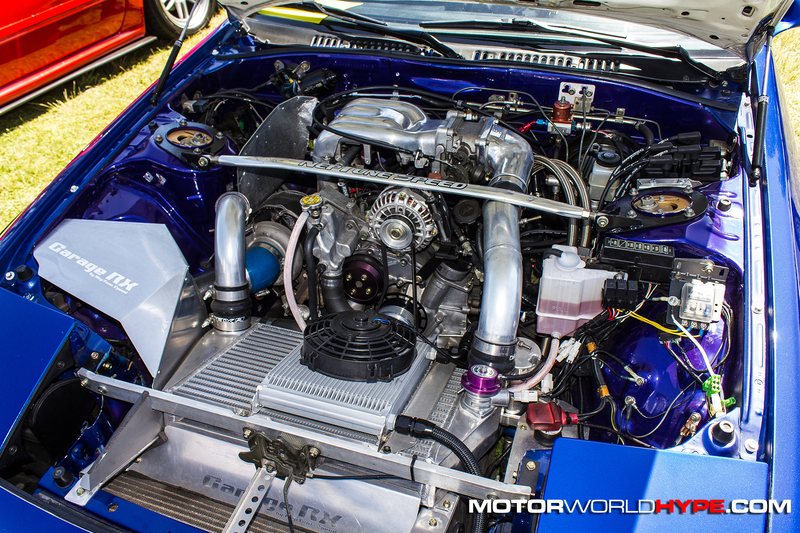 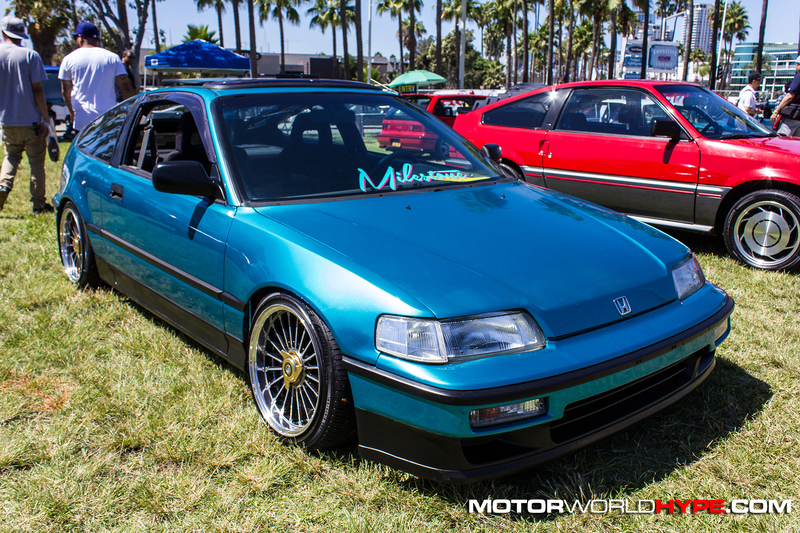 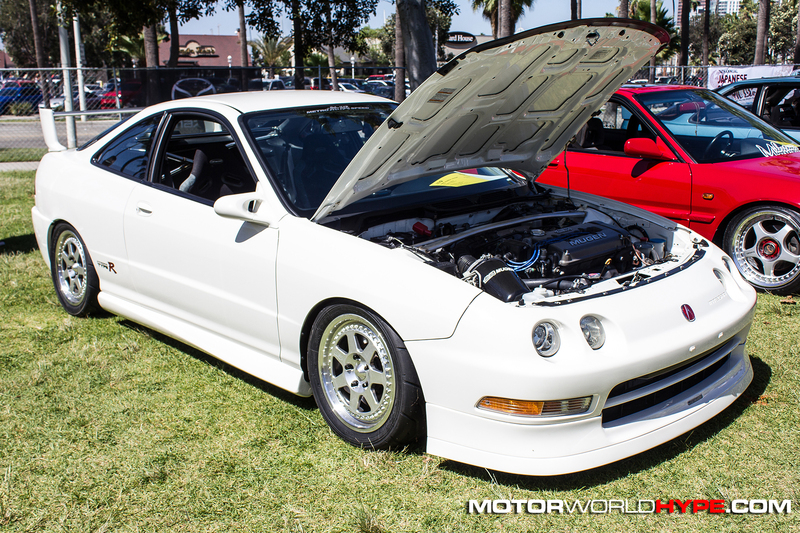 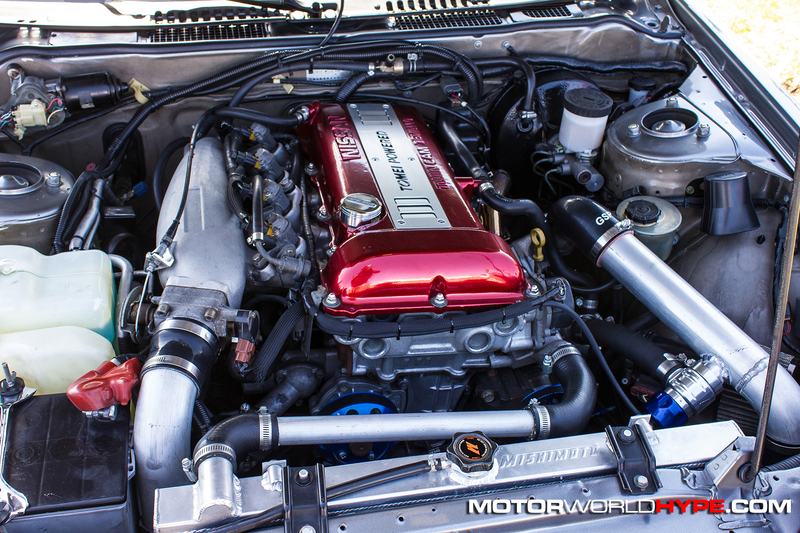 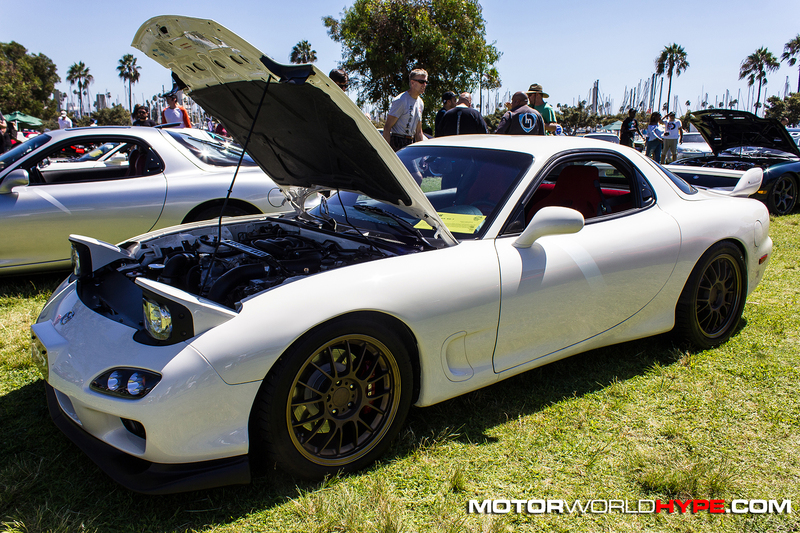 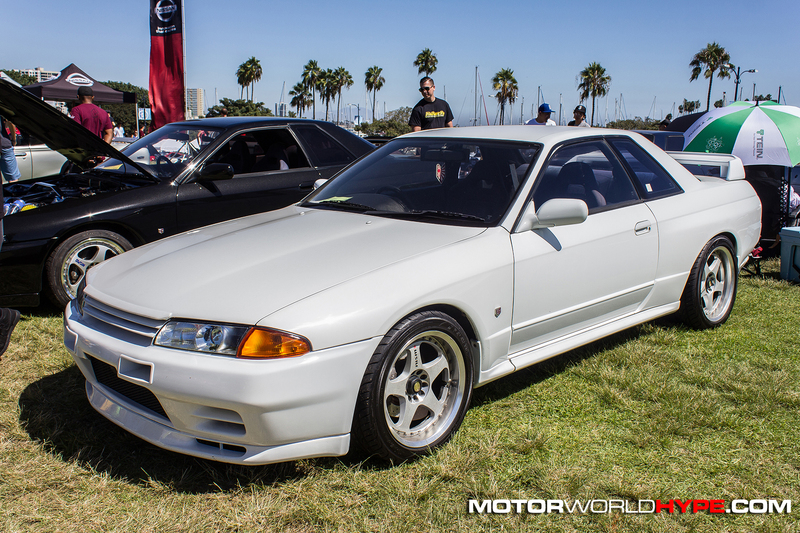 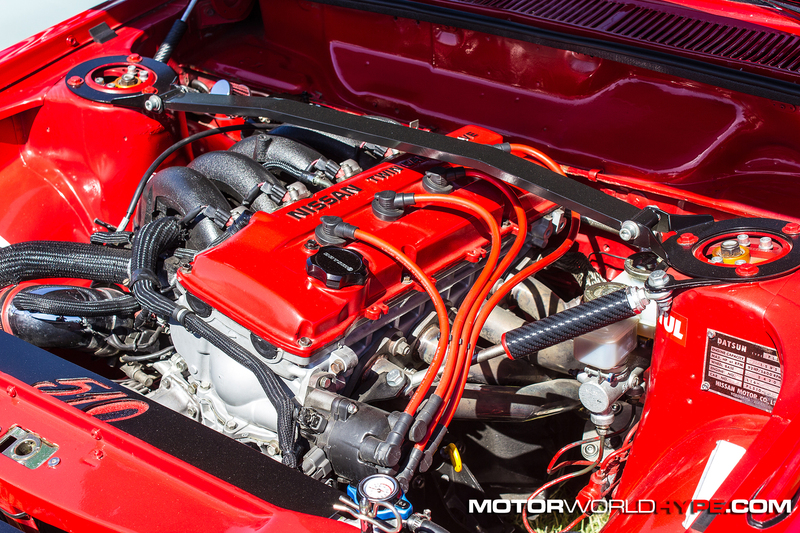 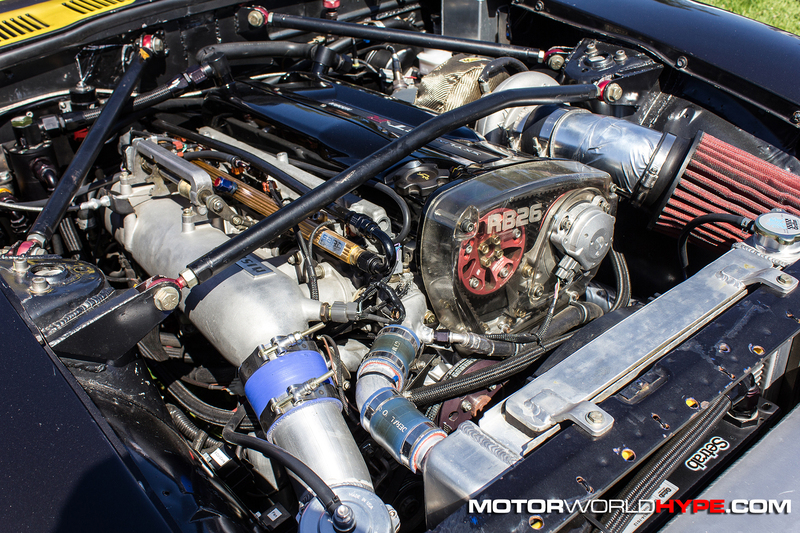 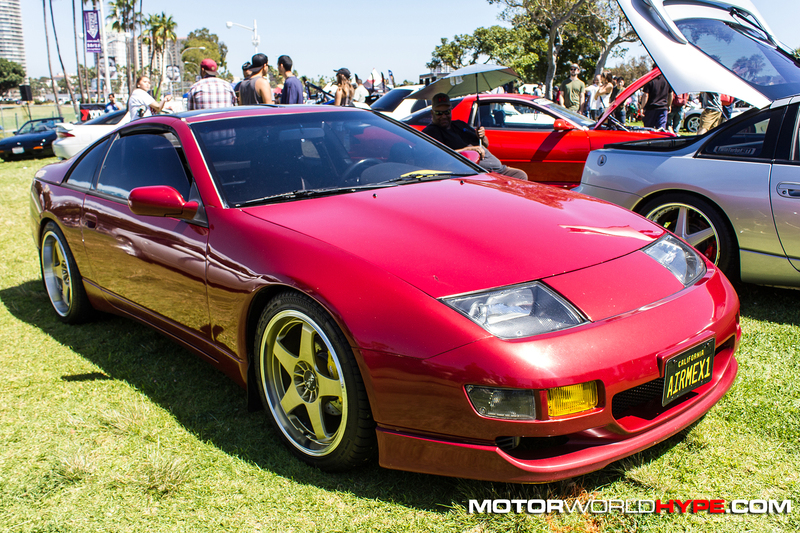 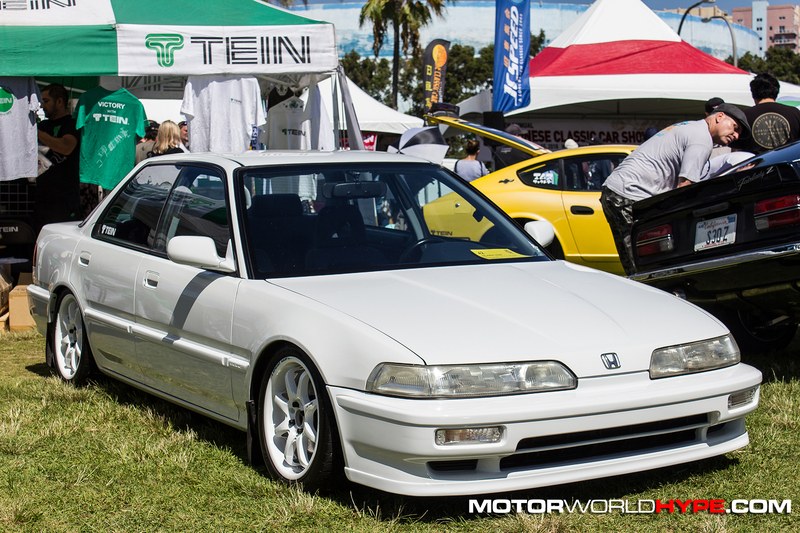 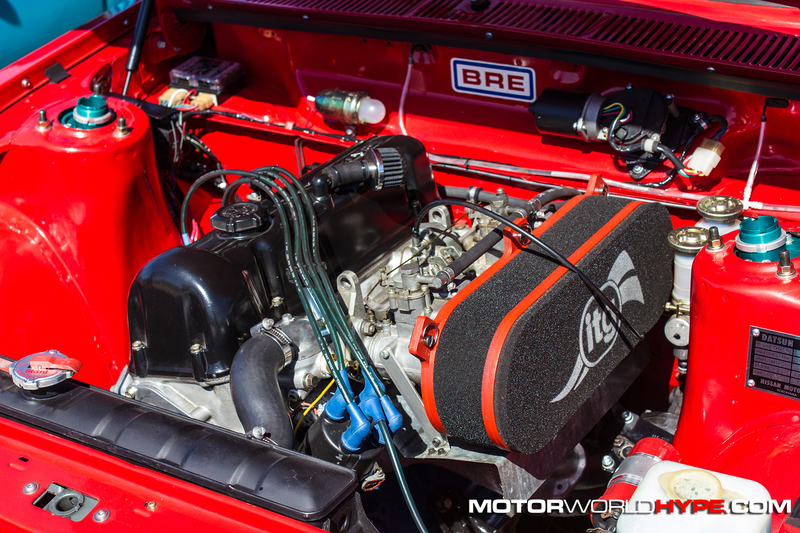 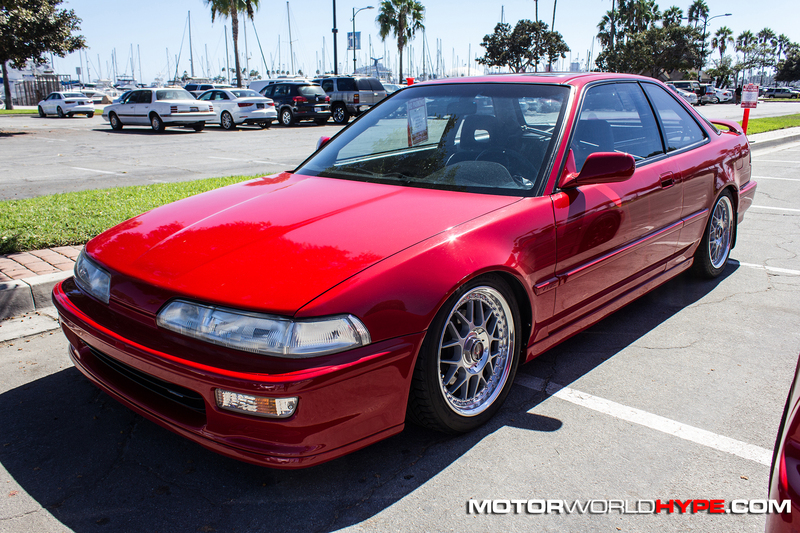 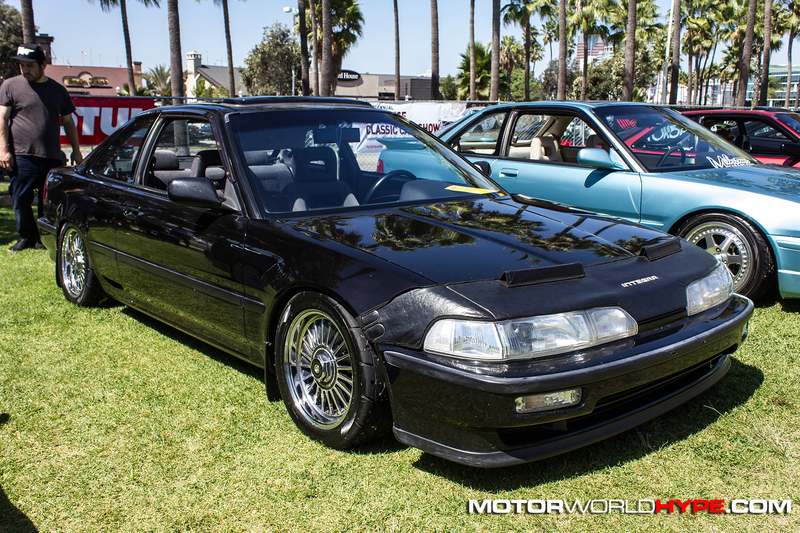 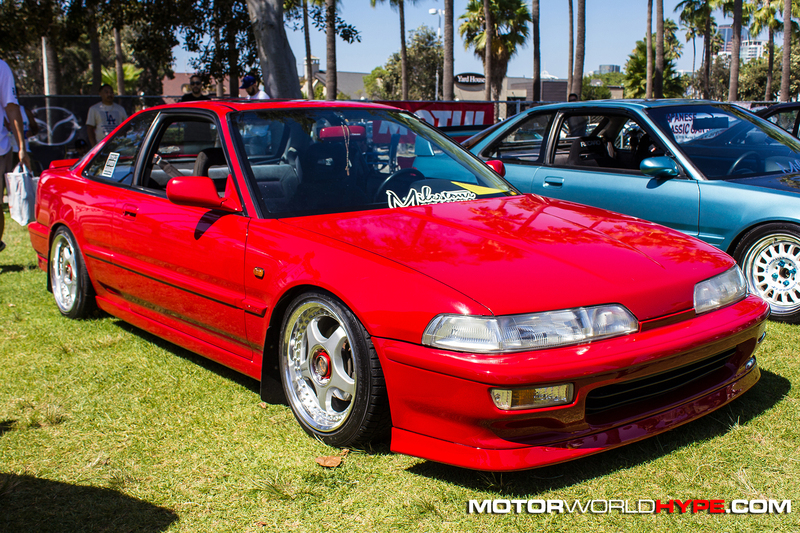 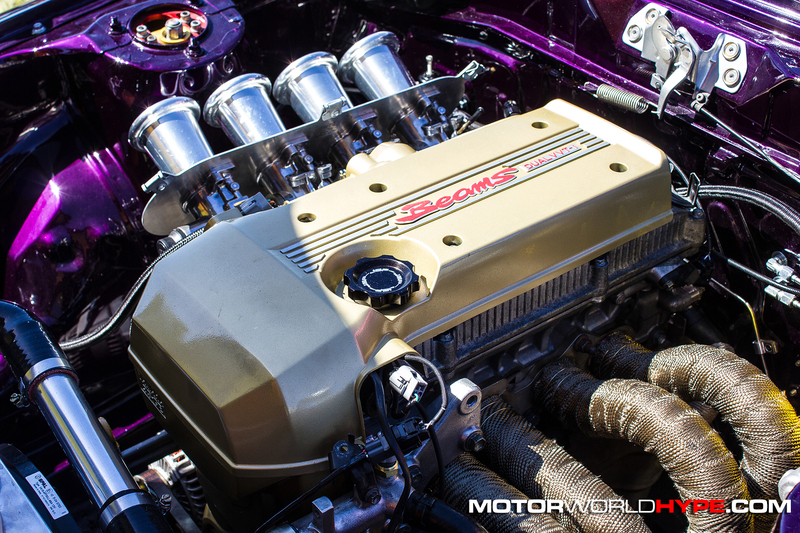 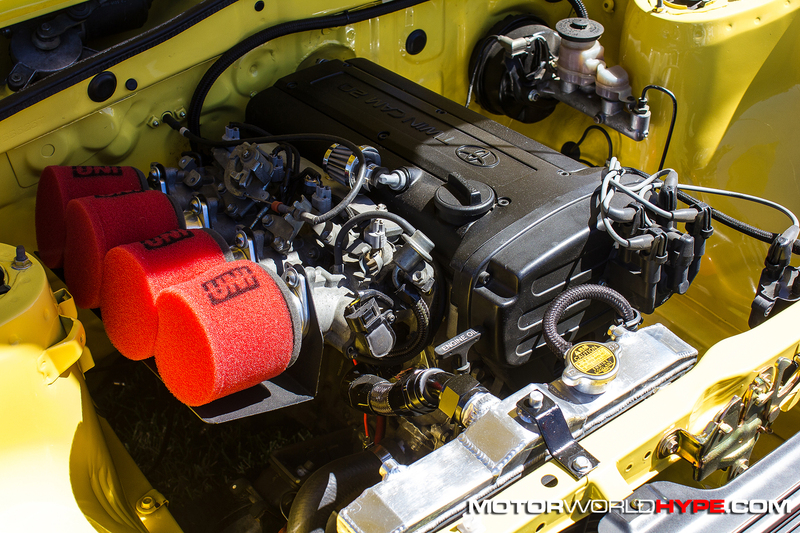 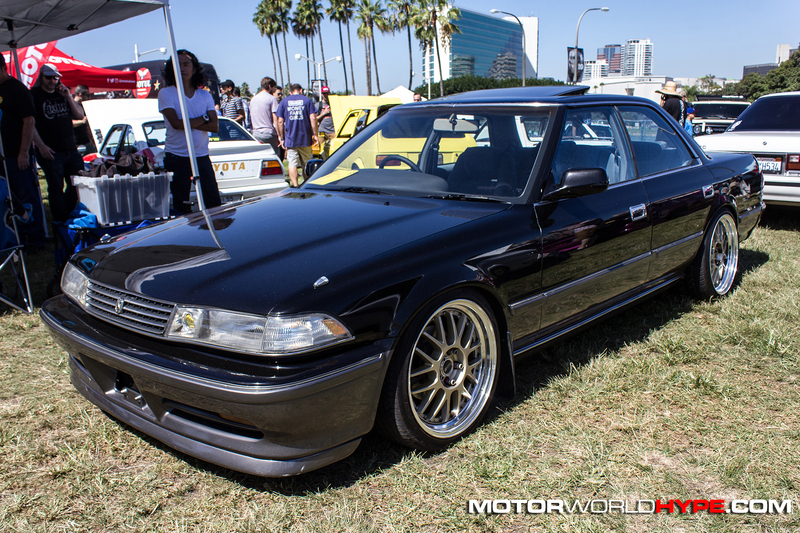 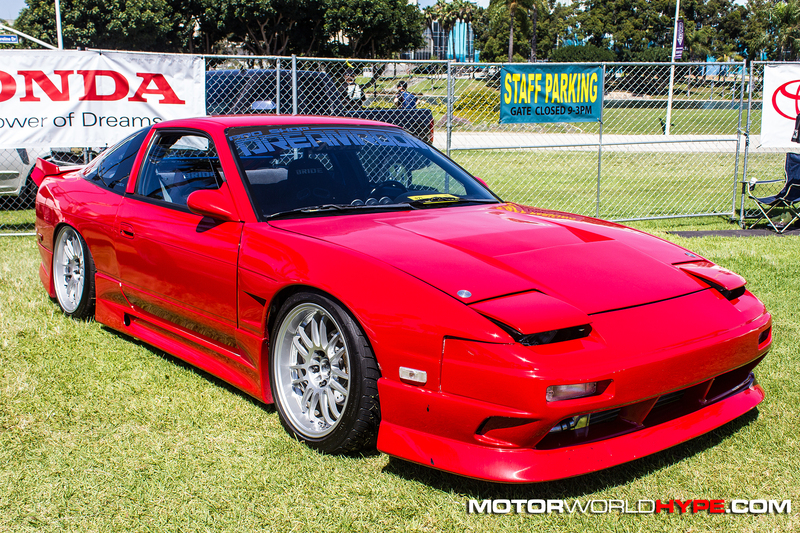 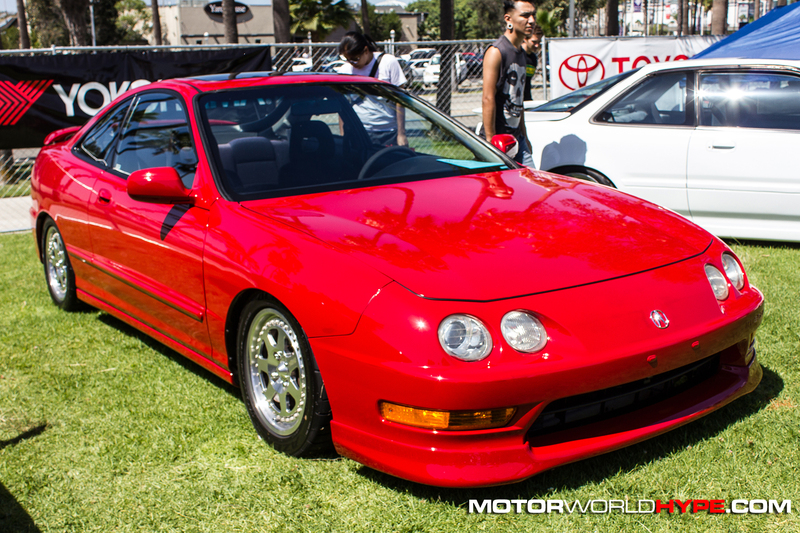 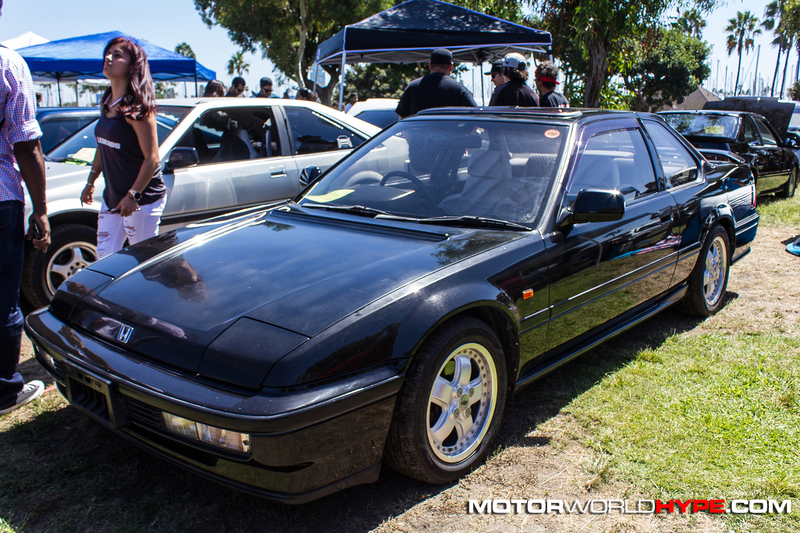 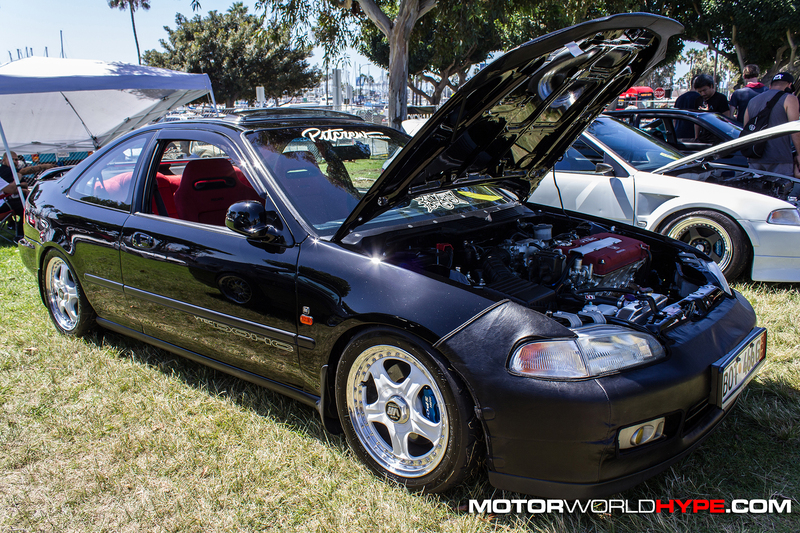 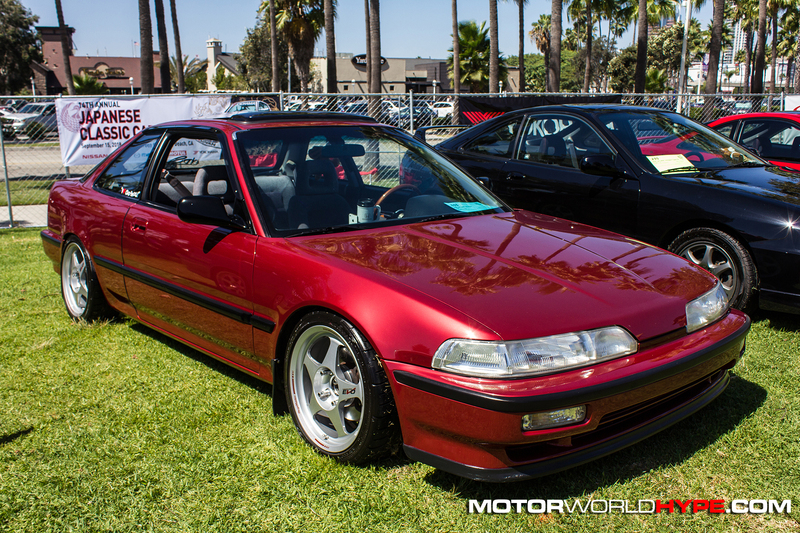 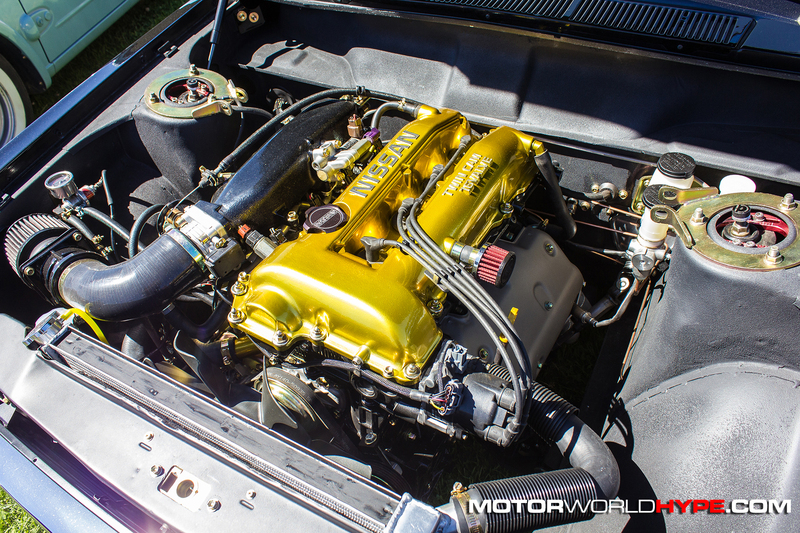 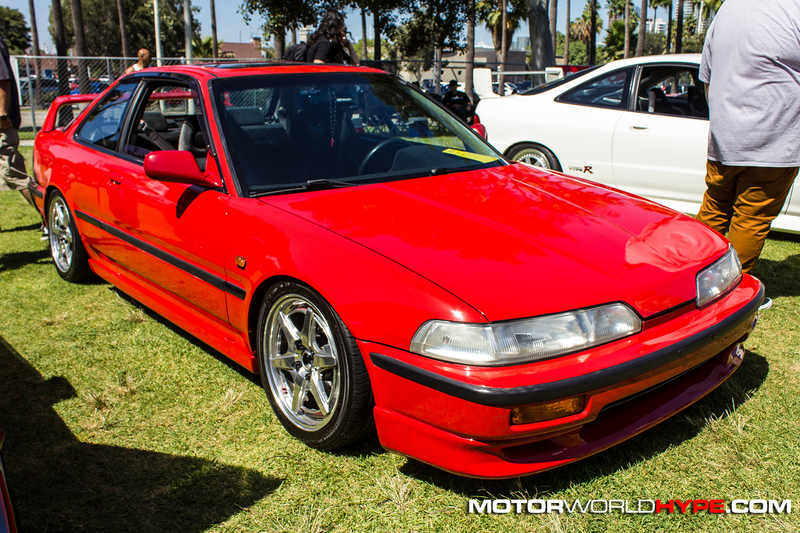 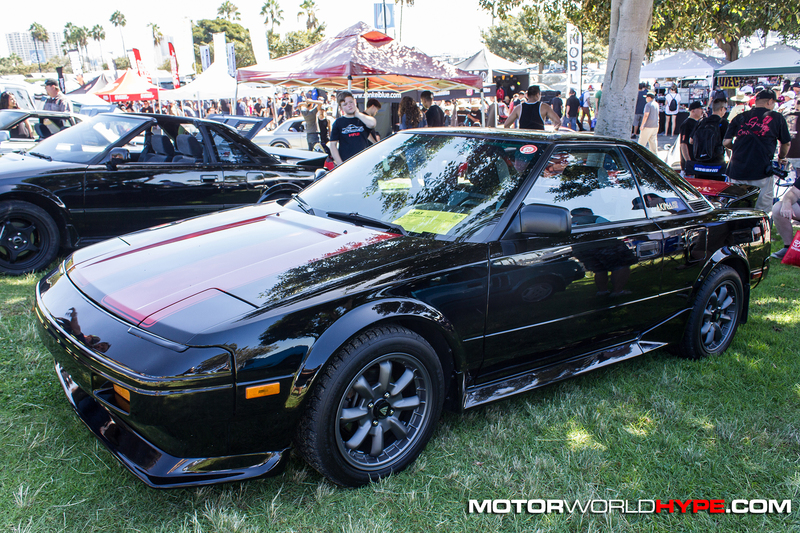 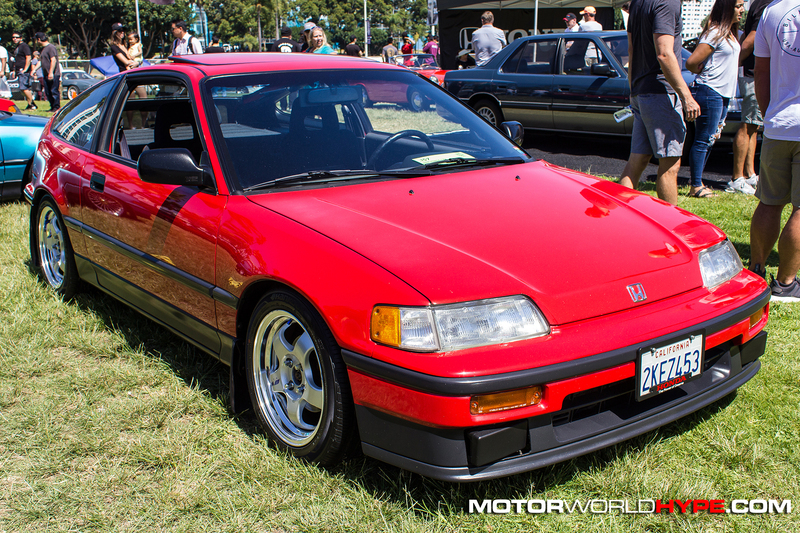 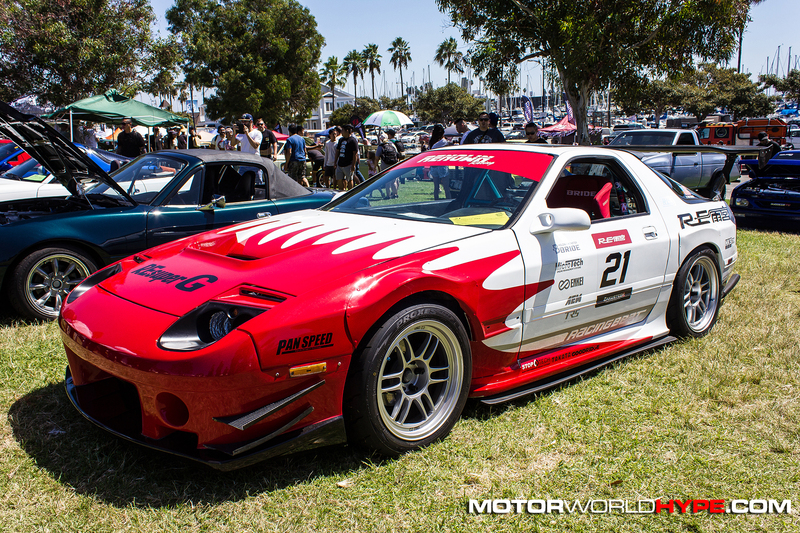 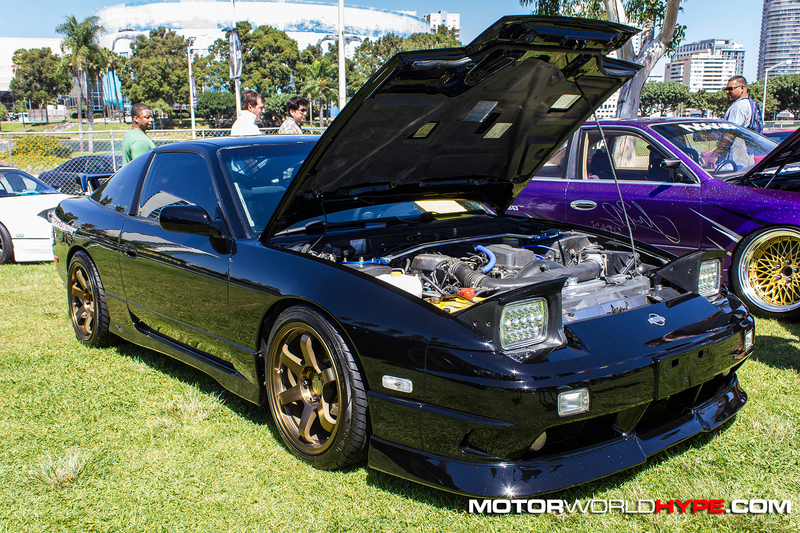 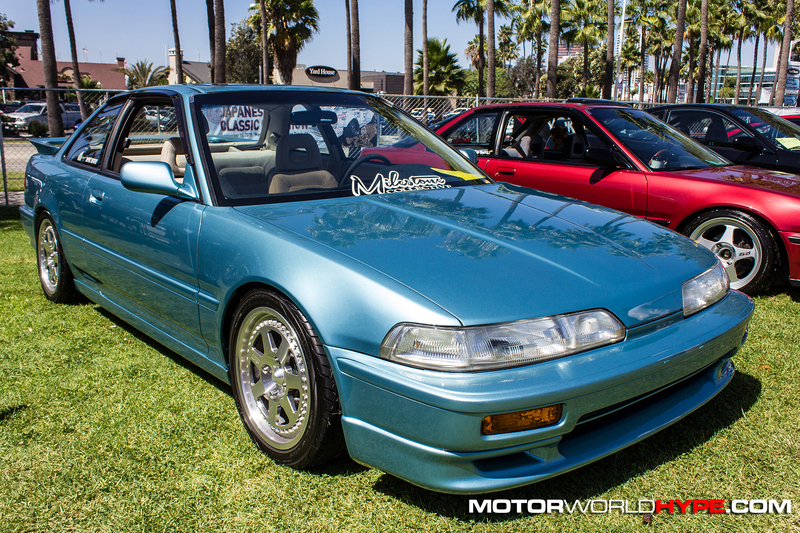 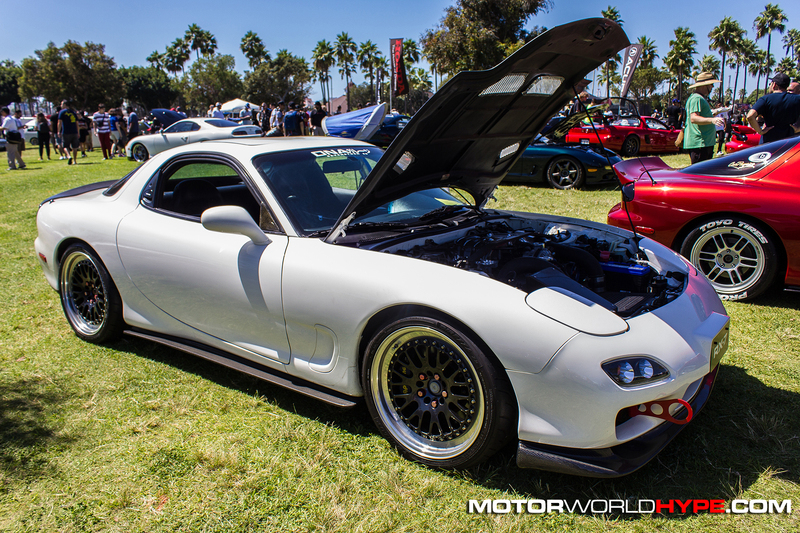 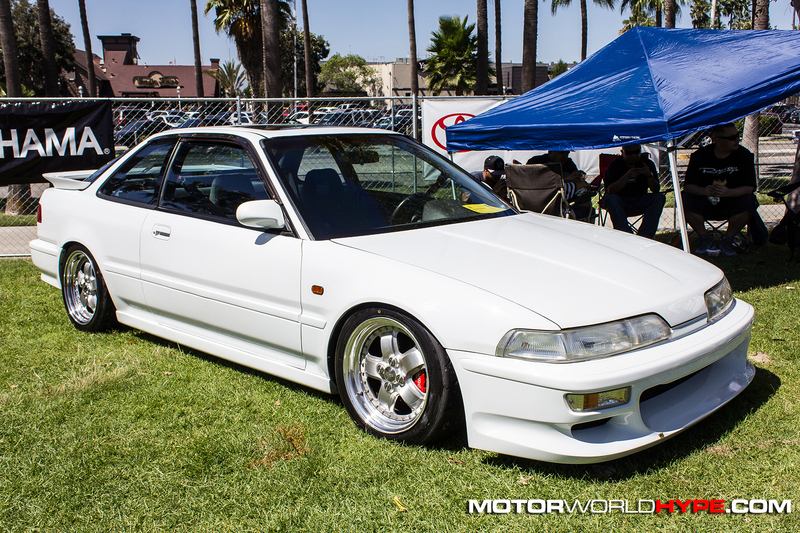 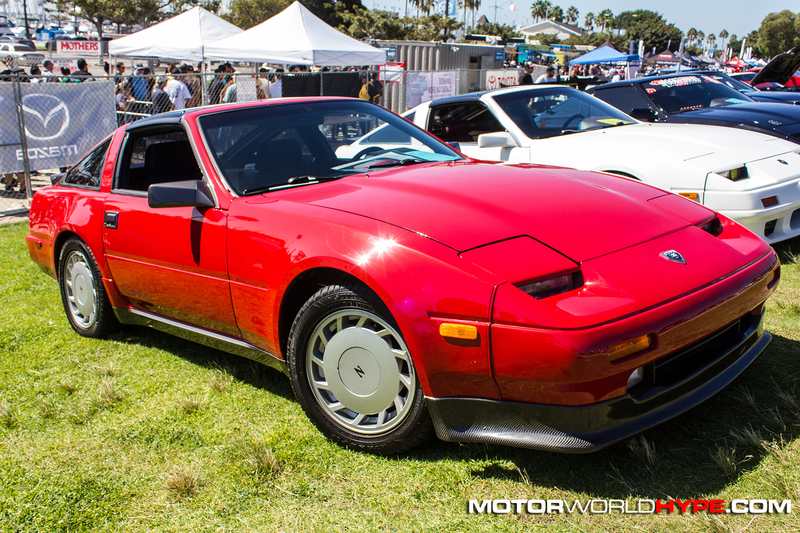 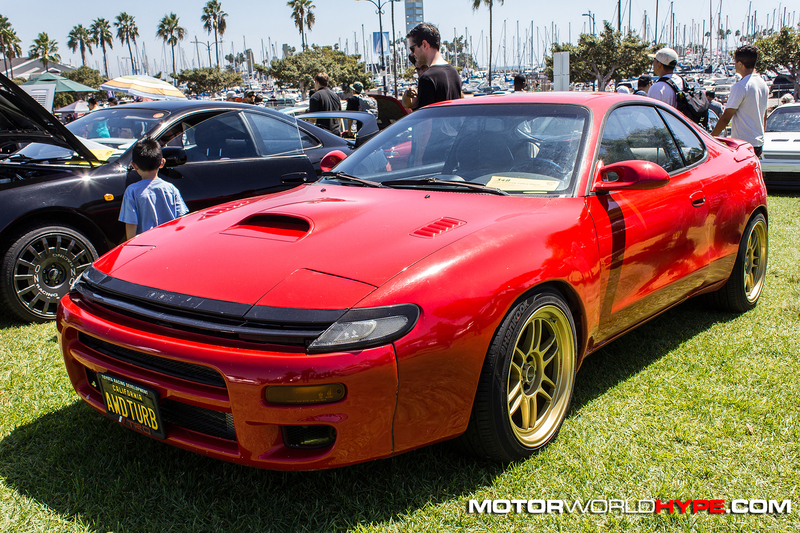 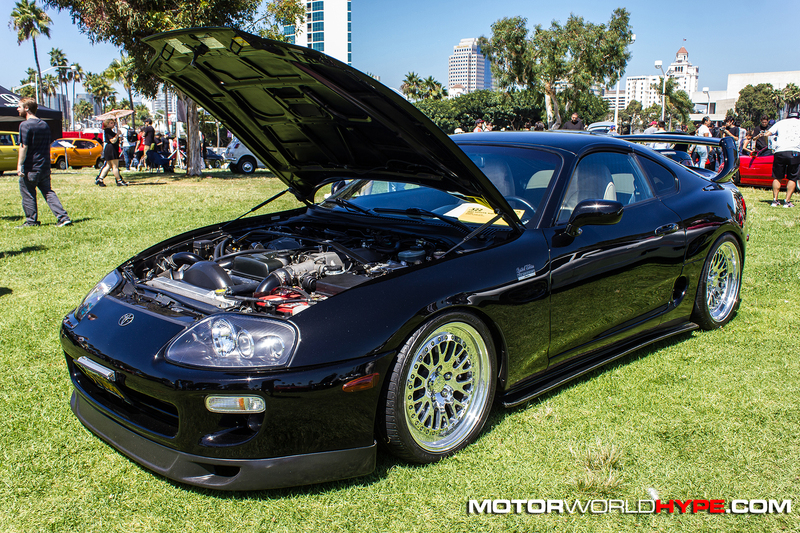 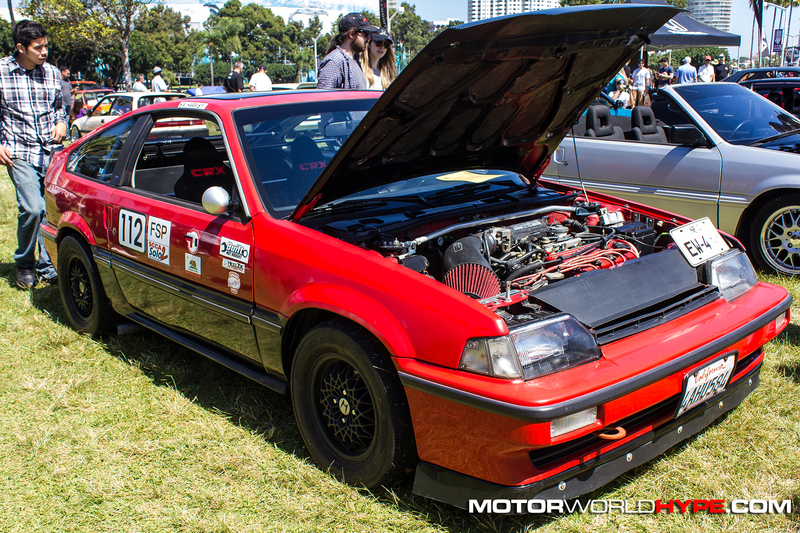 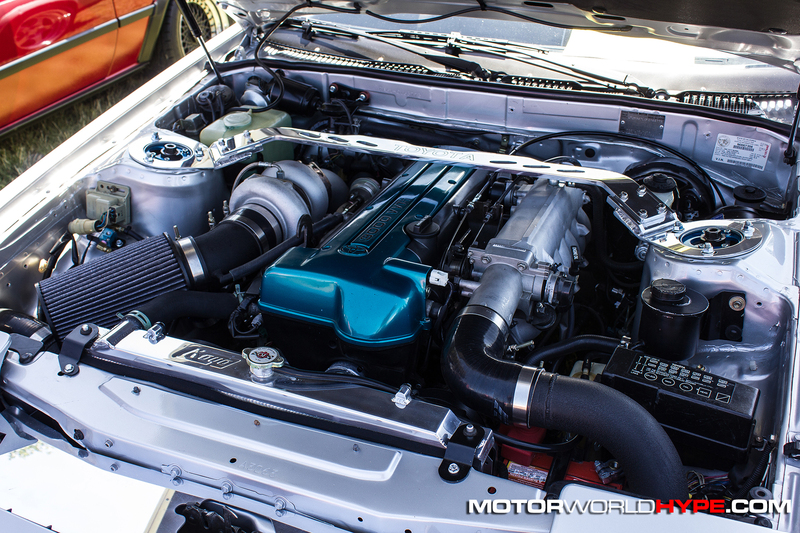 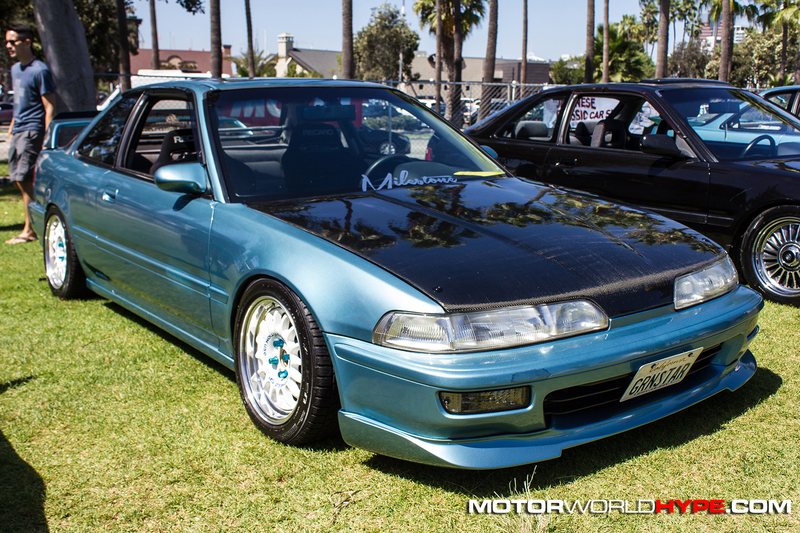 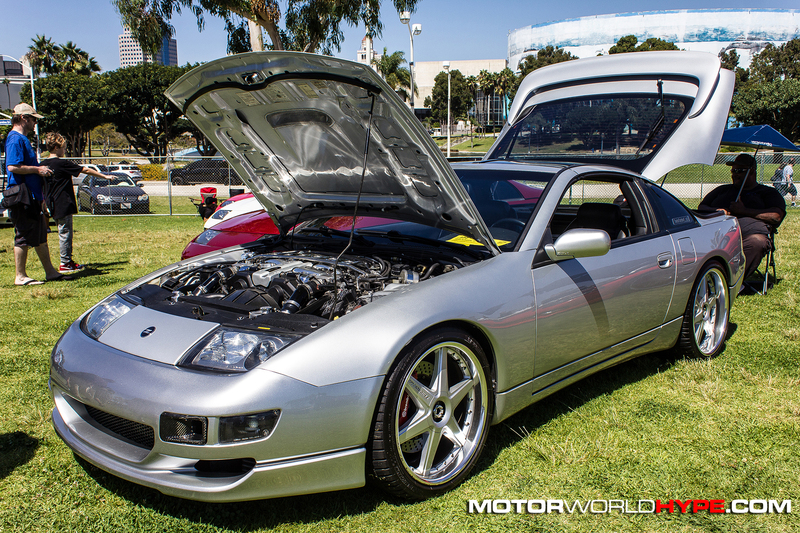 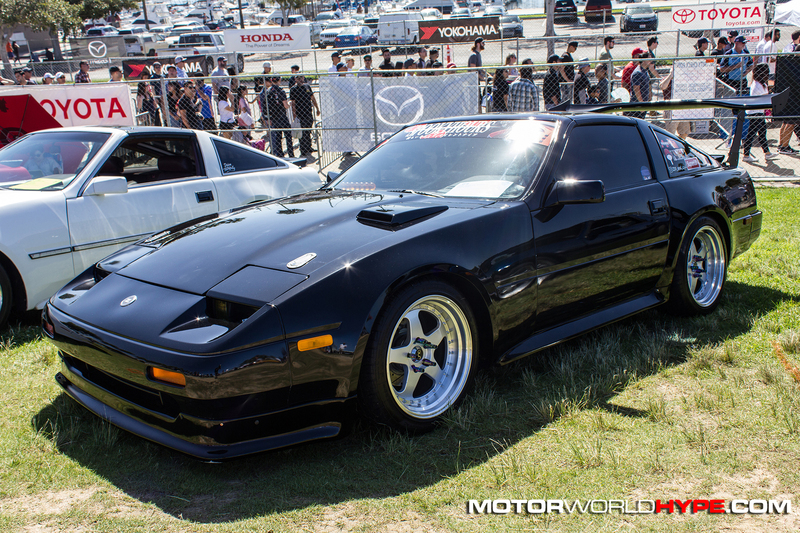 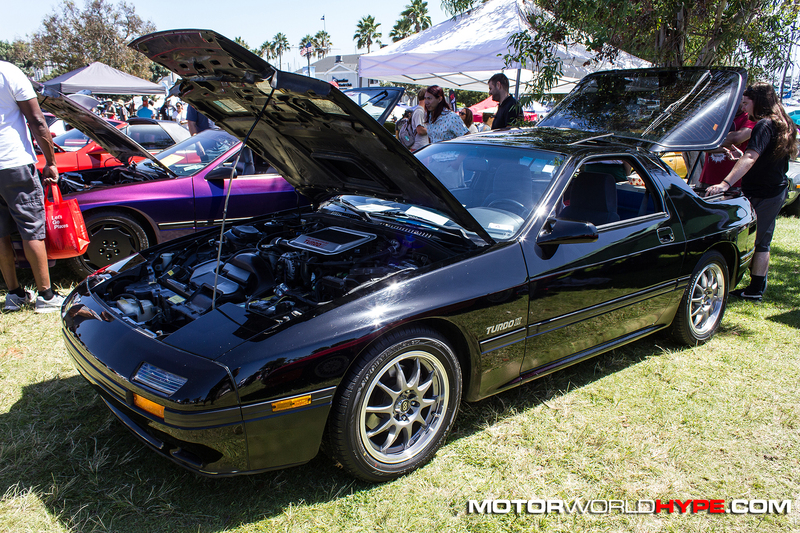 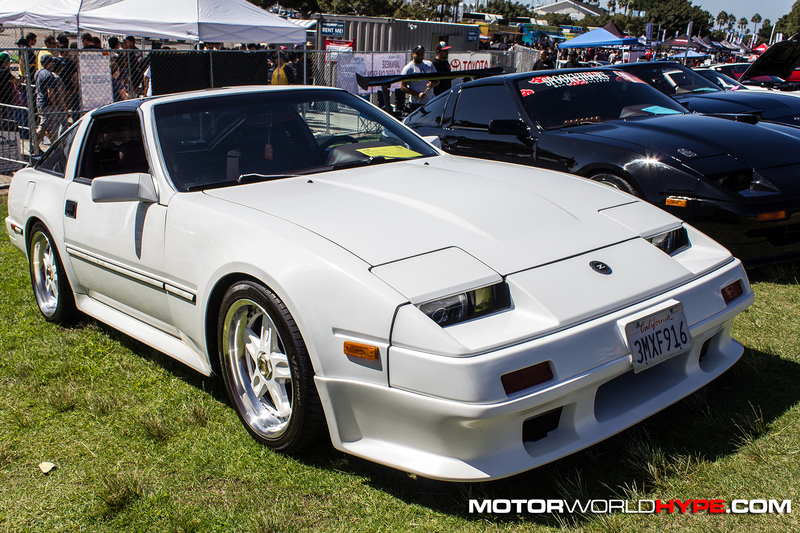 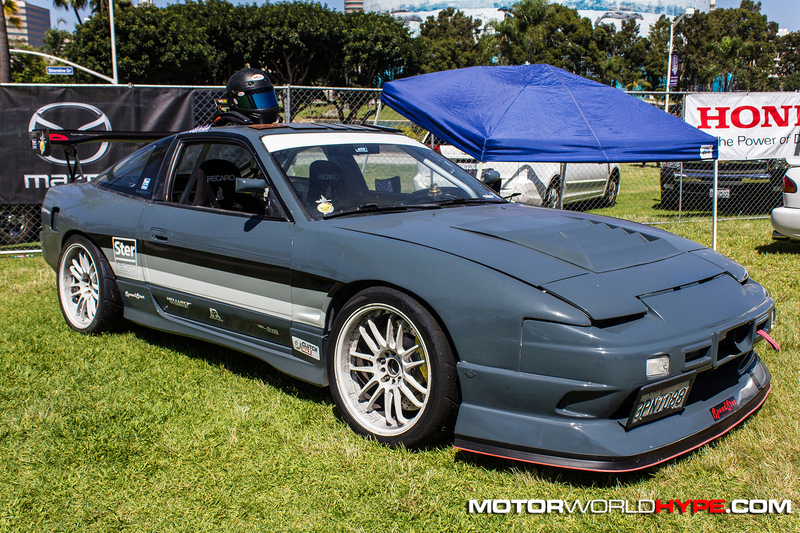 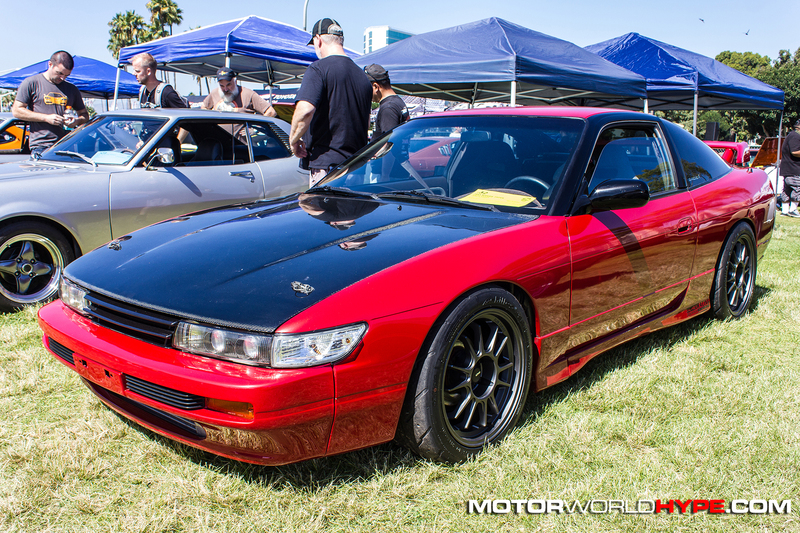 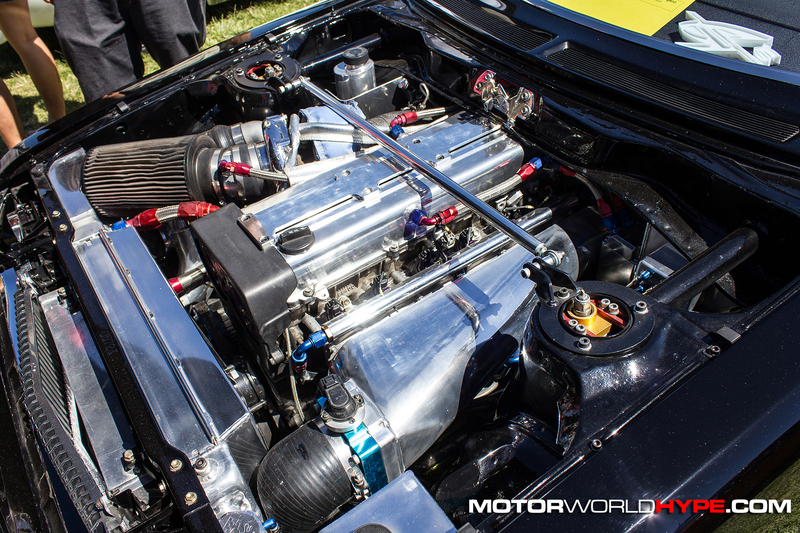 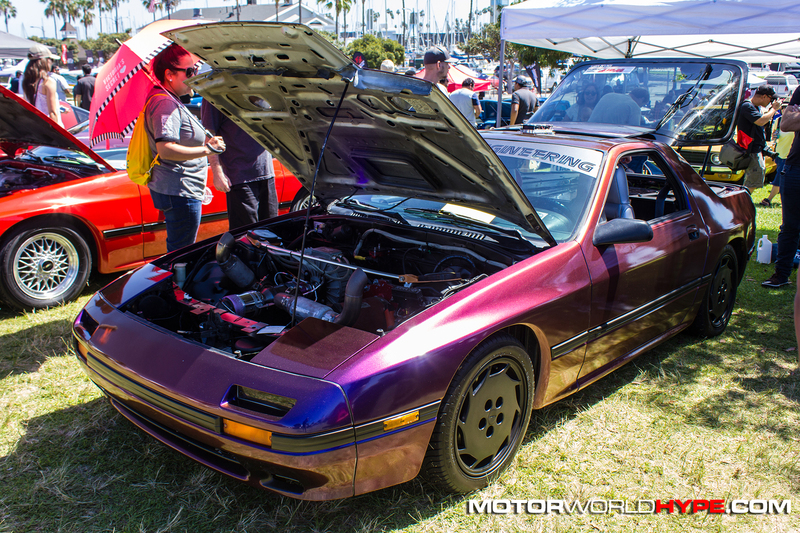 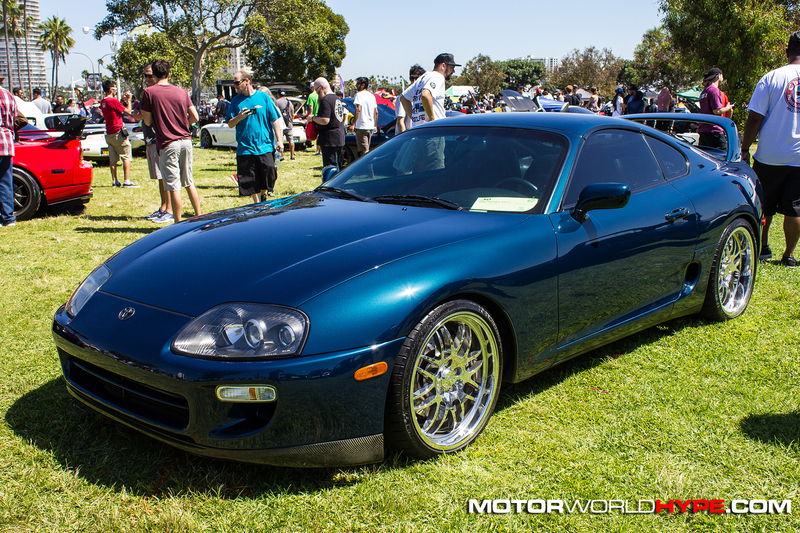 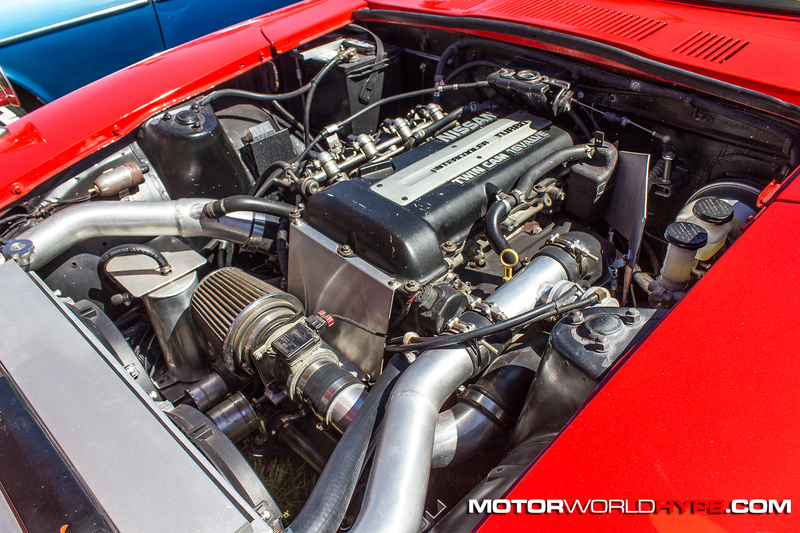 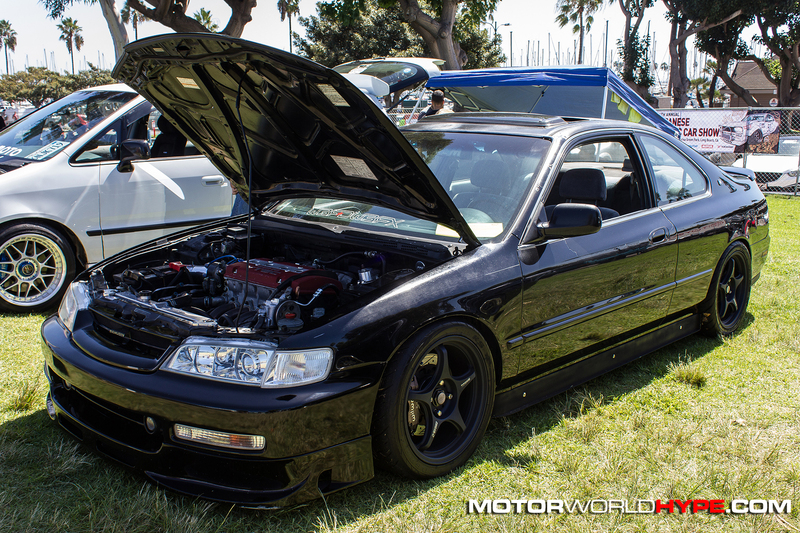 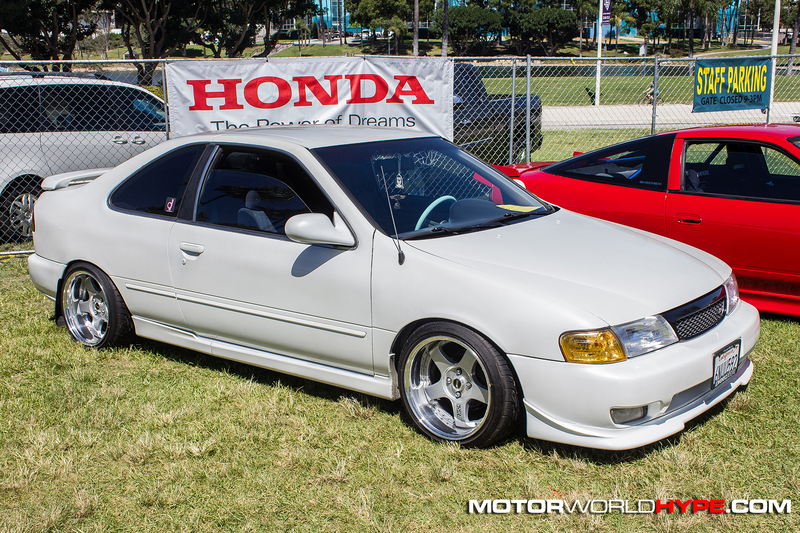 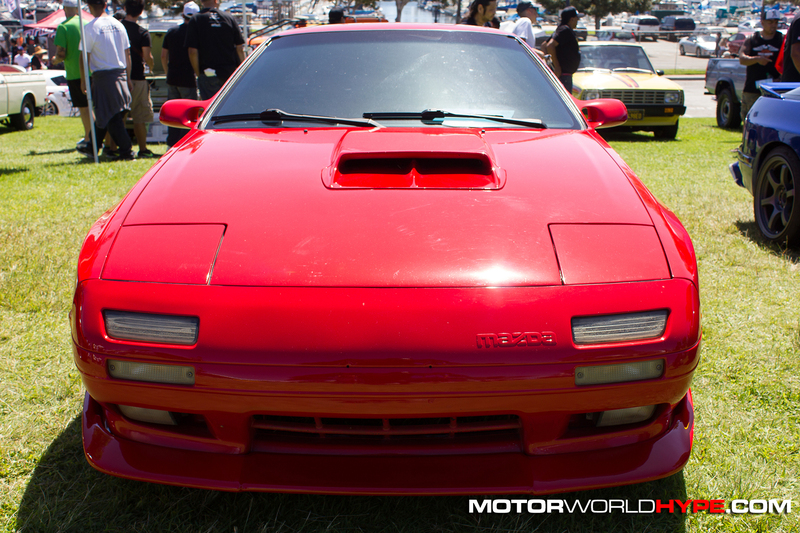 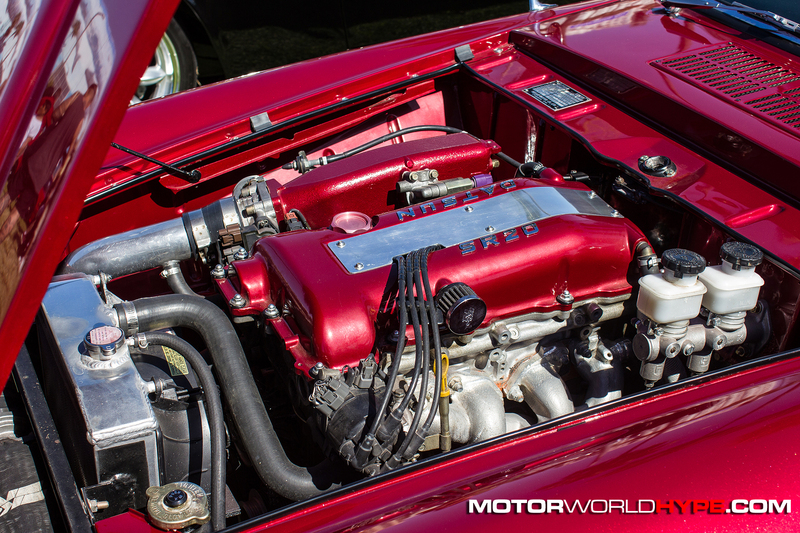 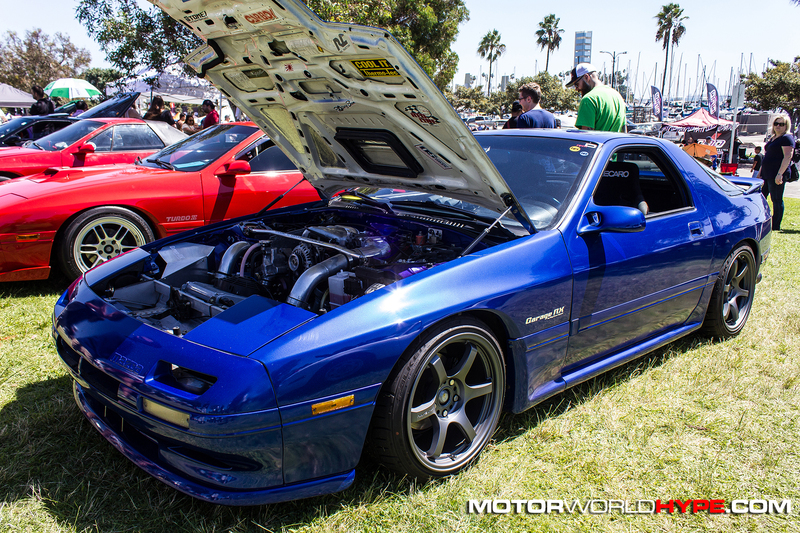 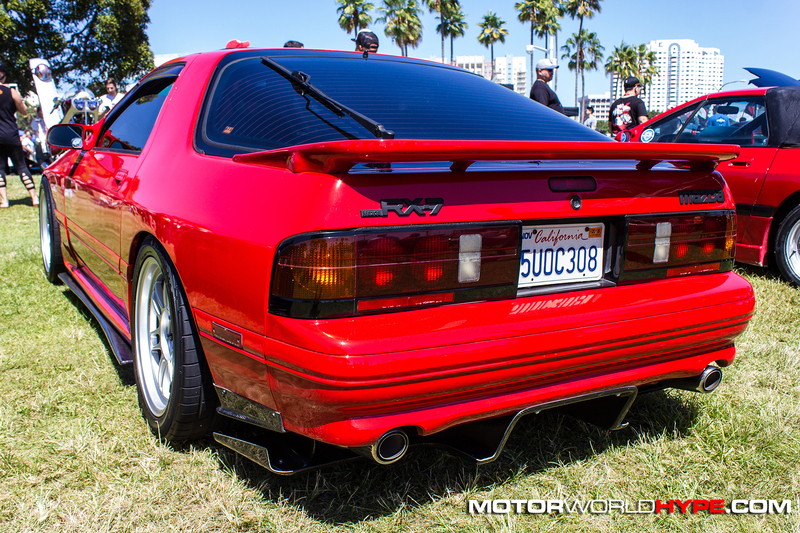 This also opened up the door to other crowd favorites like the early model “DA” chassis Acura Integras, the second-gen Honda CR-X, and the first-gen “Zenki” Nissan 240SX/S14. 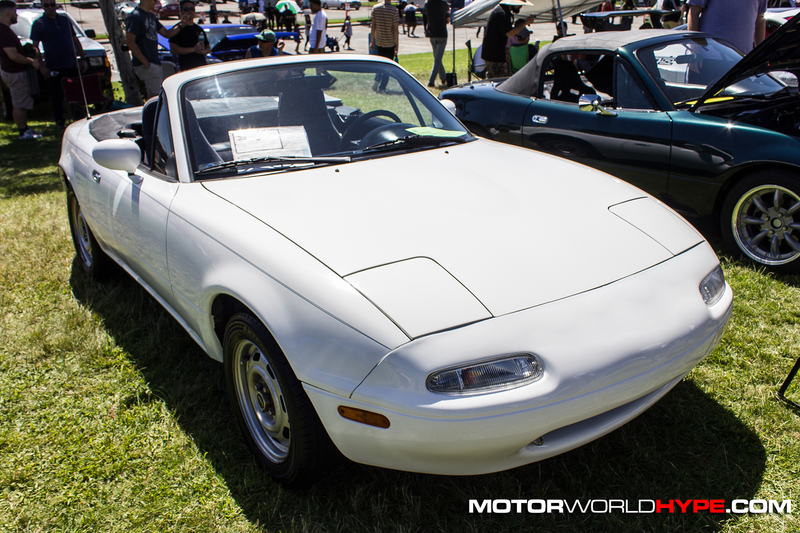 While it was awesome to see all of those cars included for the first time, I think what really soothed my weary soul was seeing some of older classics done up in such a way that made them shine harder than ever before. 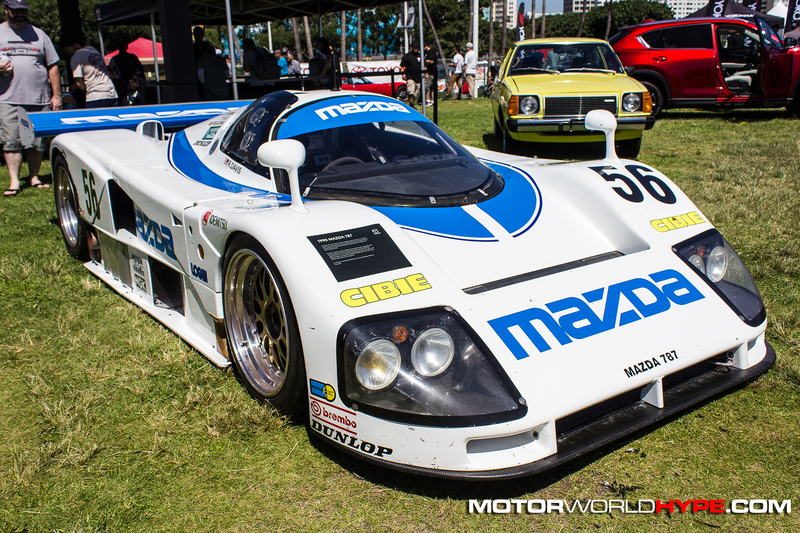 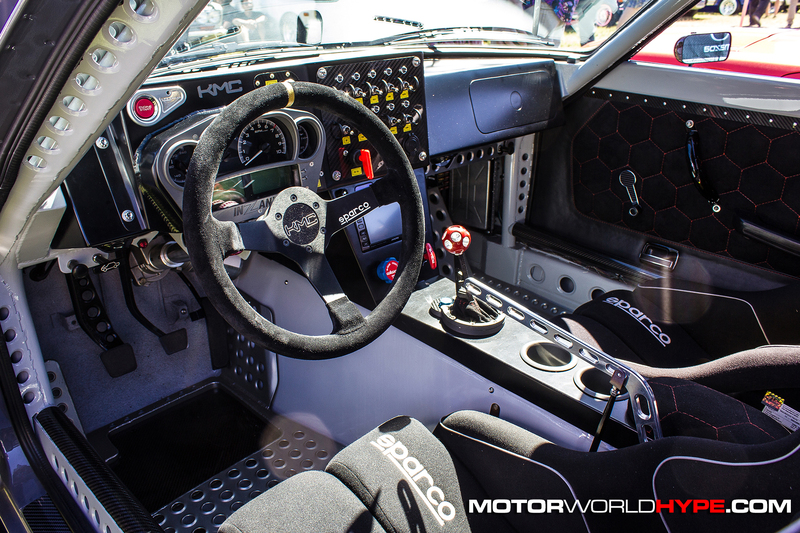 I think its easy to take for granted the roots of the cars we love so much today. 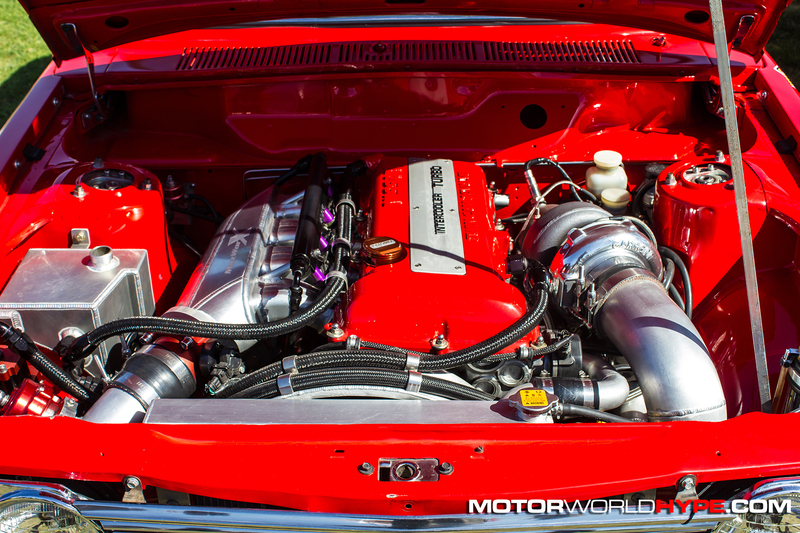 We forget where they came from what inspired their creation. 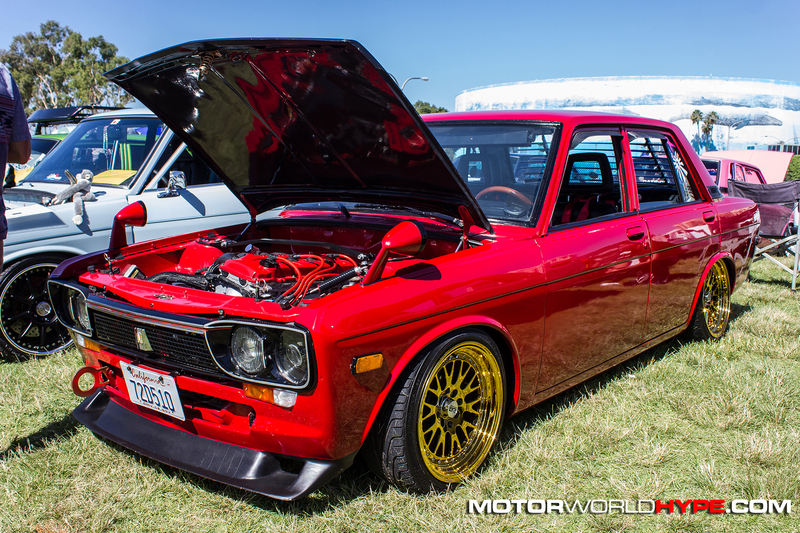 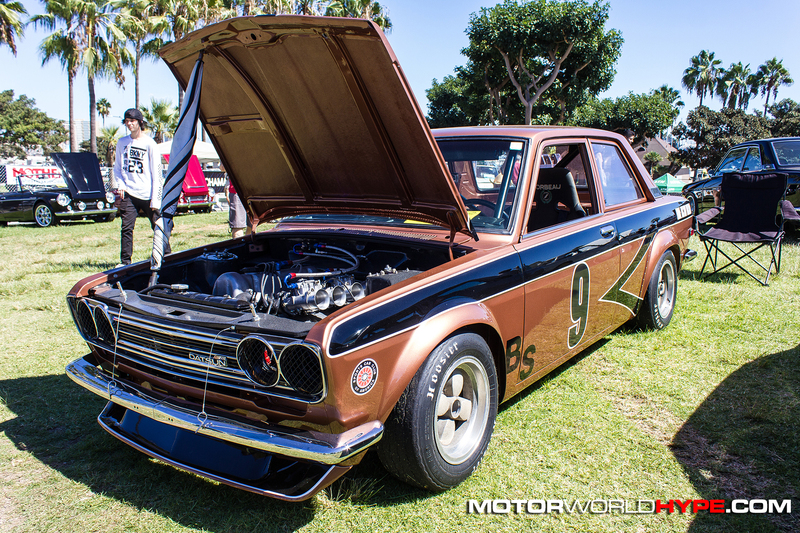 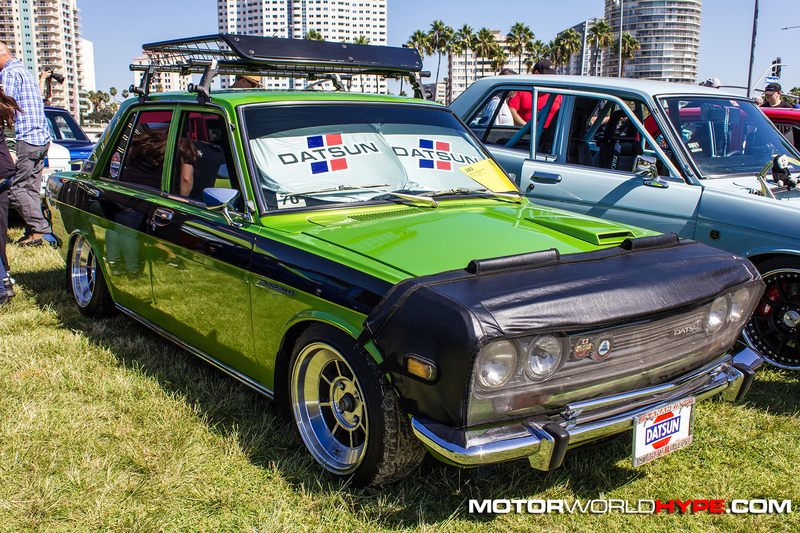 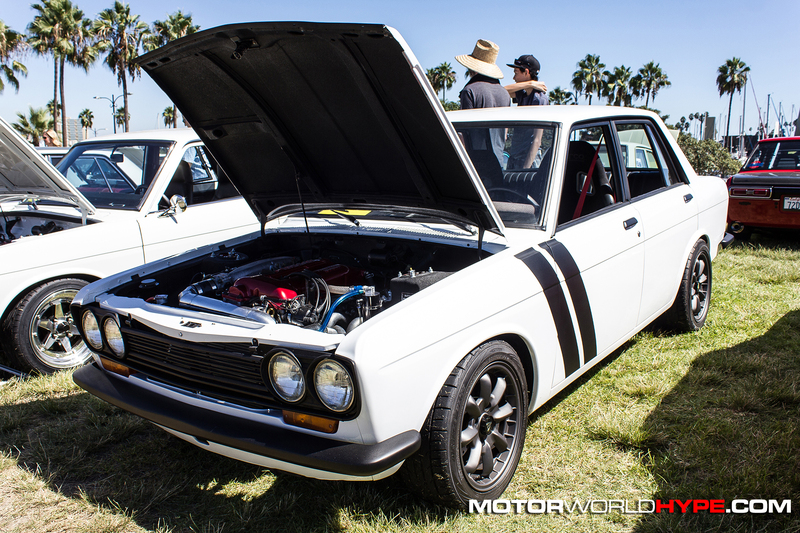 There is something about seeing a pristine Datsun 510 that has untold hours of work put into it that was refreshing to me. 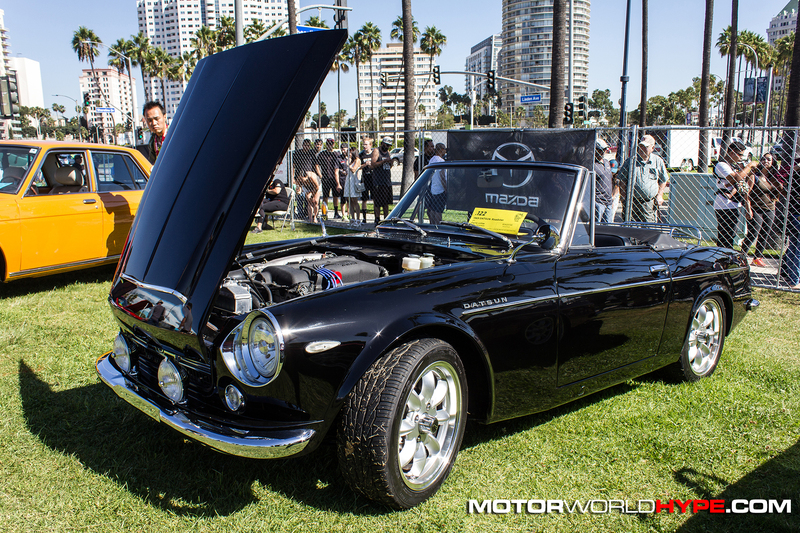 Furthermore seeing such a variety of not just cars but philosophies on how to mod a car and how to restore a classic was stimulating. 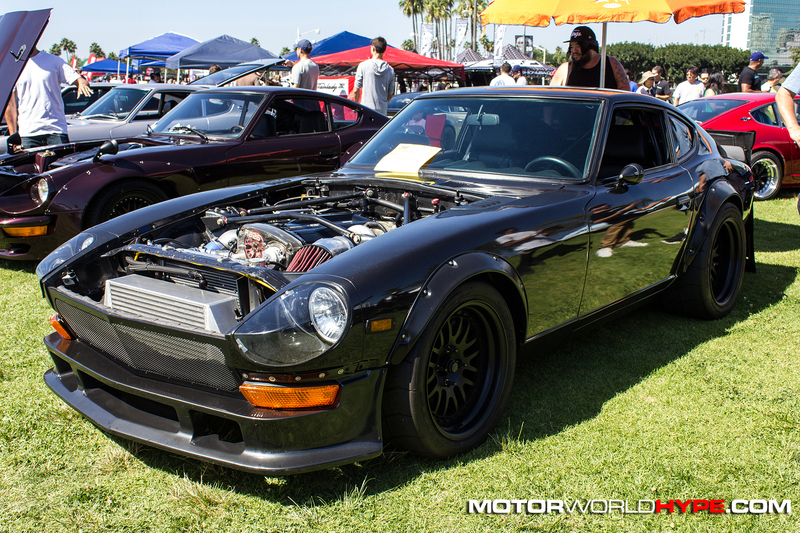 Covering this show was the first time in a while where I spent so much time admiring the cars that I almost ran out of time while trying to cover everything. 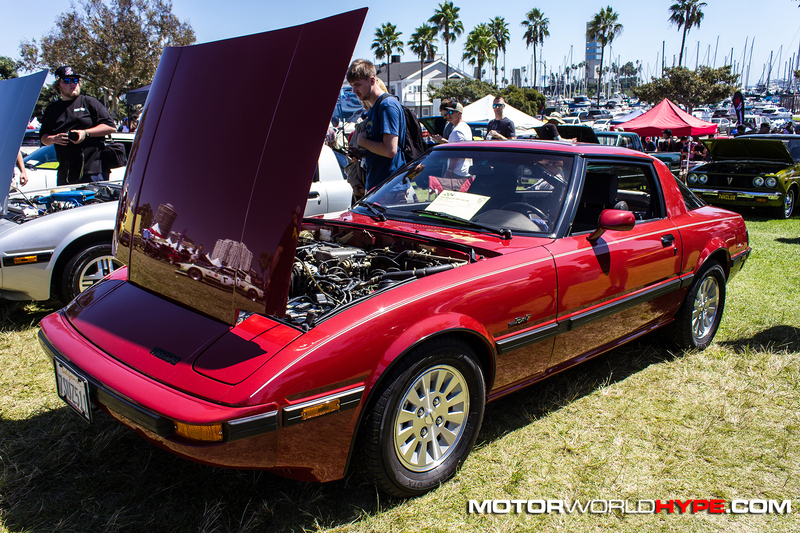 I was paused several times by some amazing examples of iconic Japanese classics like the Datusn 510 I mentioned earlier, an absolutely stunning second-gen Mazda RX-7, a pristine DA Acura Integra, and probably the biggest show stopper, a completely restored super-clean Toyota 2000GT. 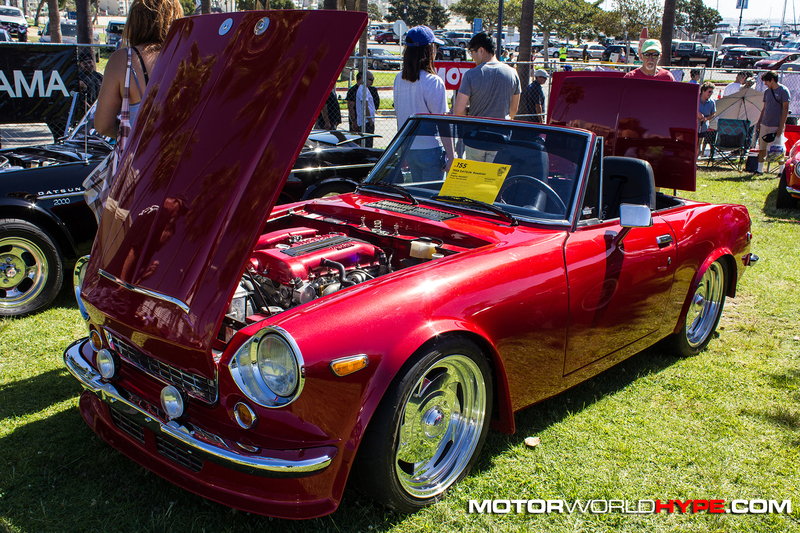 The funny thing is for some reason all of these particularly great builds just happened to all be painted a similar shade of bright popping red. 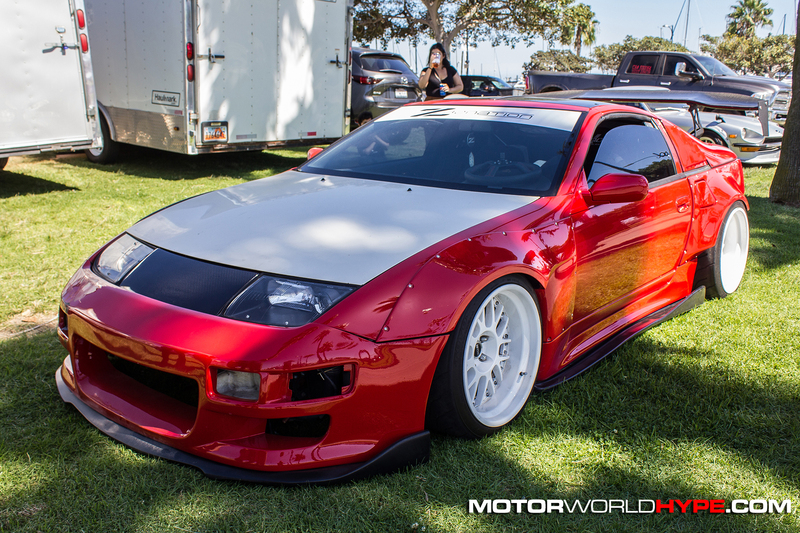 If you go through the gallery you’ll see what I’m talking about. 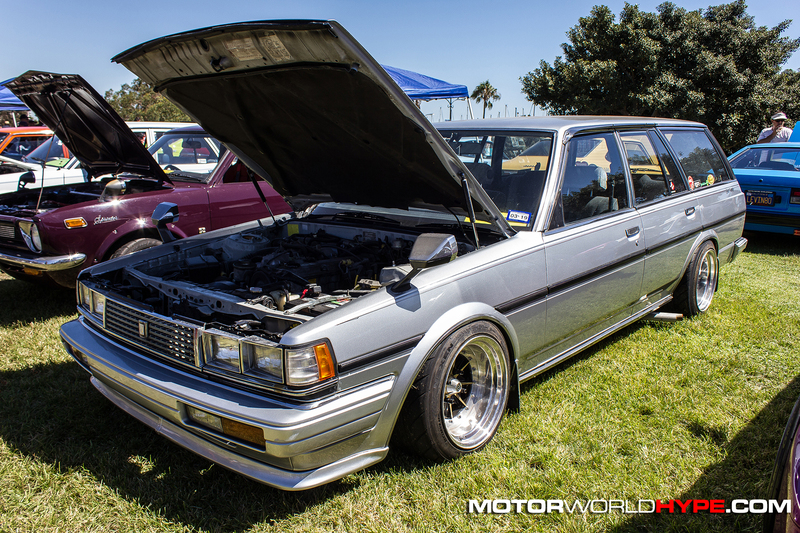 In the end, even though I was physically tired from walking around in the hot sun for hours, I left JCCS with an energized soul. 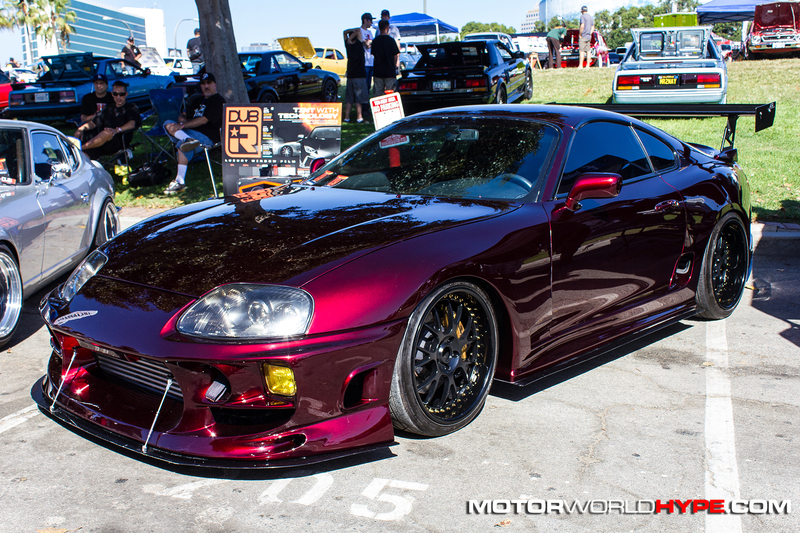 It was just what I needed and I’m really glad I checked it out. 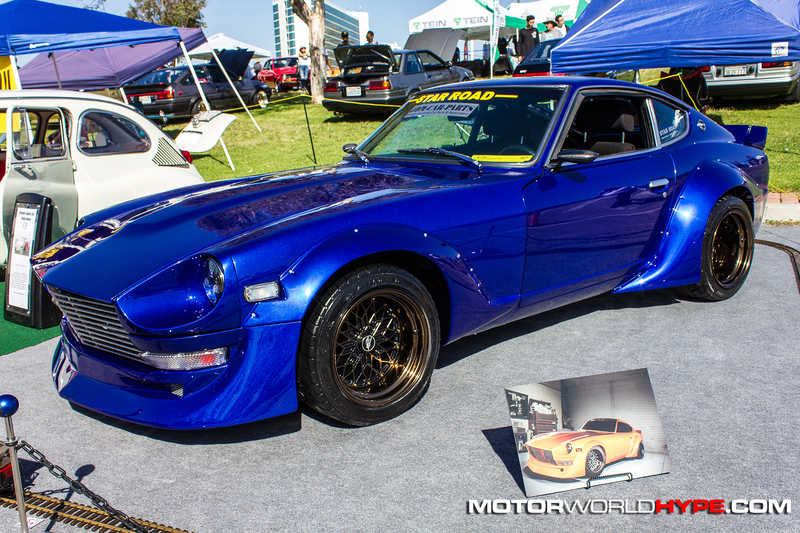 Hopefully you’ll enjoy all the shots I took as a result of my time at the show. 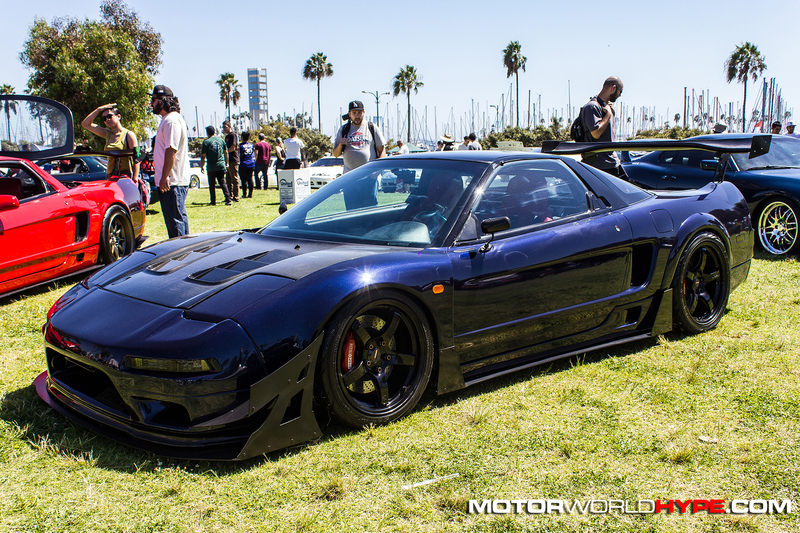 Speaking of, I’m going to stop typing now so you can go ahead and get to the photos. 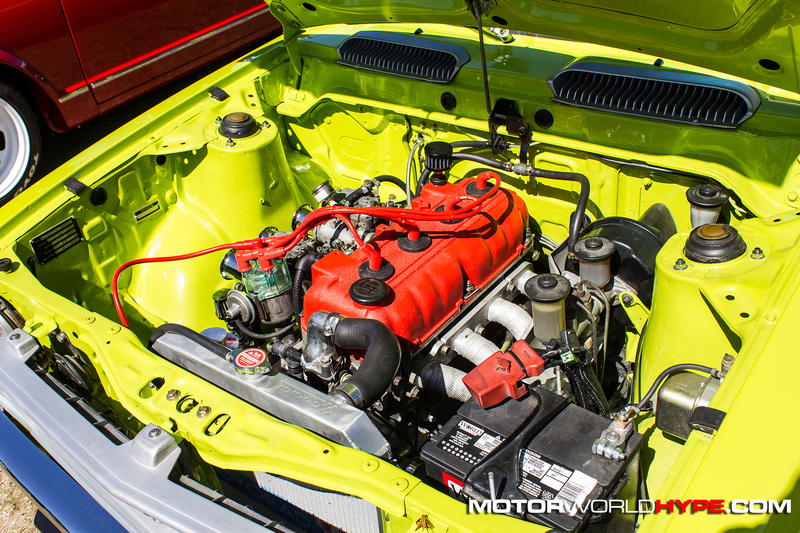 I’ve separated the galleries by make so it will be a little easier to get to what you want to see. 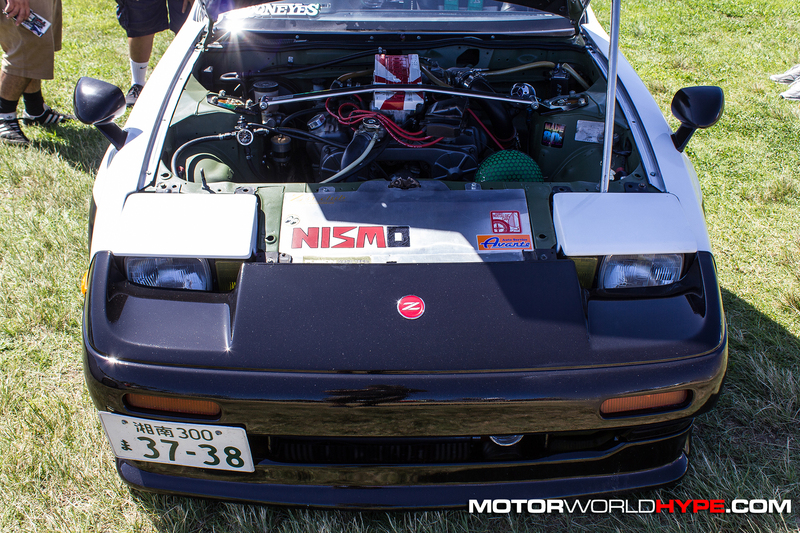 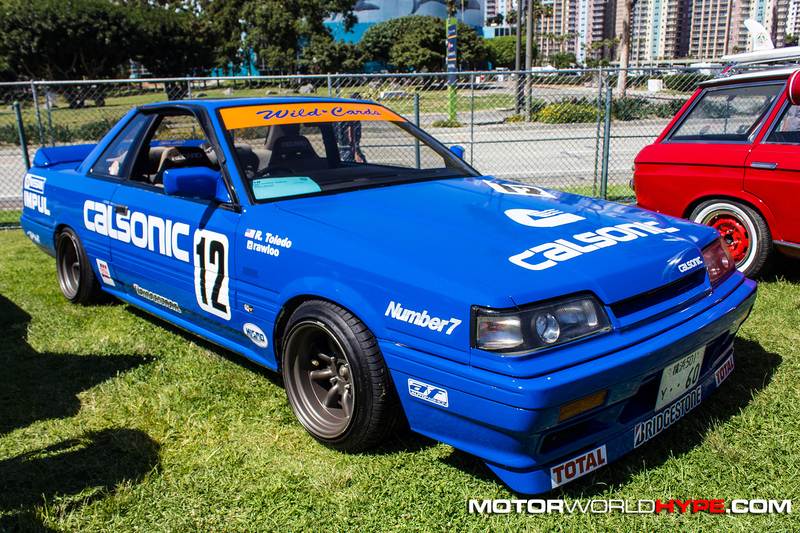 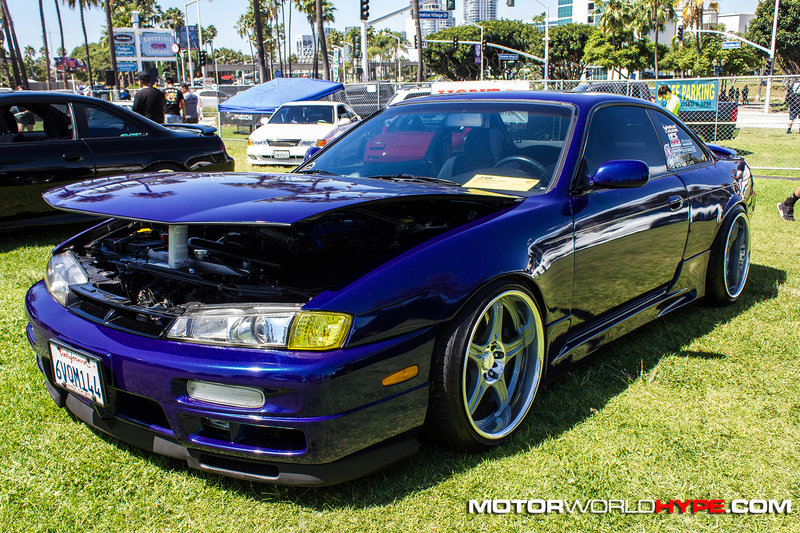 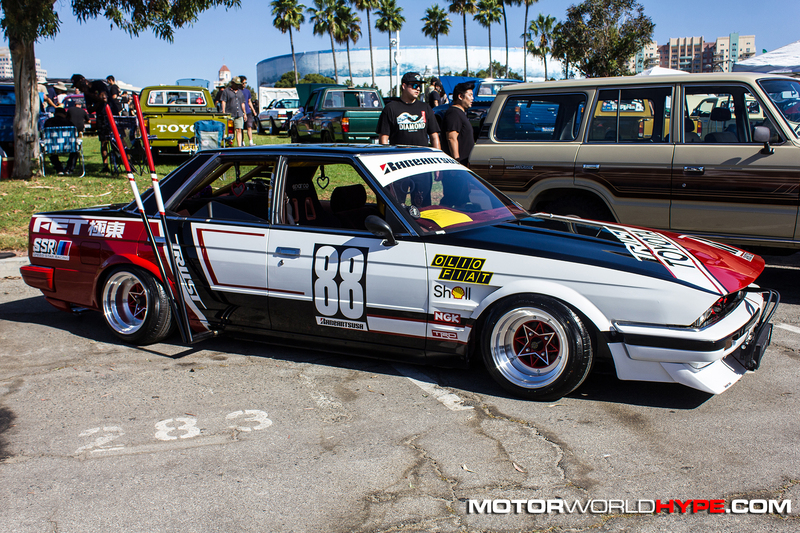 The biggest gallery will likely be the Dasuns/Nissans. 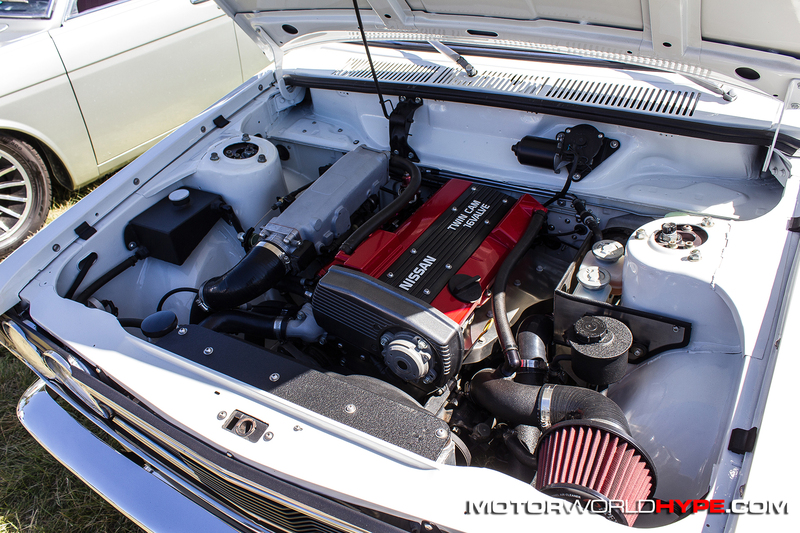 Oh and there are some stuff I shot that won’t be in any of the galleries below but I’ll be posting them on the MotorworldHype social accounts so follow us on Twitter, Instagram, and Facebook if you aren’t already.